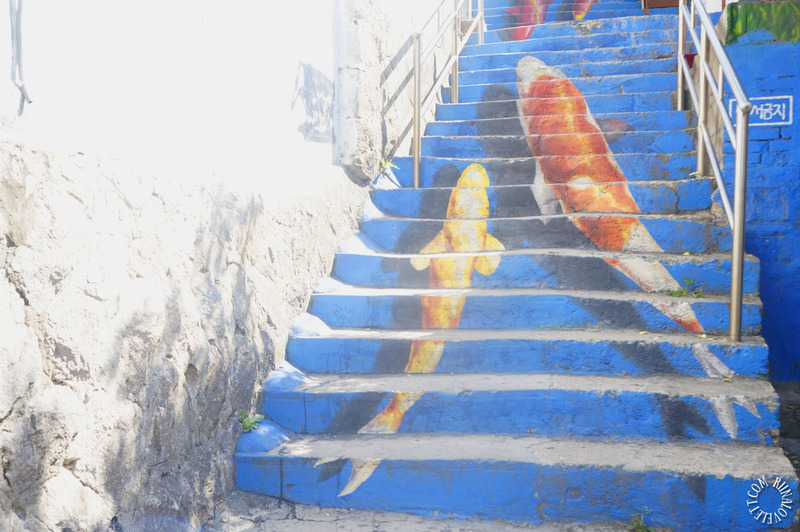 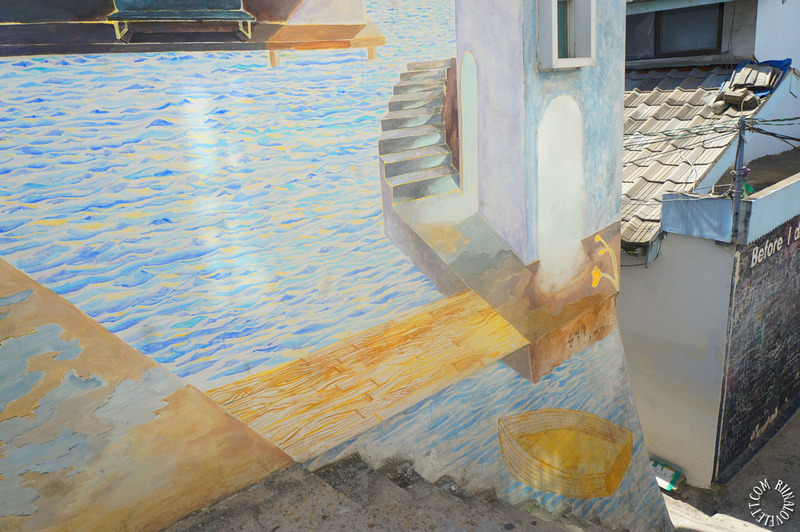 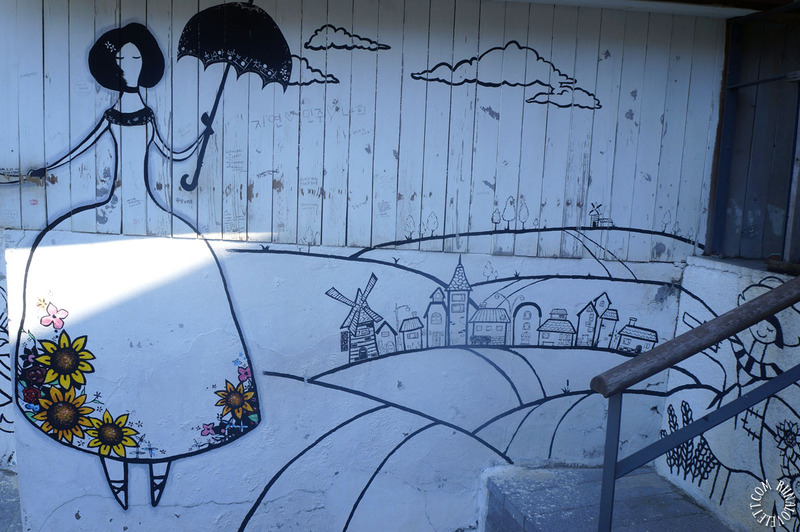 A village covered entirely in art is a sight out of a dream. 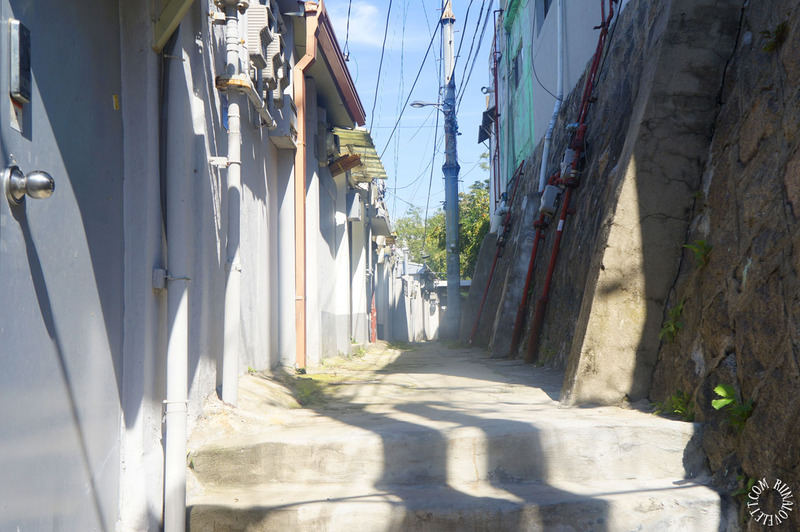 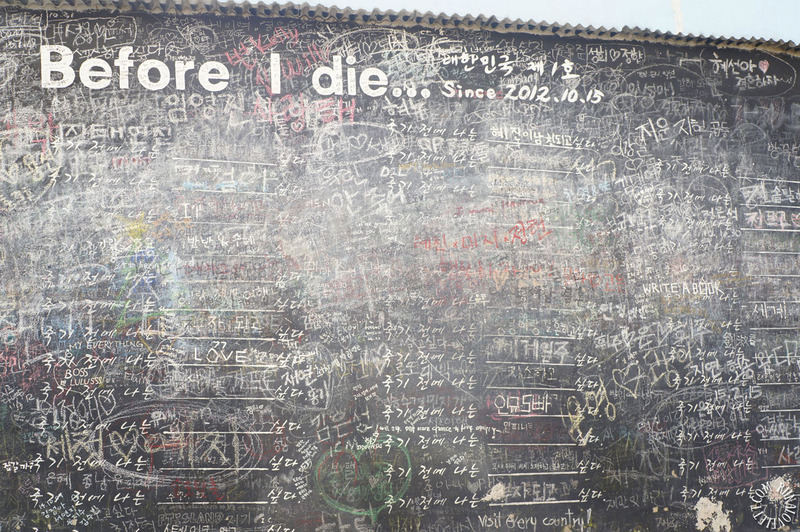 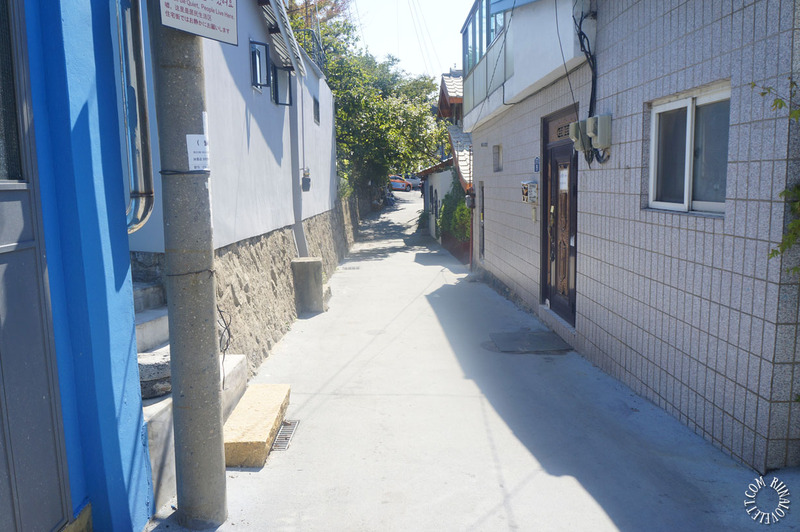 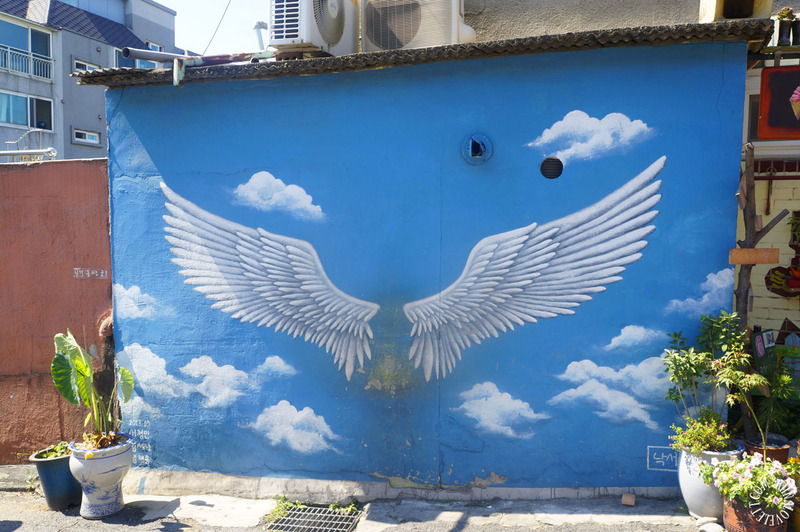 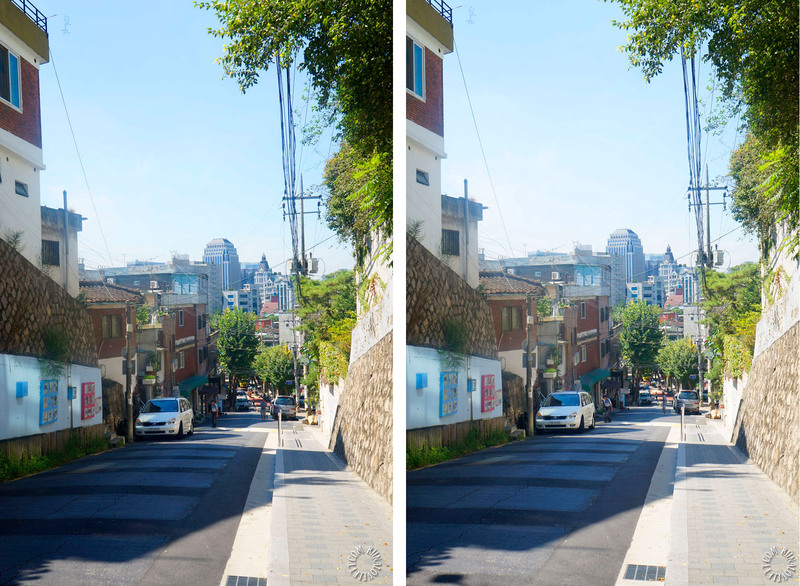 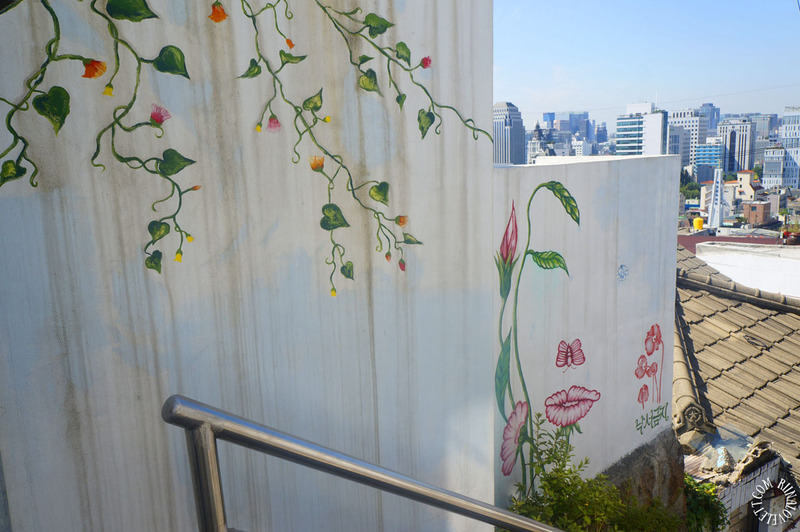 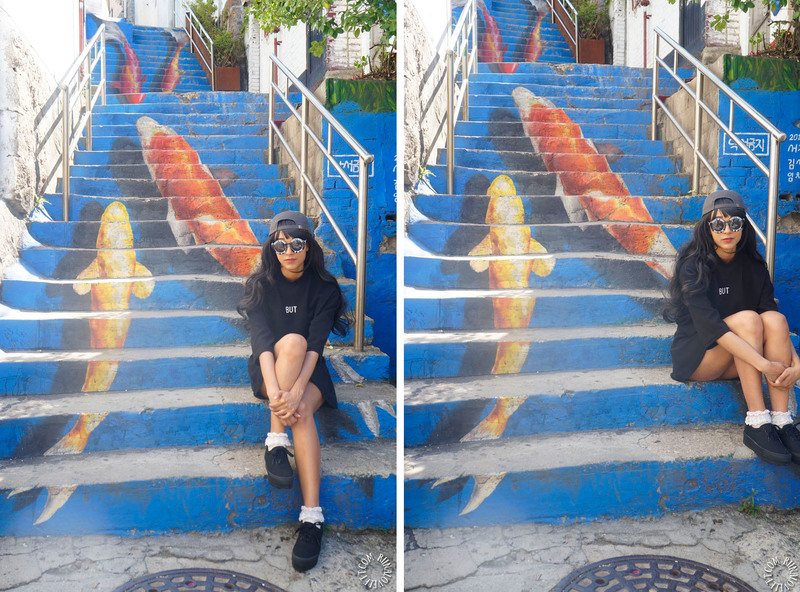 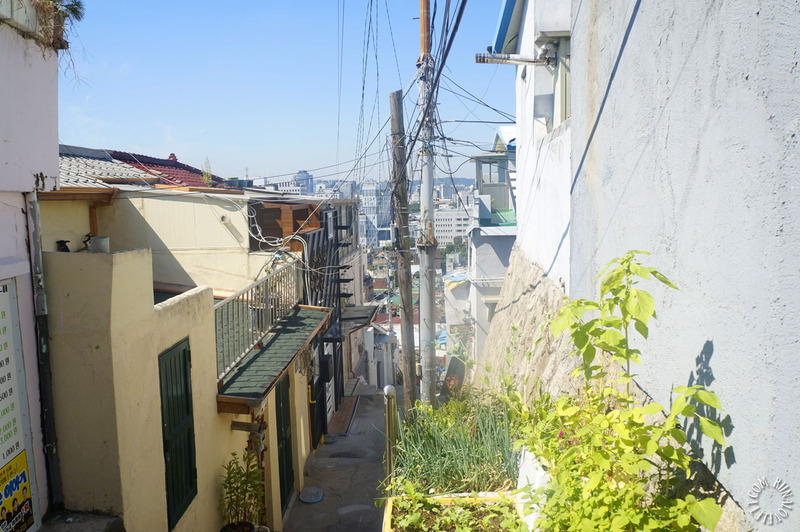 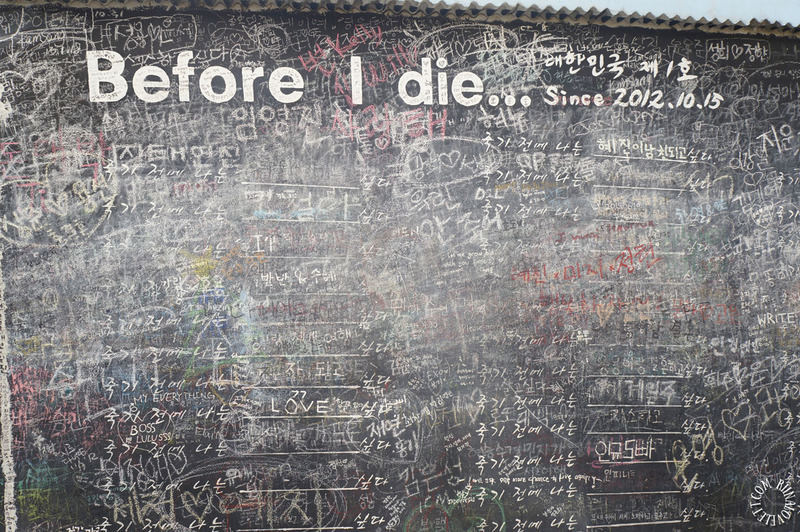 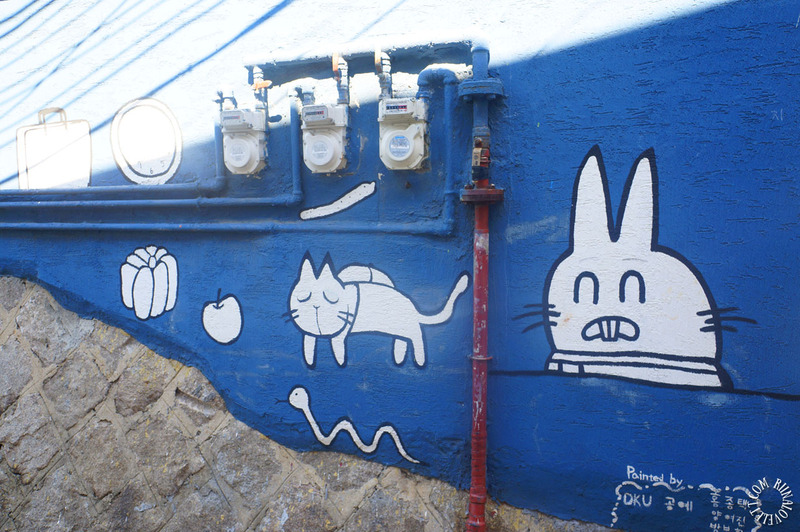 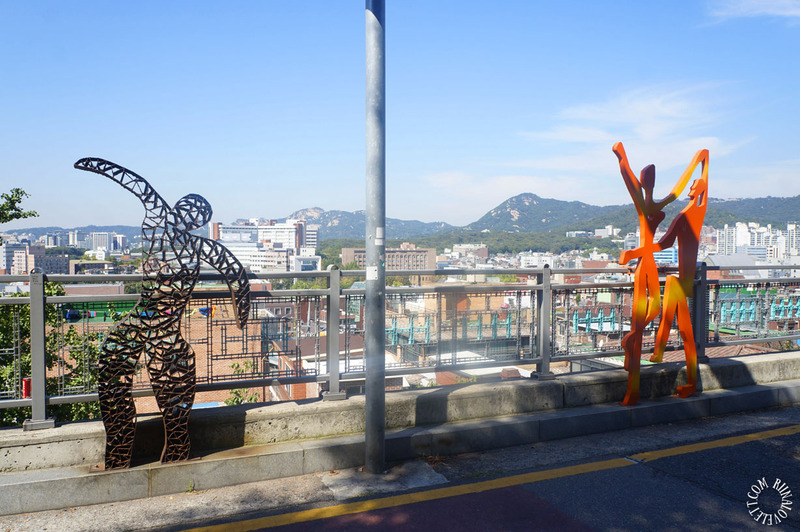 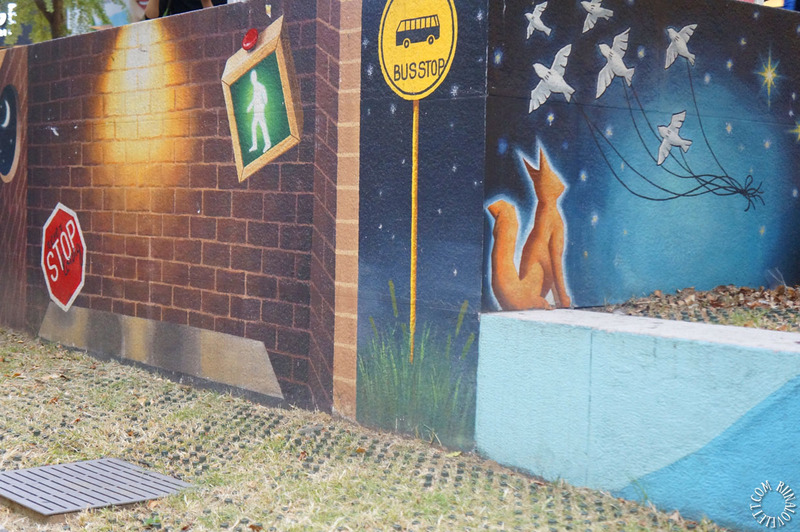 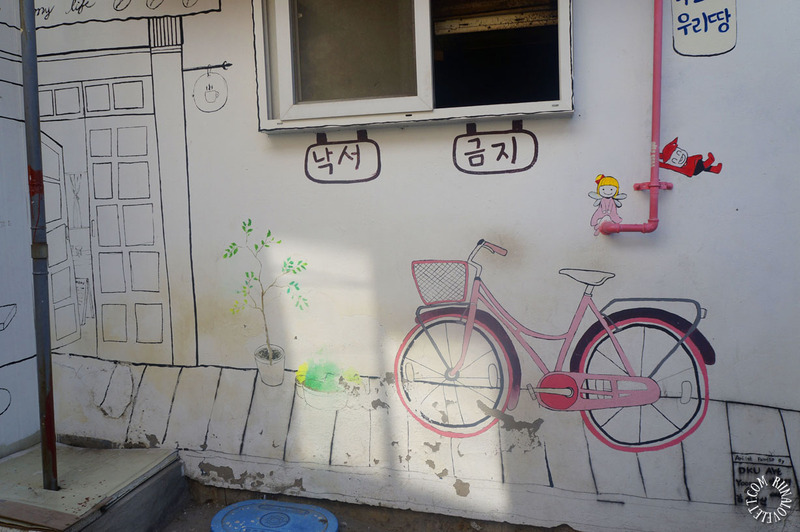 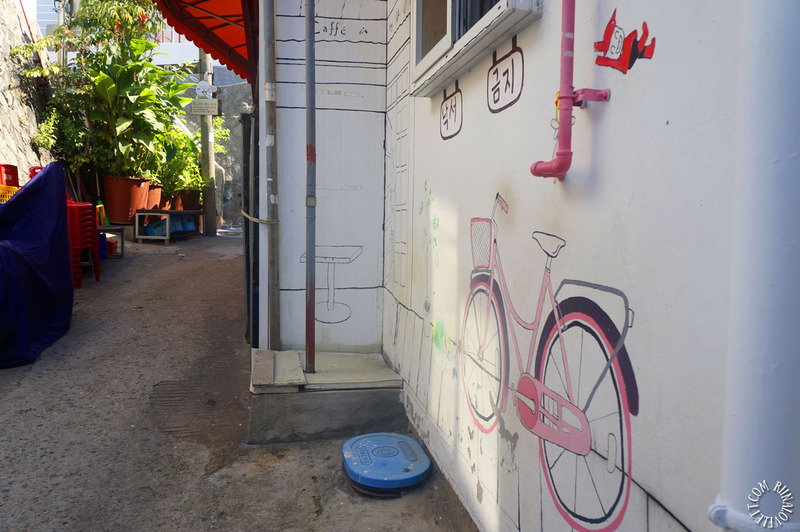 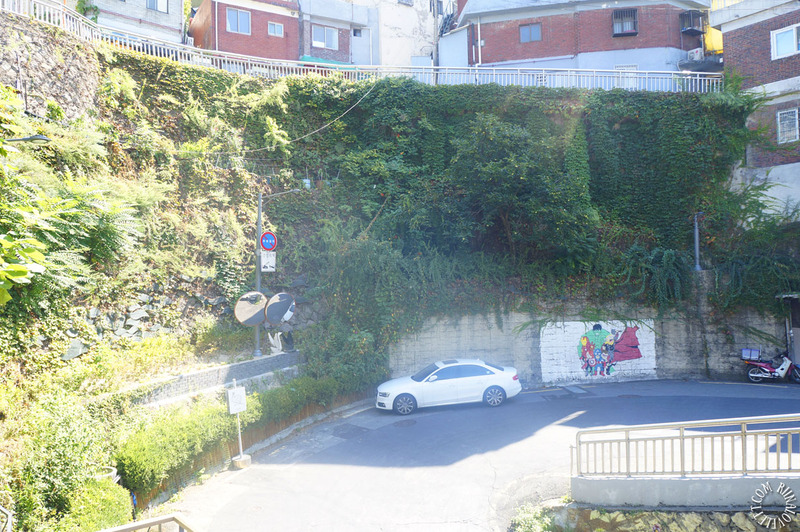 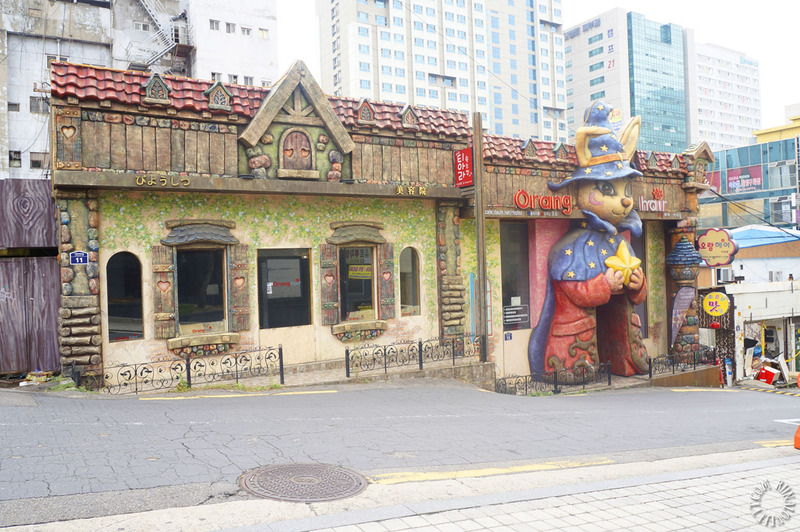 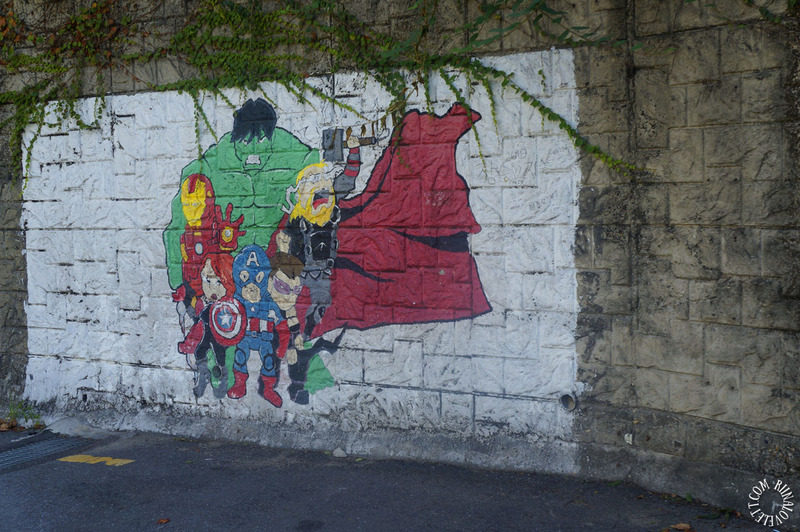 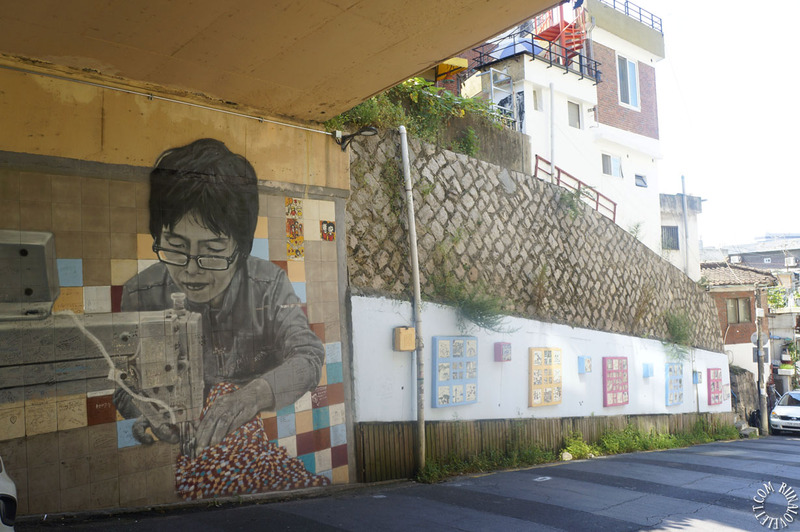 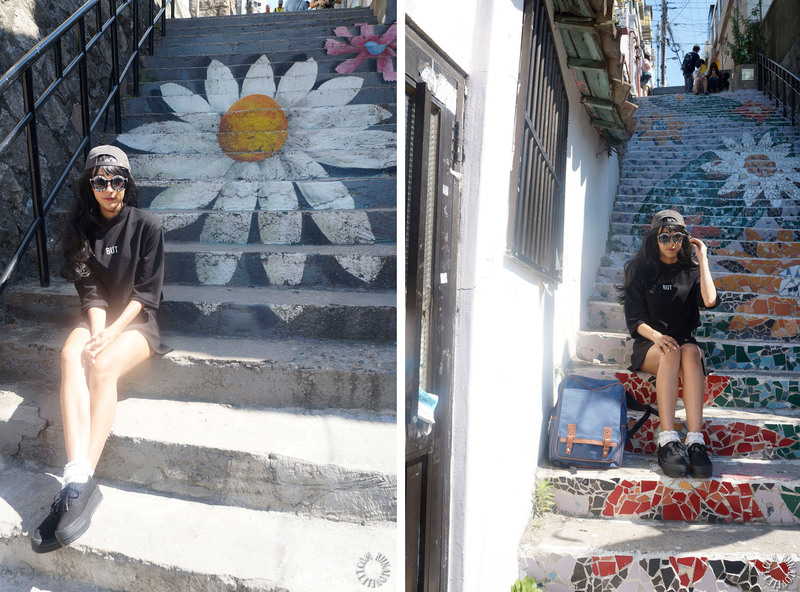 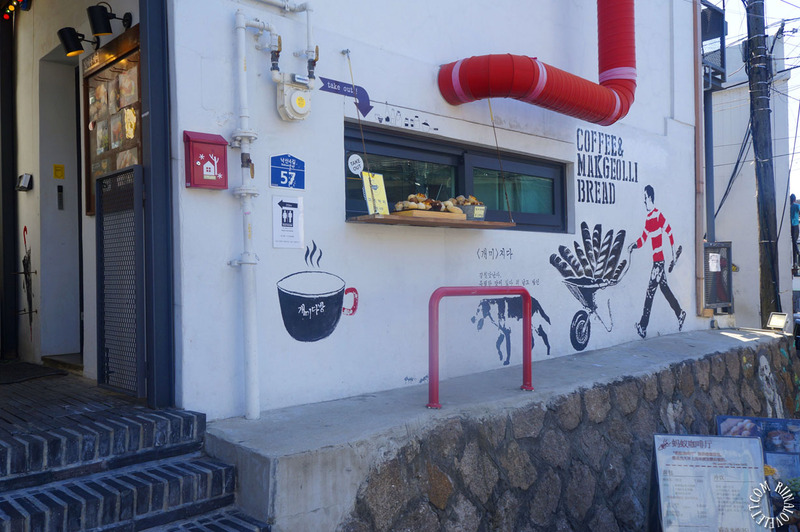 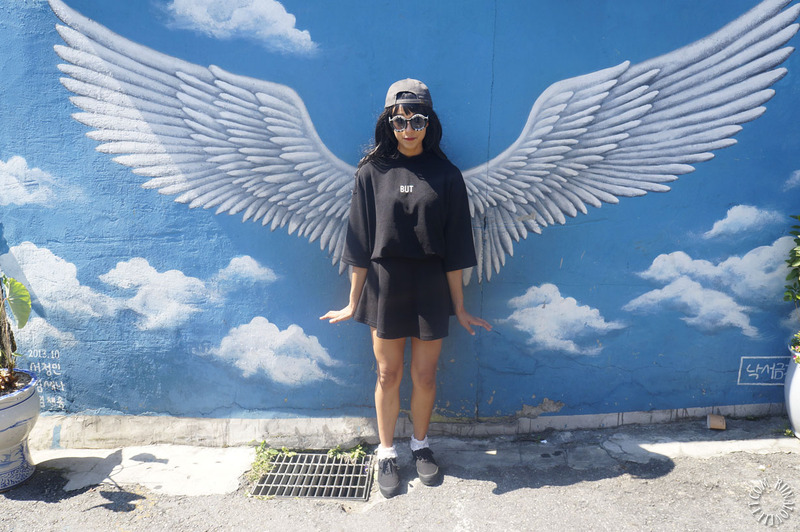 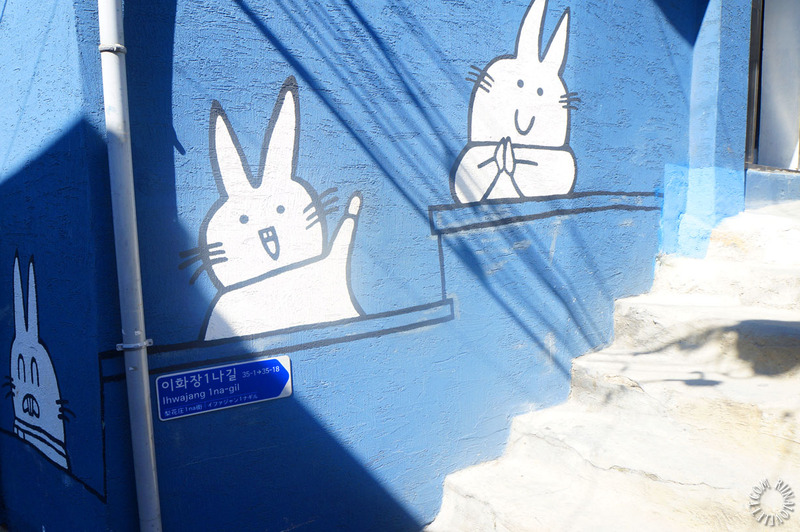 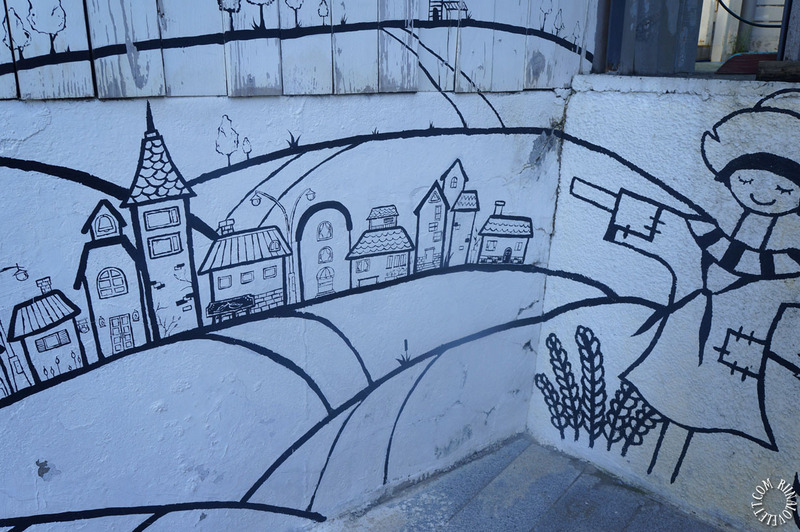 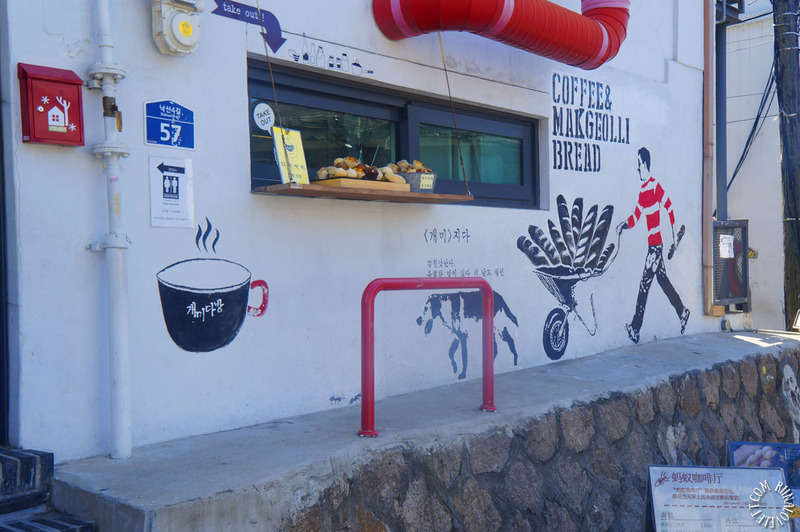 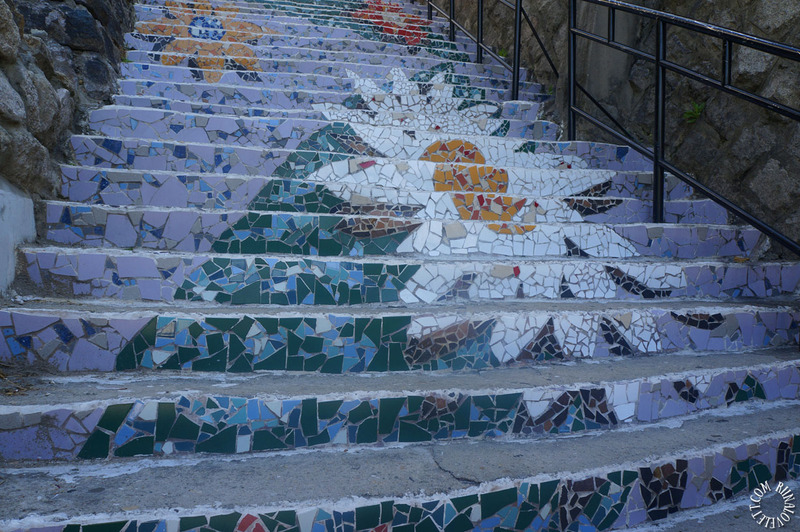 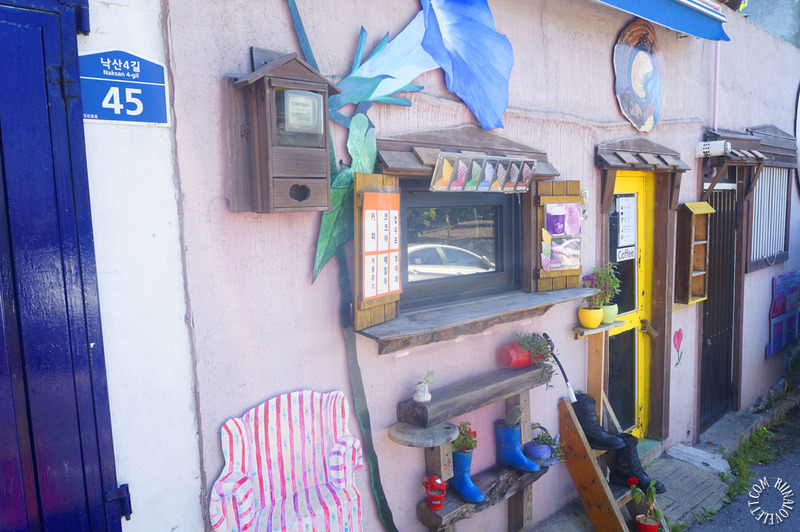 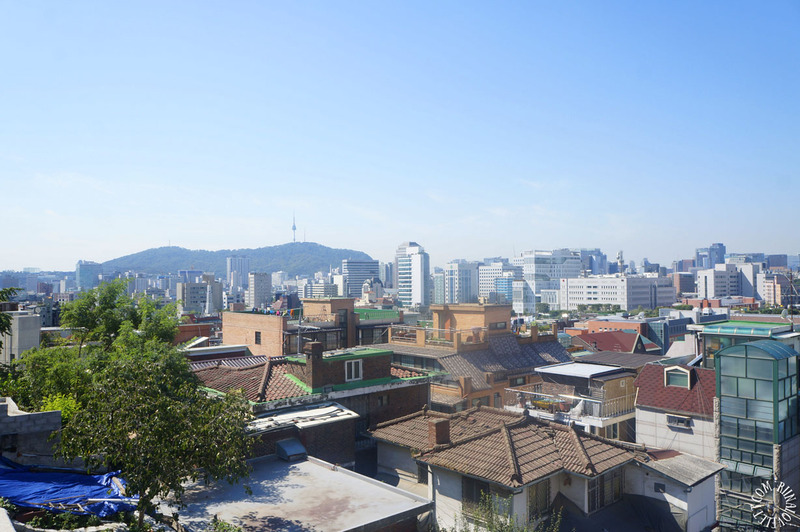 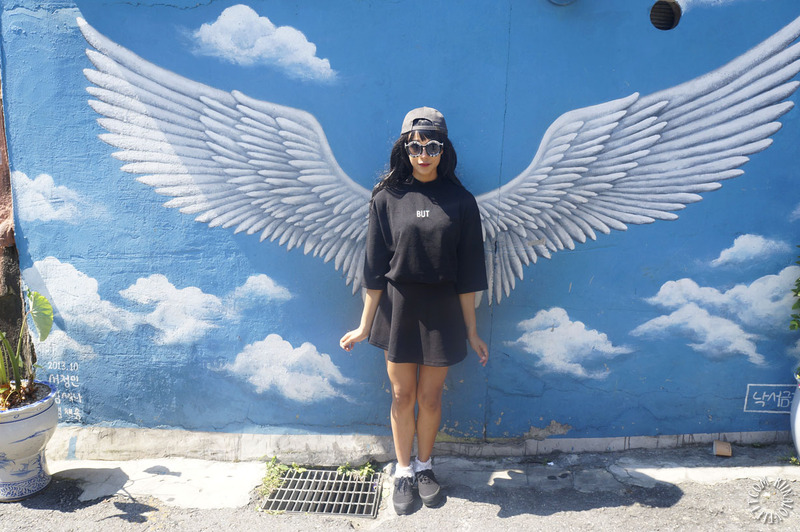 Ihwa Mural Village was my favourite place to visit in Seoul. 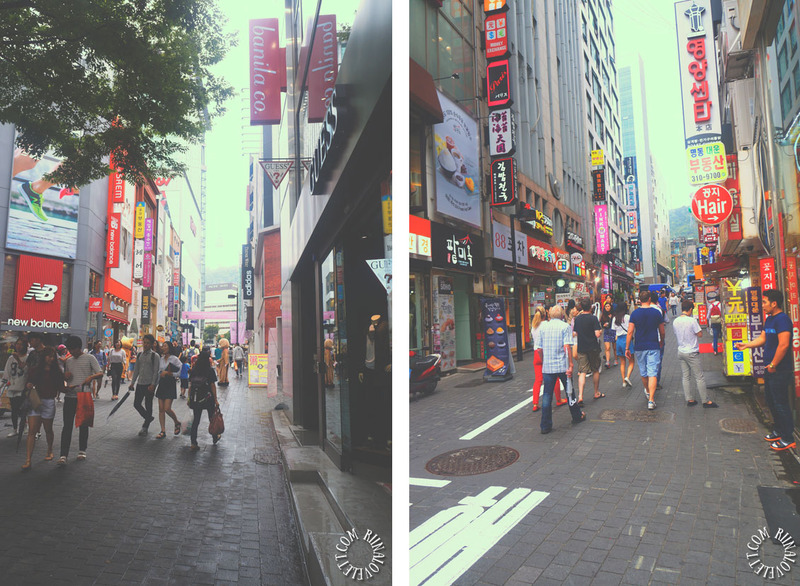 It was truly remarkable to be surrounded by so much creativity. 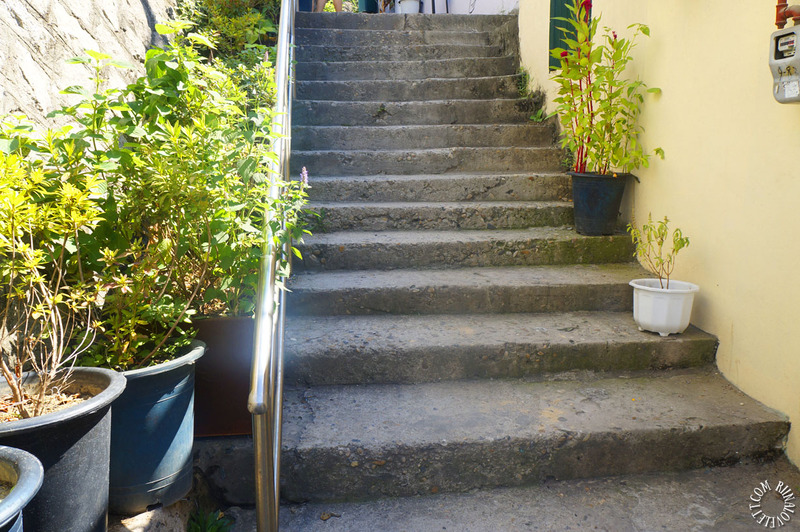 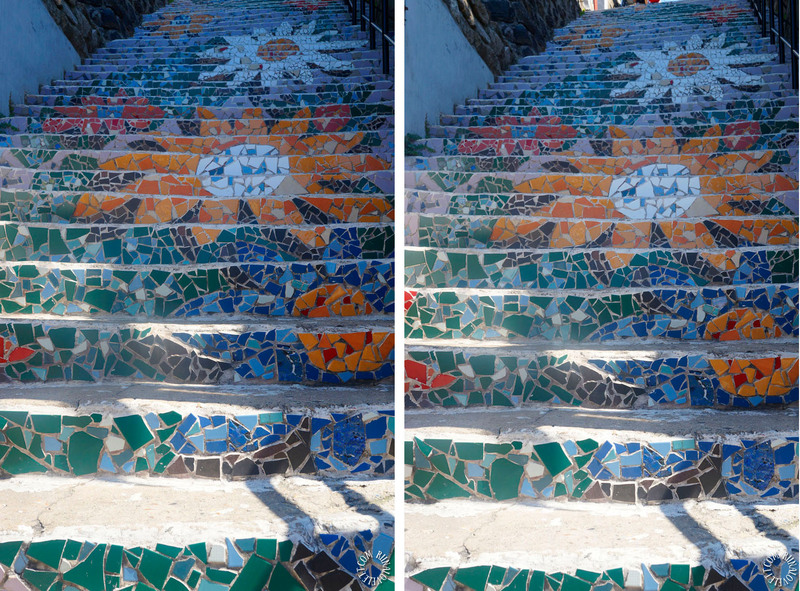 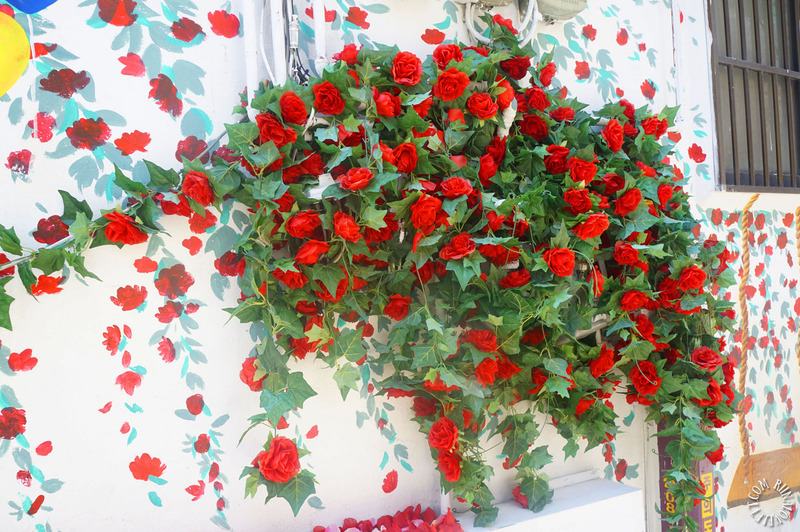 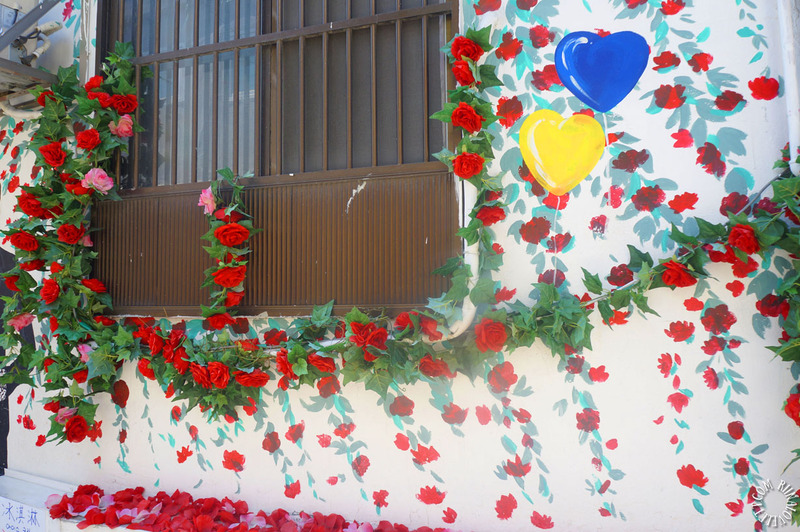 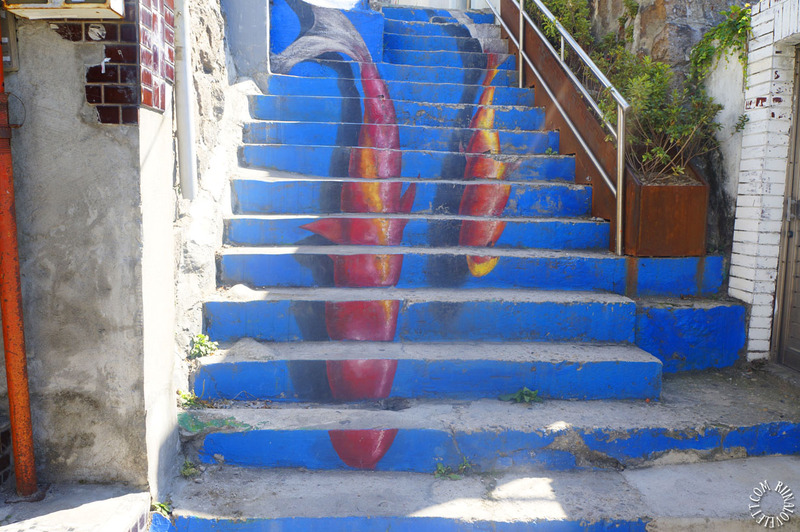 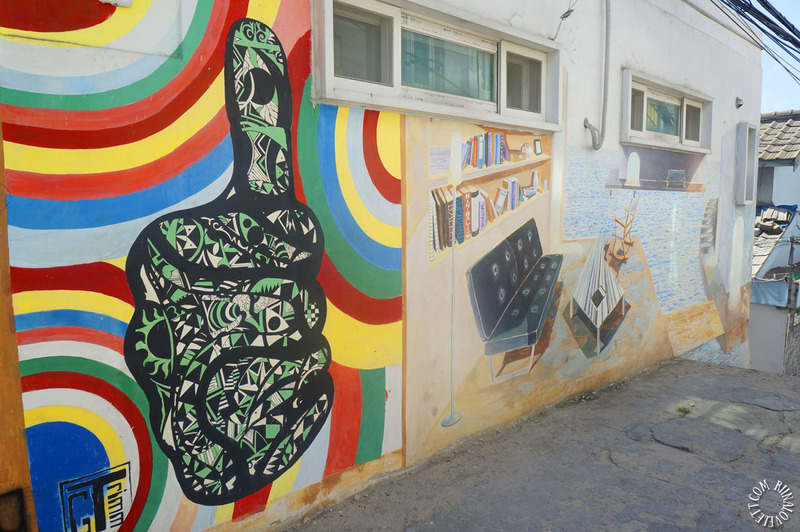 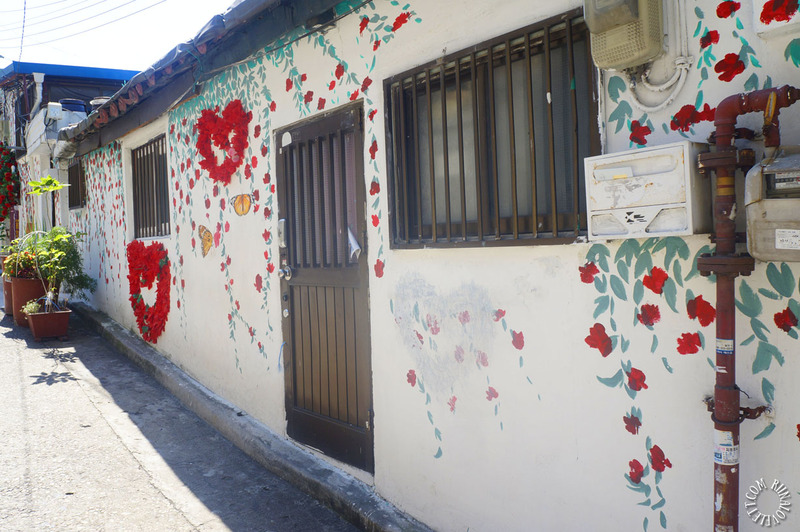 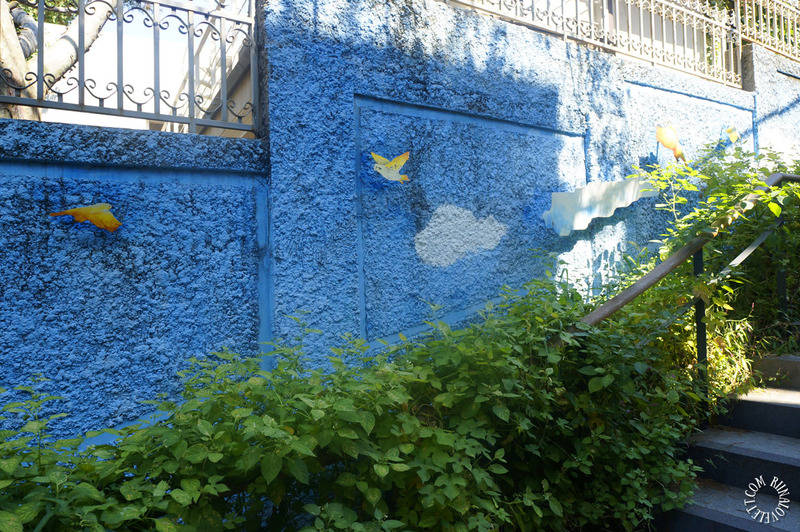 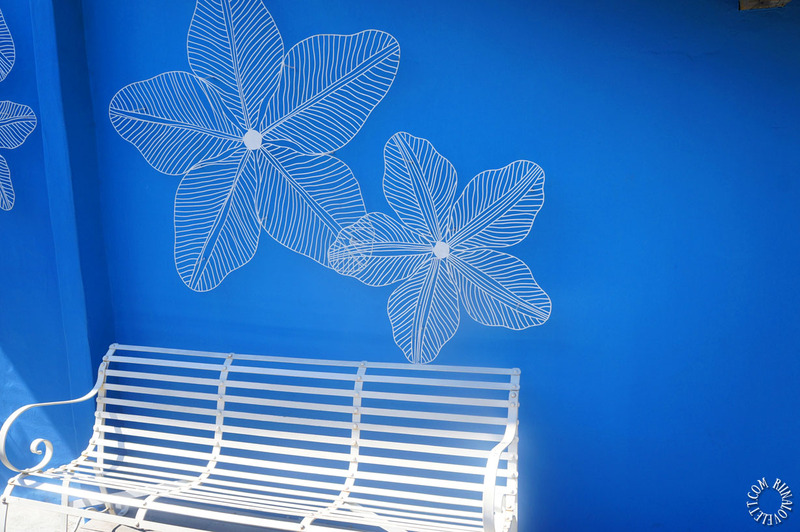 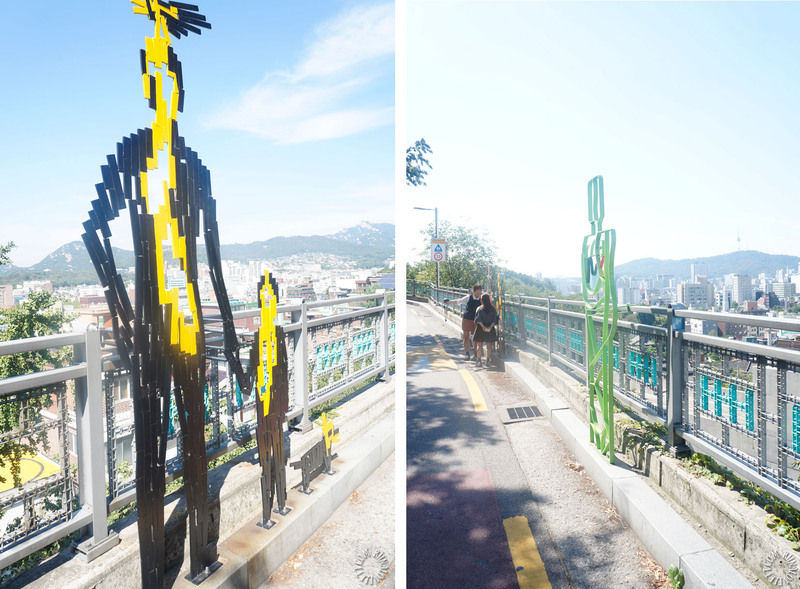 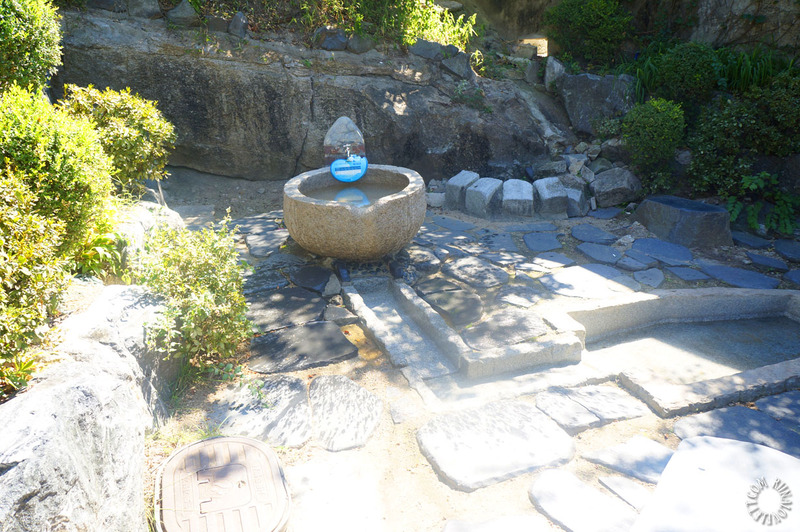 The local Art Committee carried out this art project to improve the environment of the village. 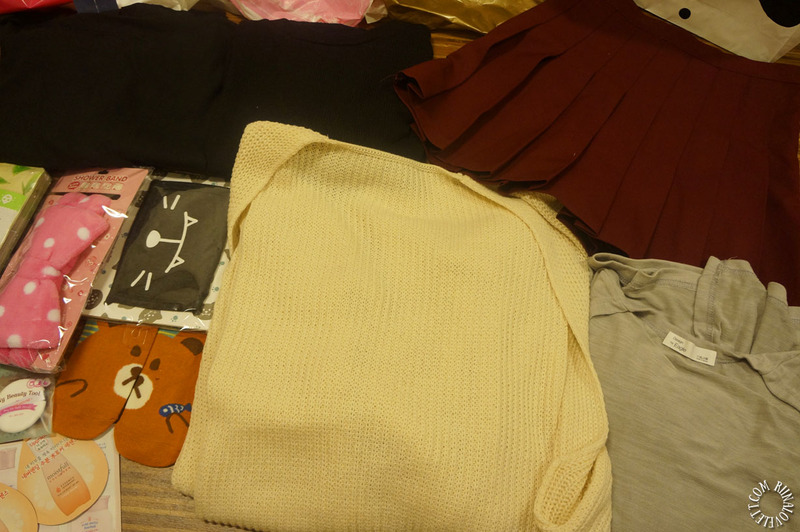 Which in my opinion was a success! 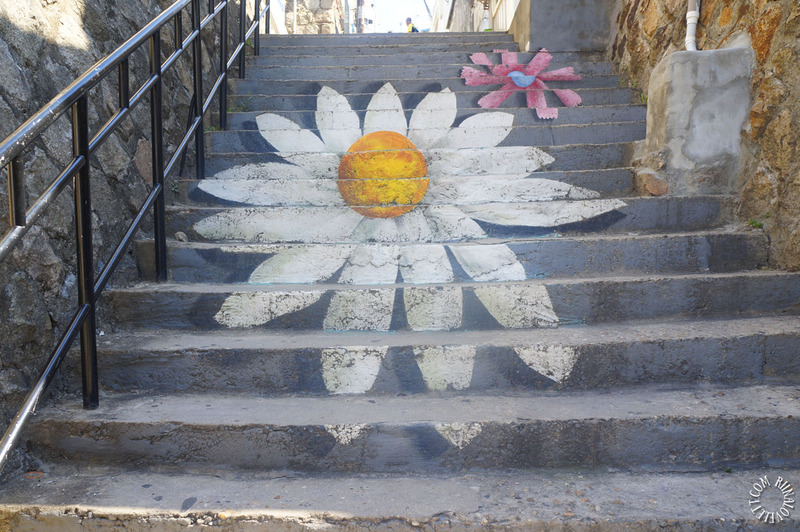 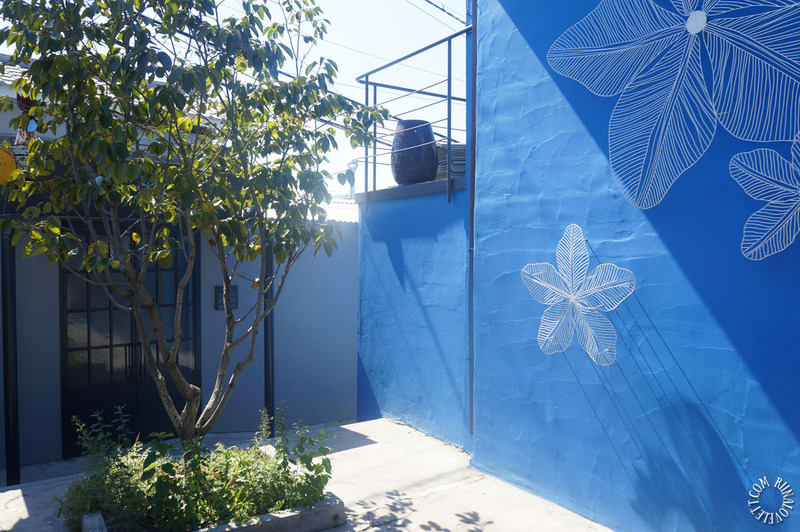 Everyone is welcome to visit the village and enjoy the beautiful murals, artwork and sculptures. 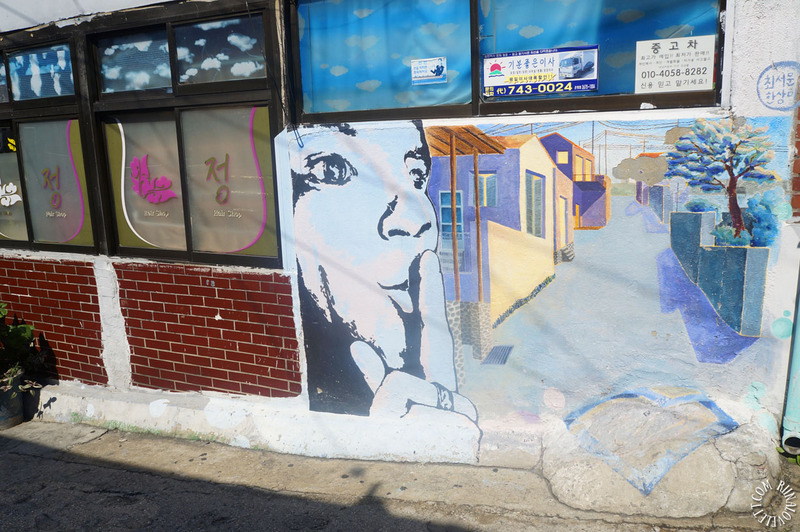 It was really fun capturing and viewing the several murals. 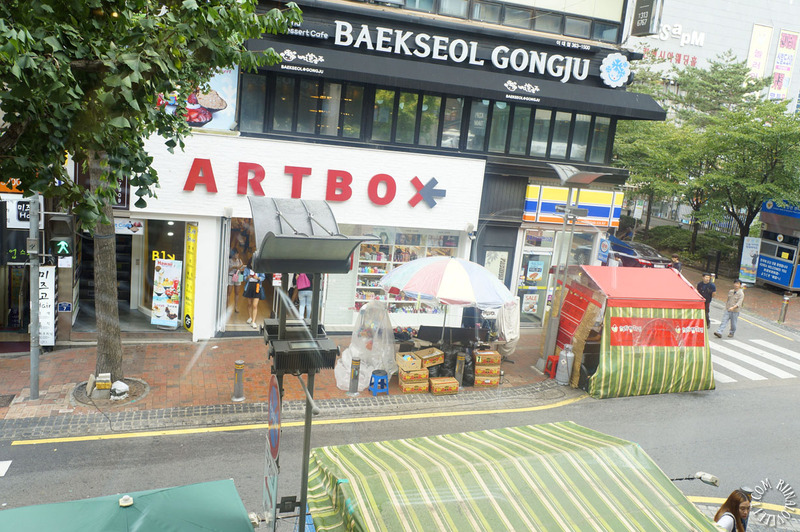 At everyone corner there was something new and interesting to look at. 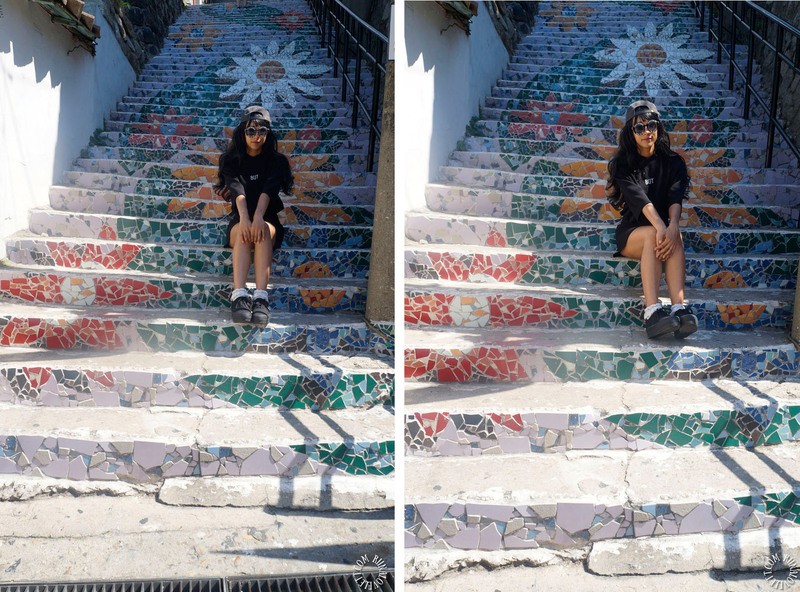 I really enjoyed my stay. 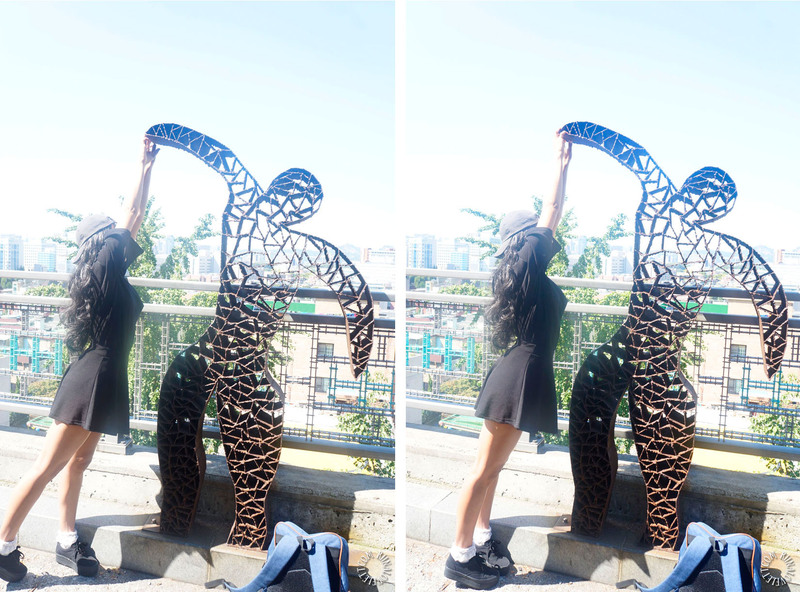 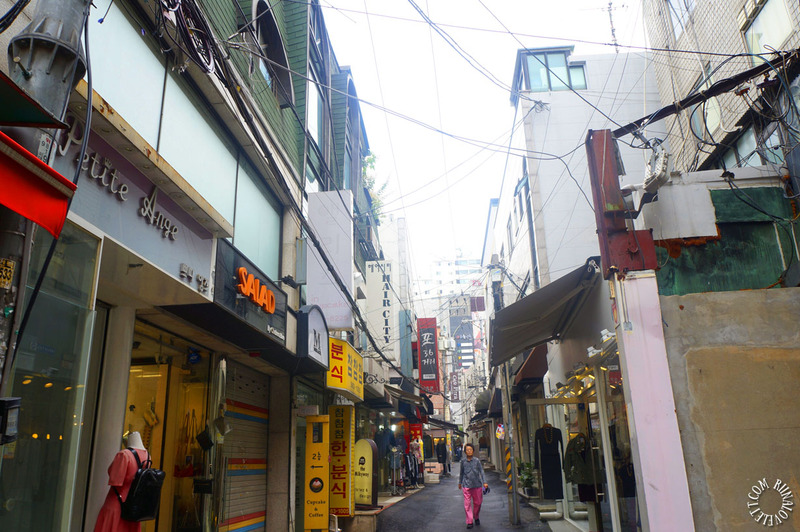 I was very excited to visit Sinsa-dong Garosu-gil in Gangnam. 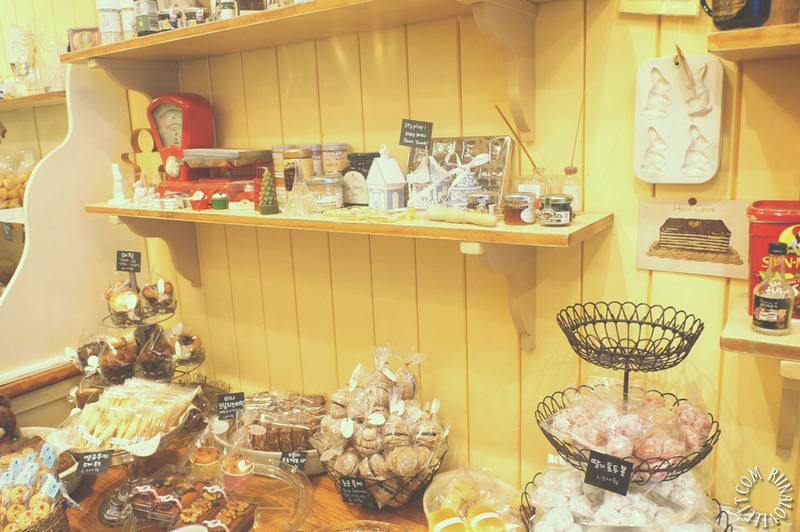 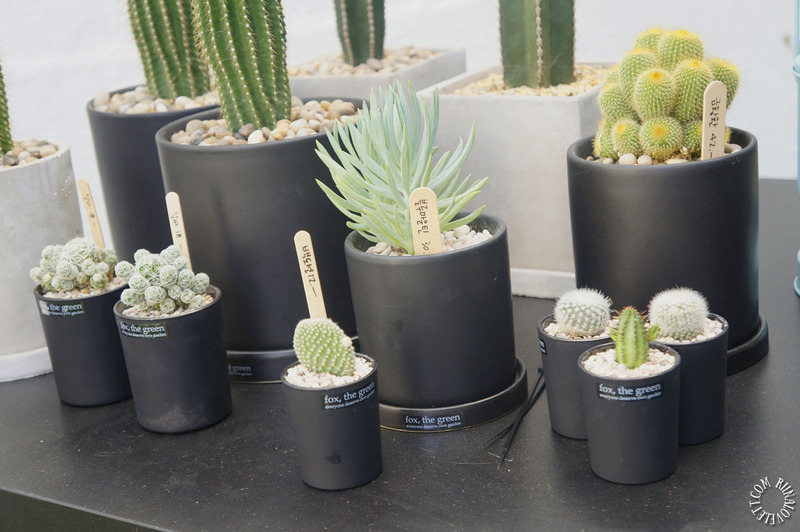 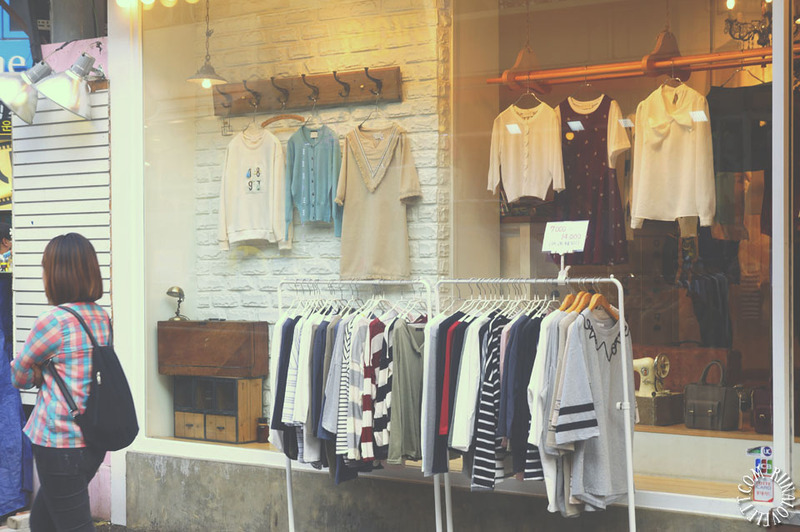 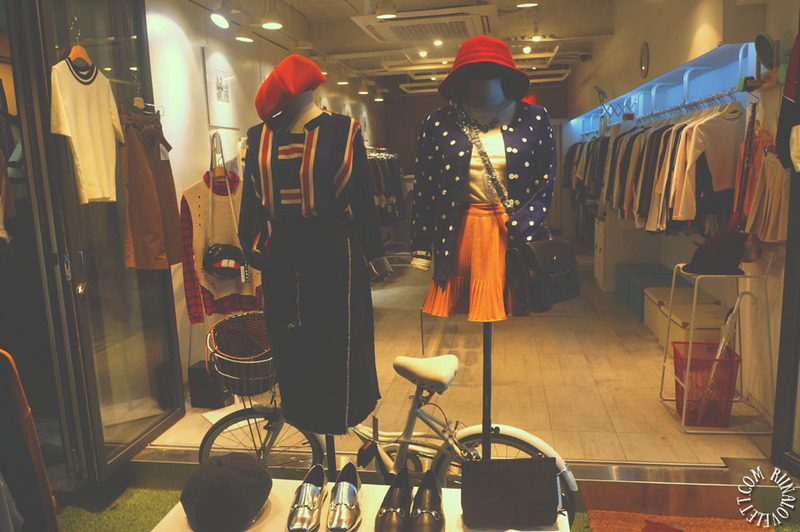 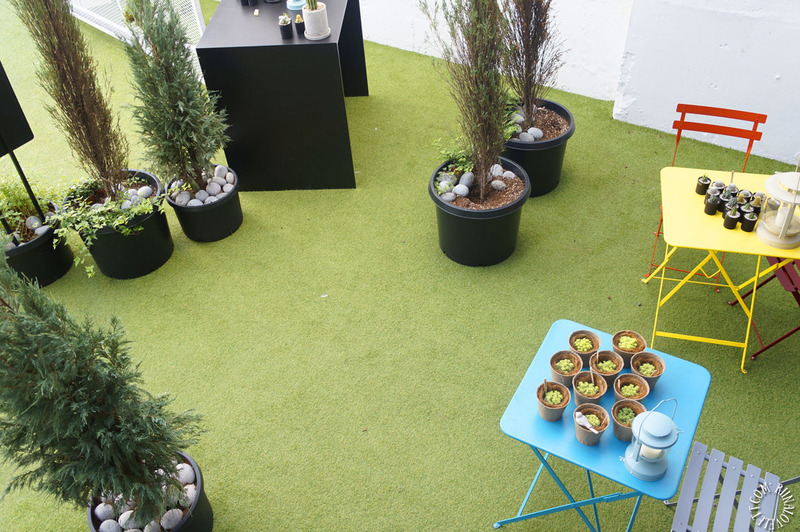 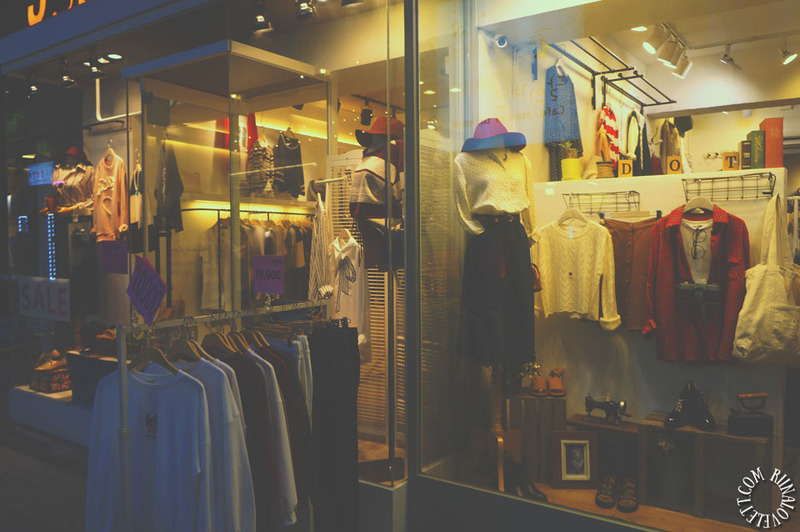 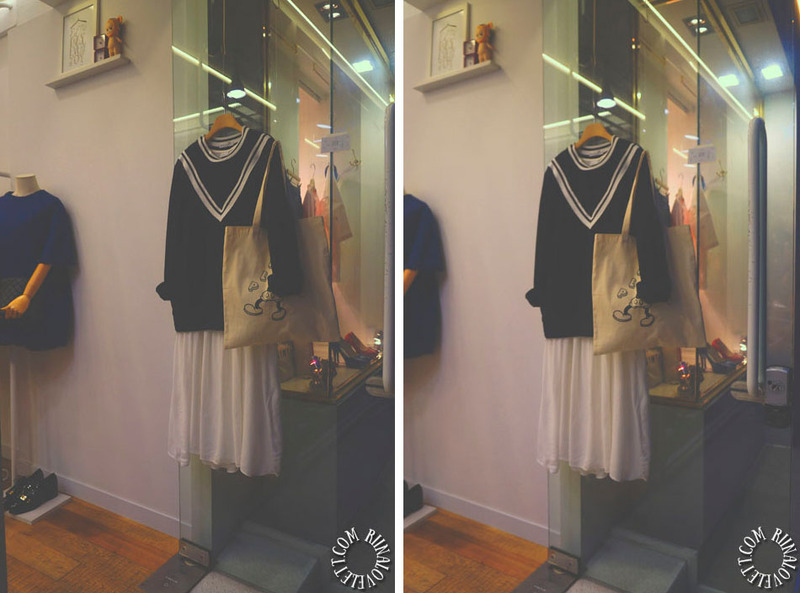 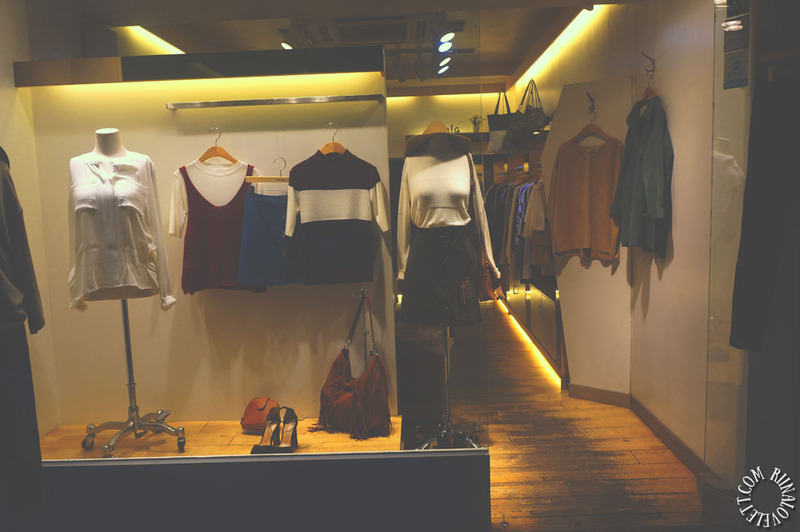 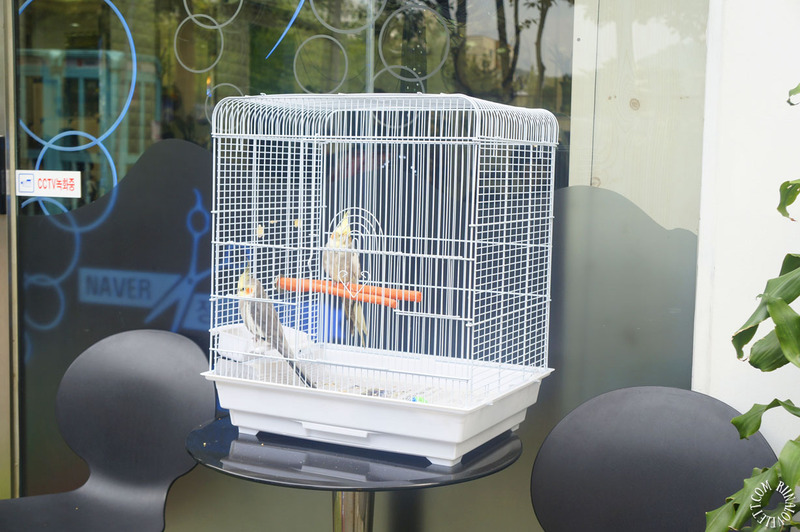 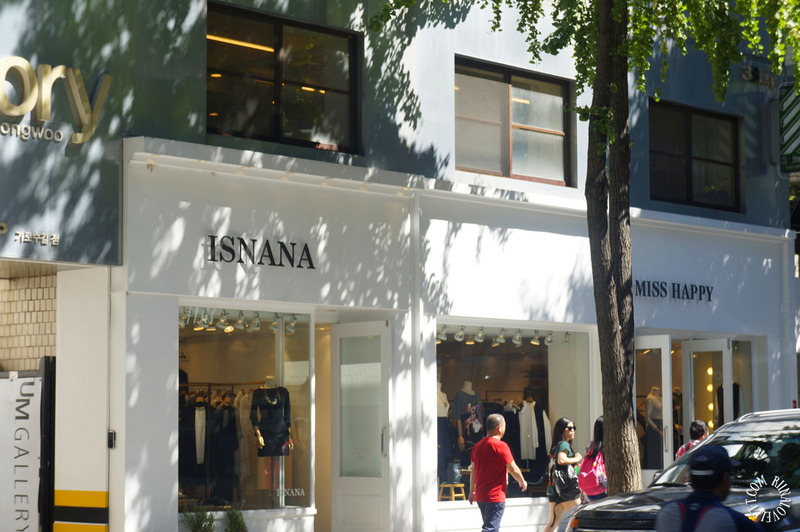 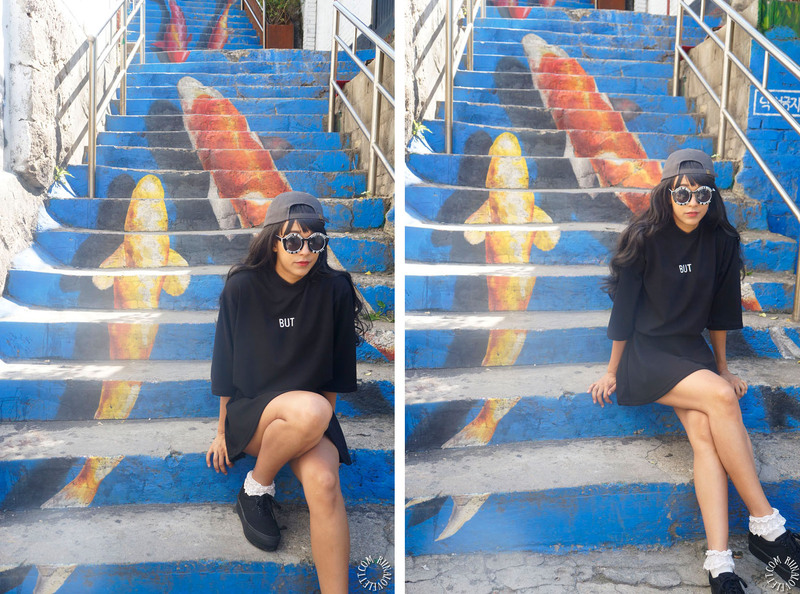 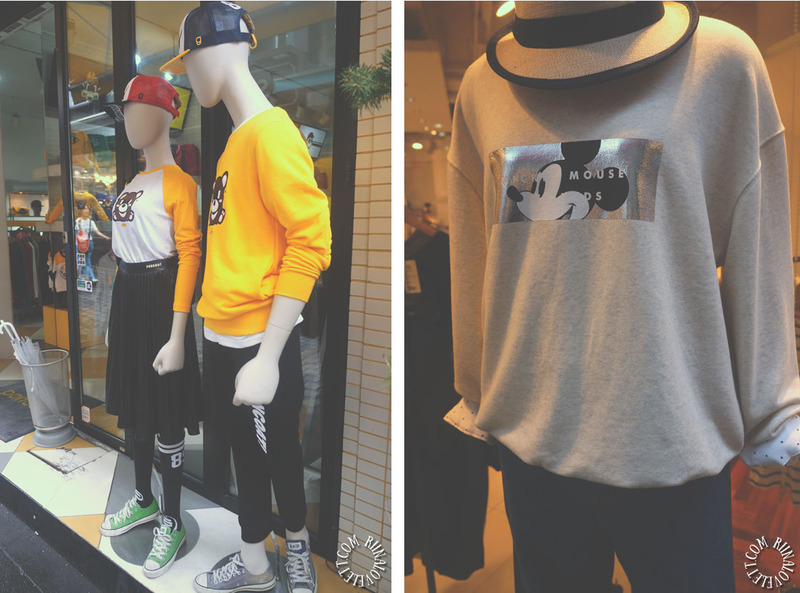 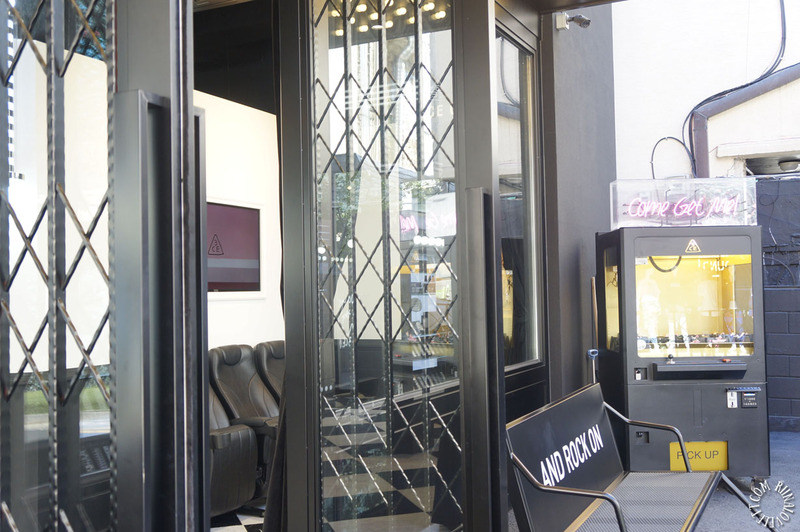 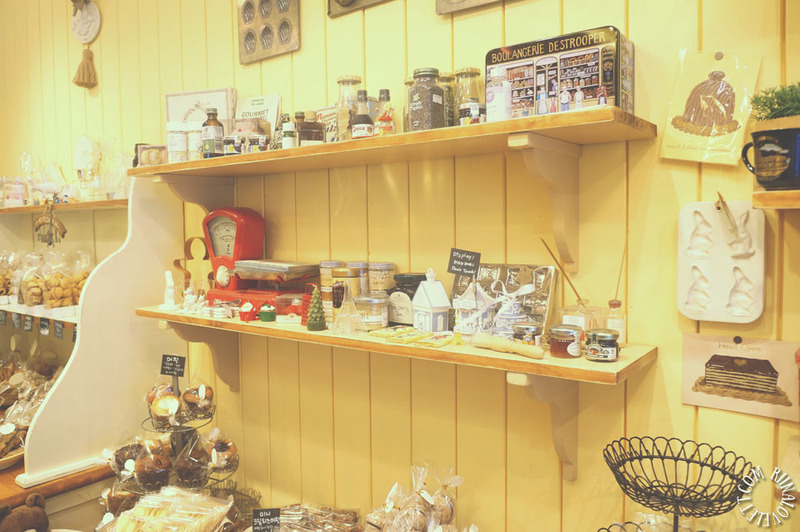 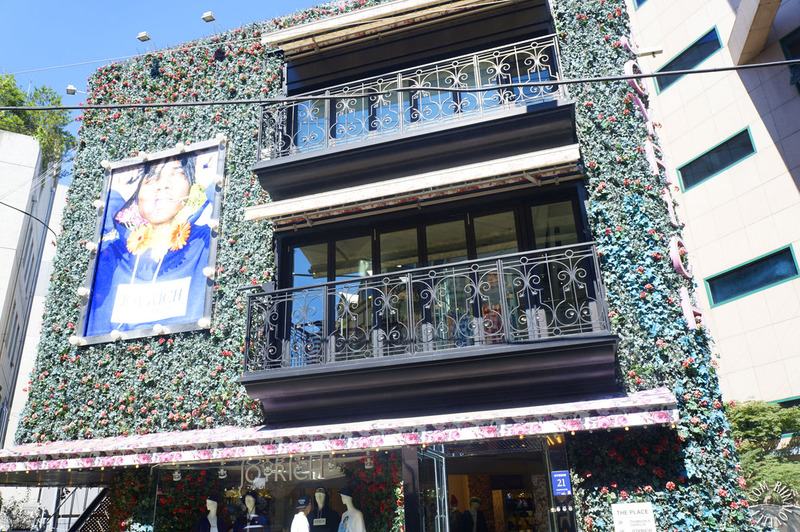 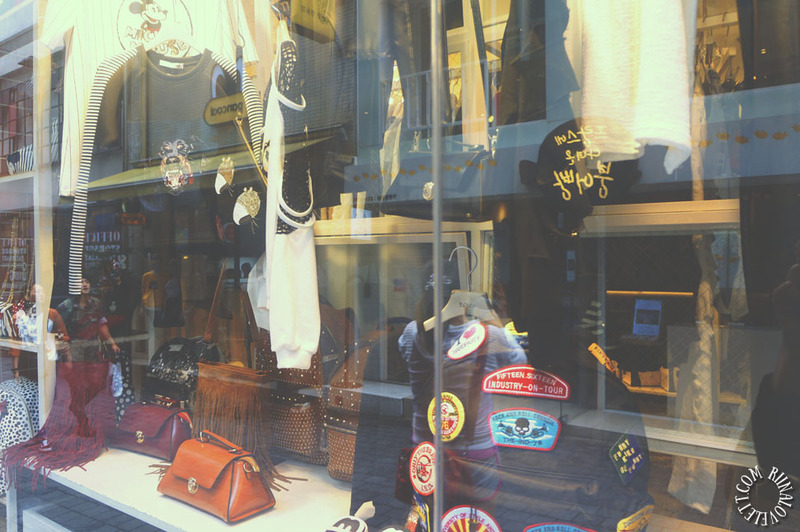 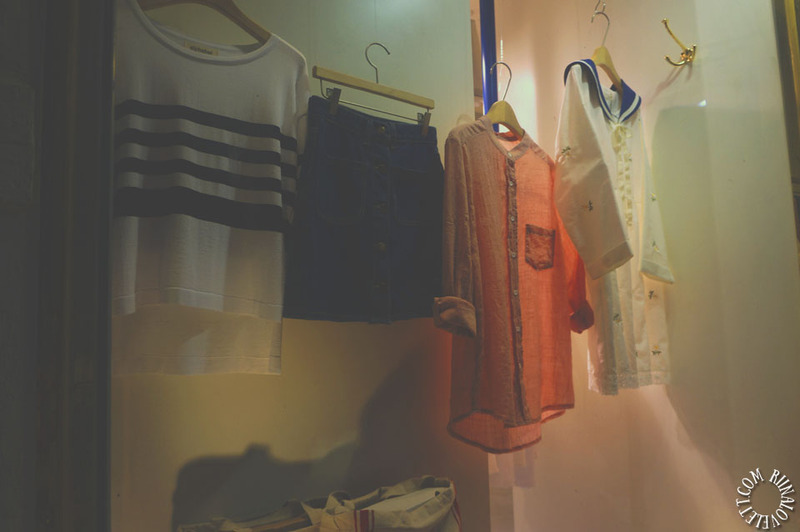 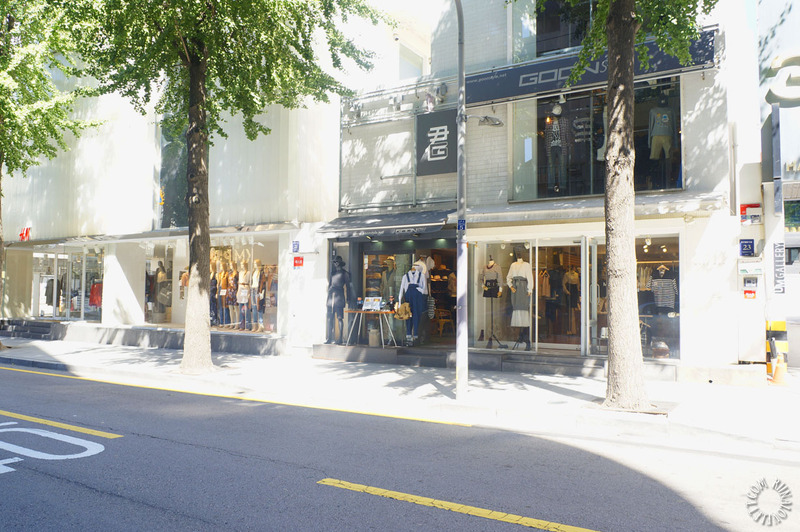 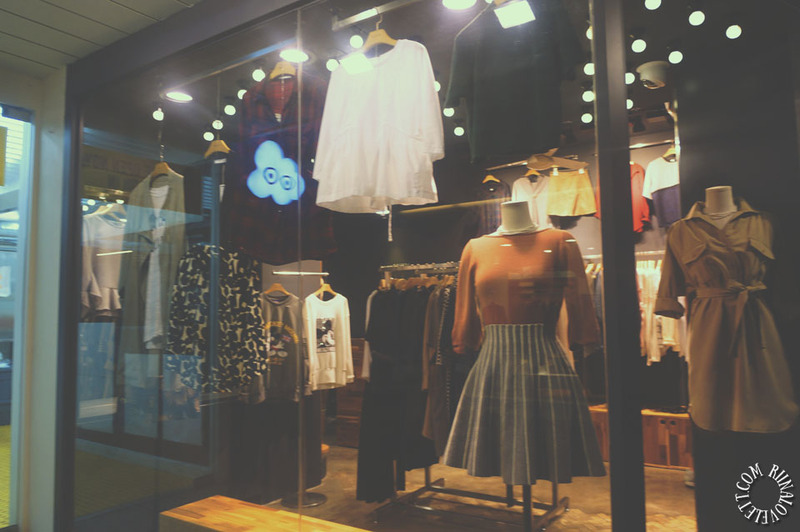 Garosu-gil is known for its trendy boutiques and trendy people. 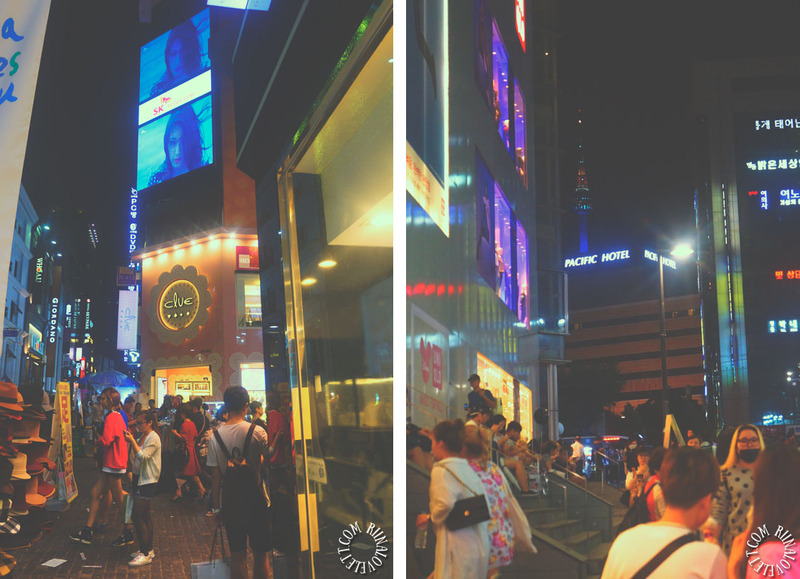 I couldn’t wait to be left in awe and be inspired. 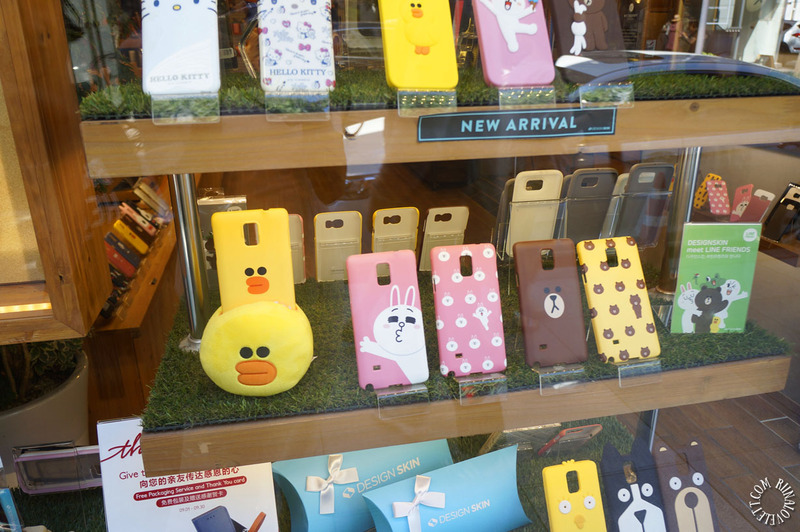 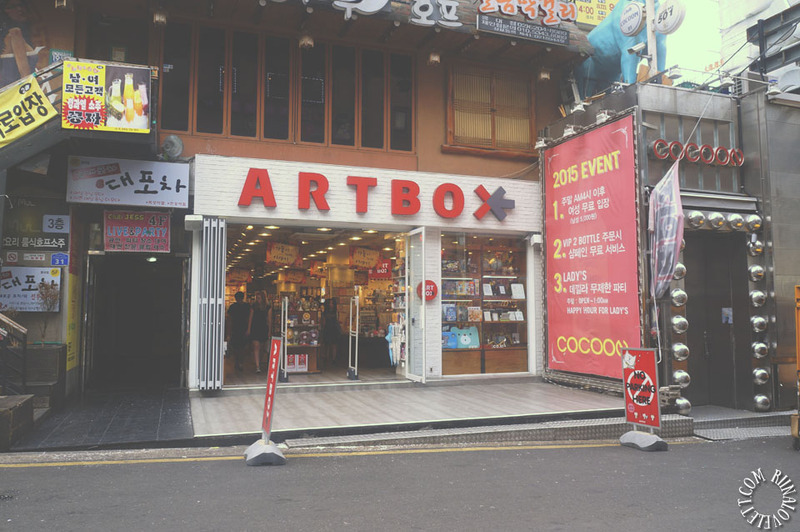 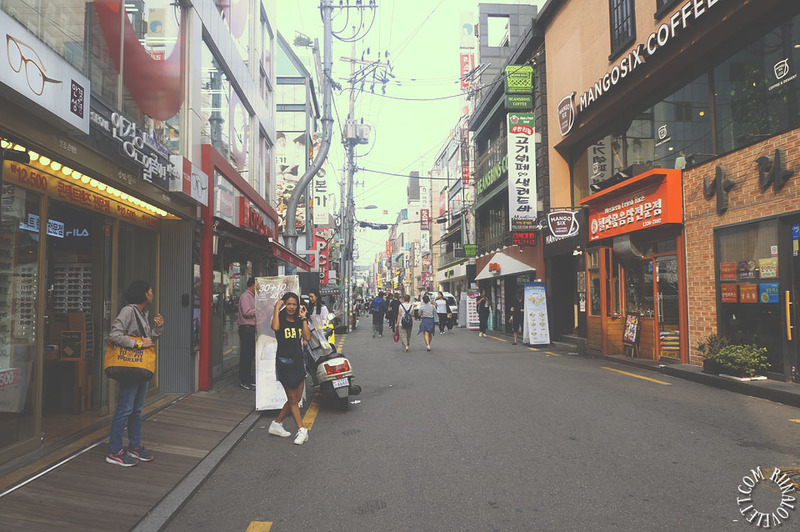 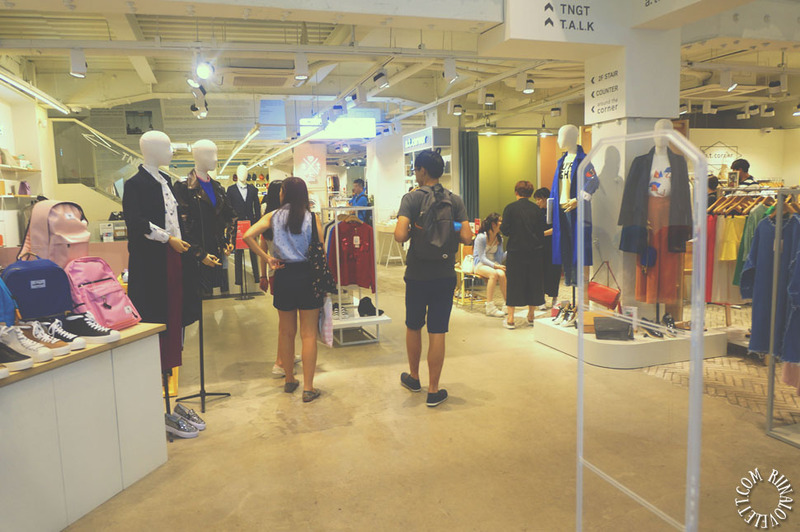 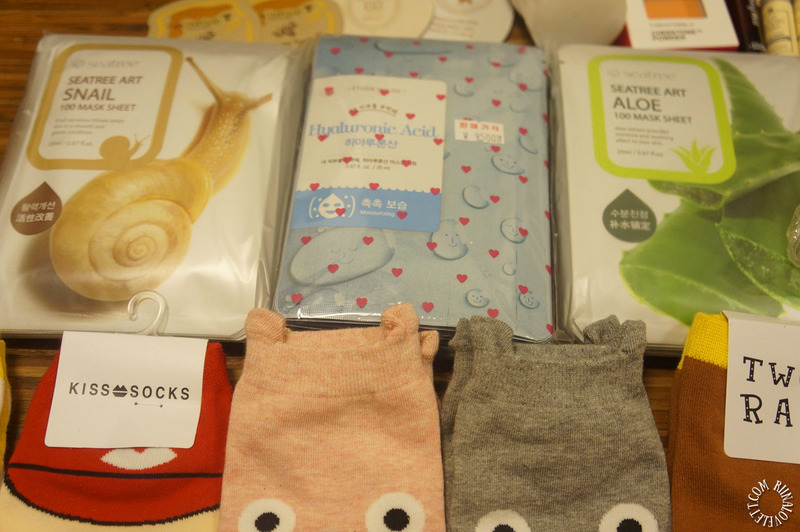 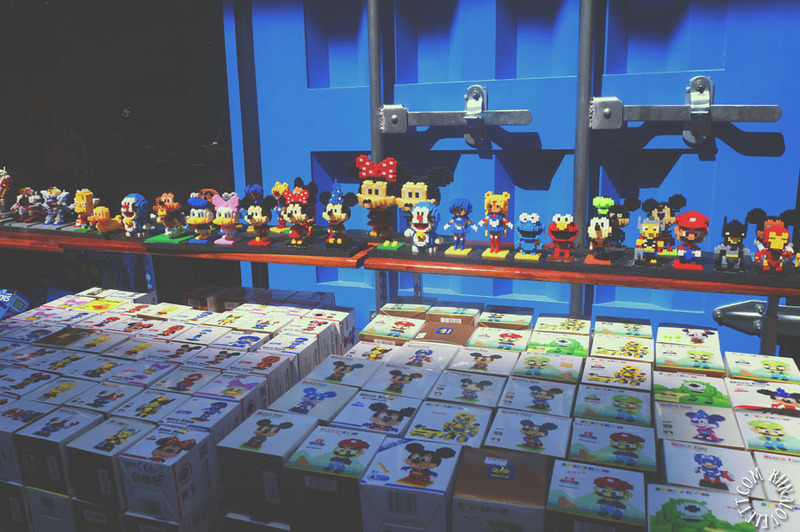 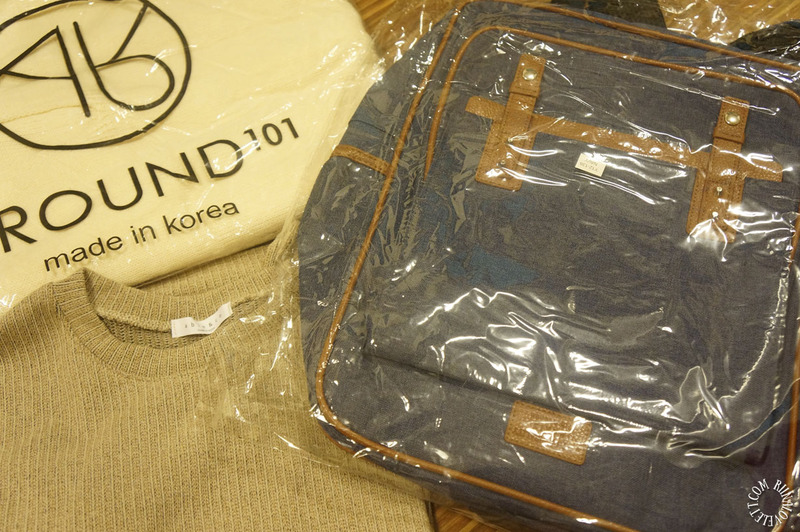 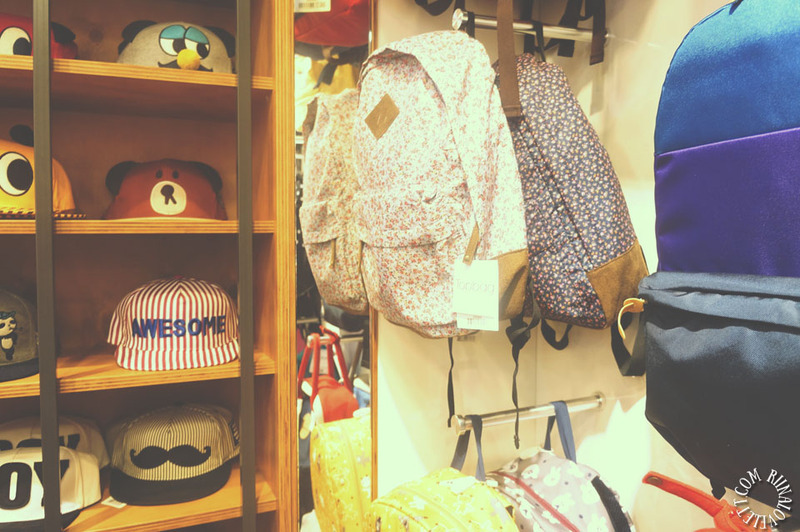 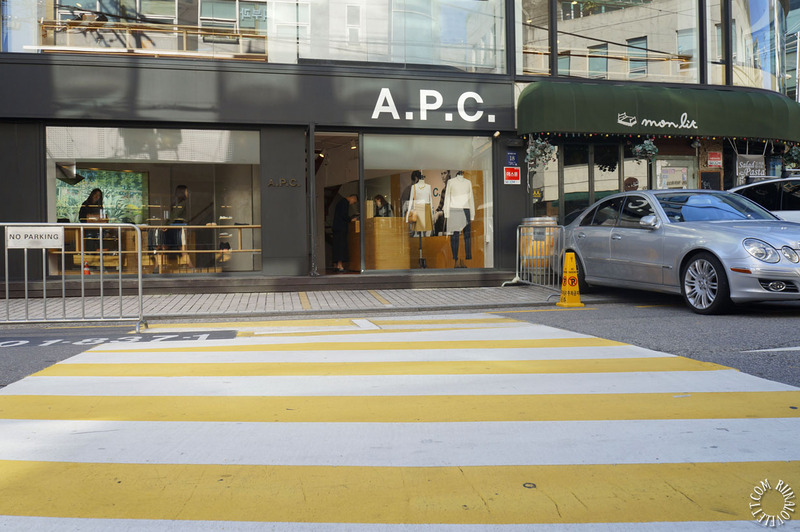 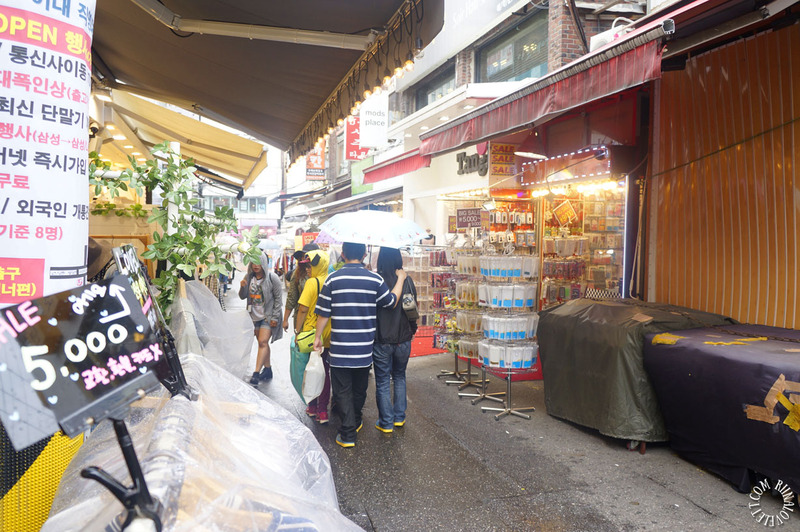 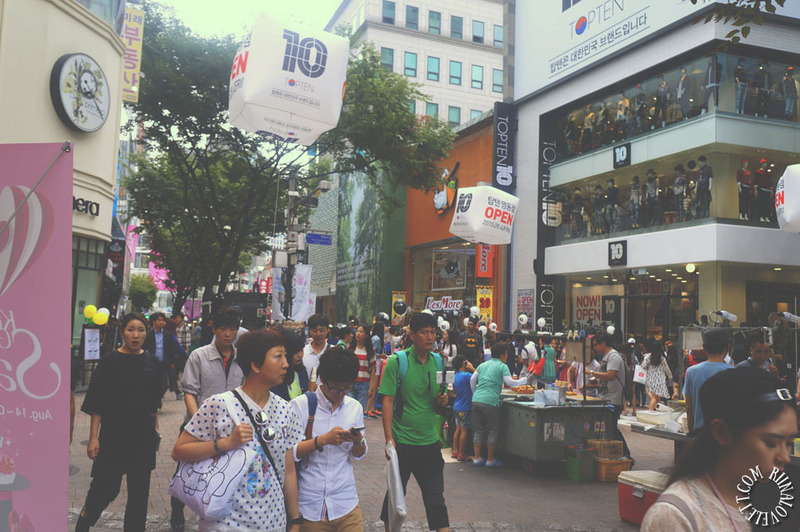 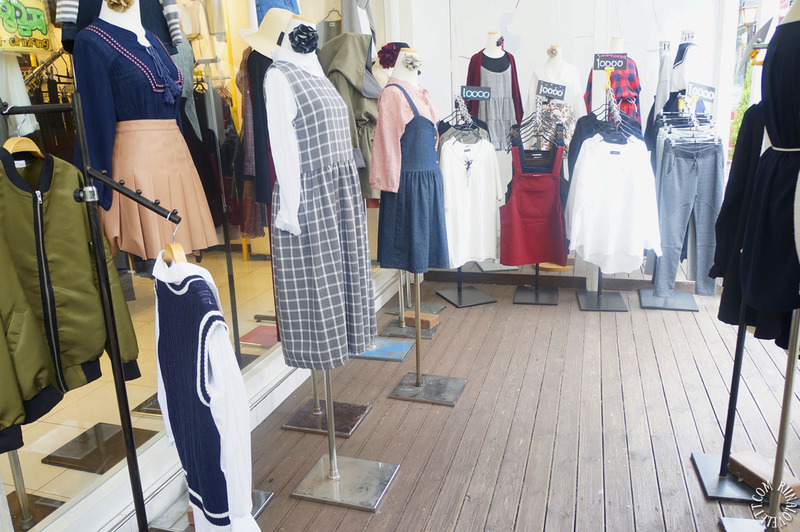 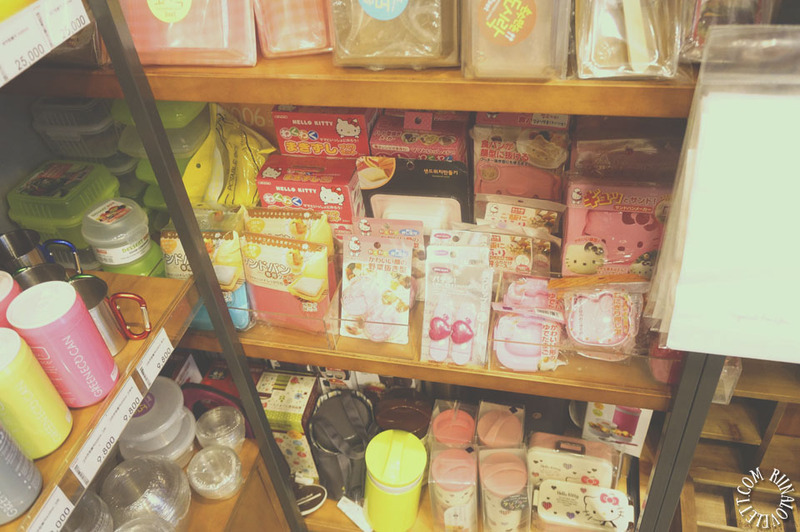 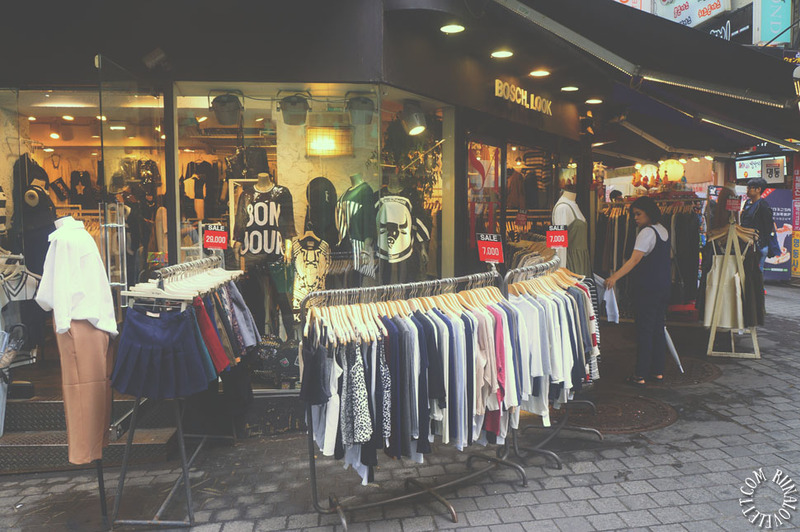 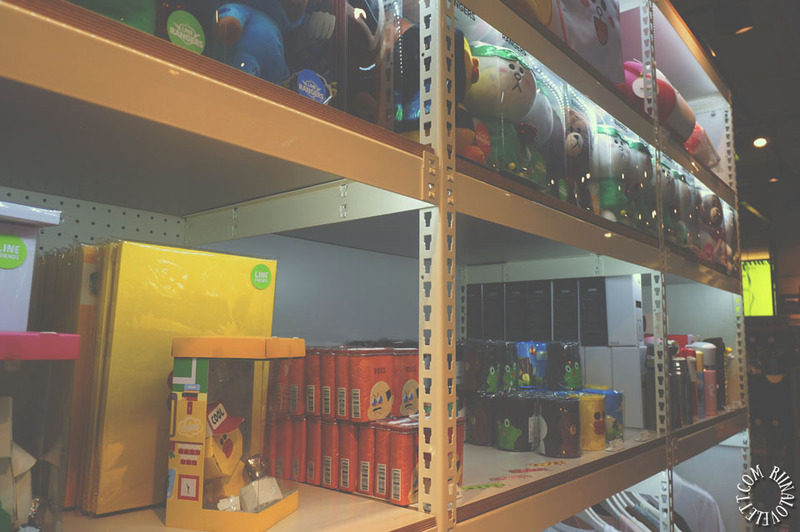 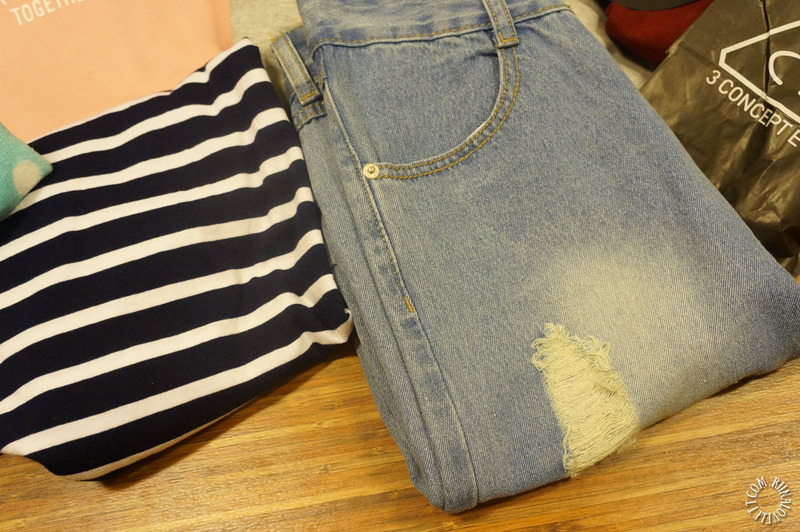 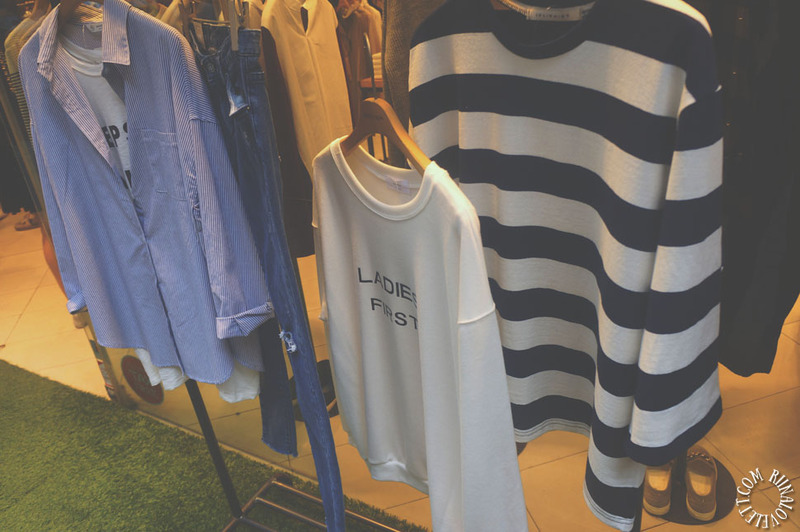 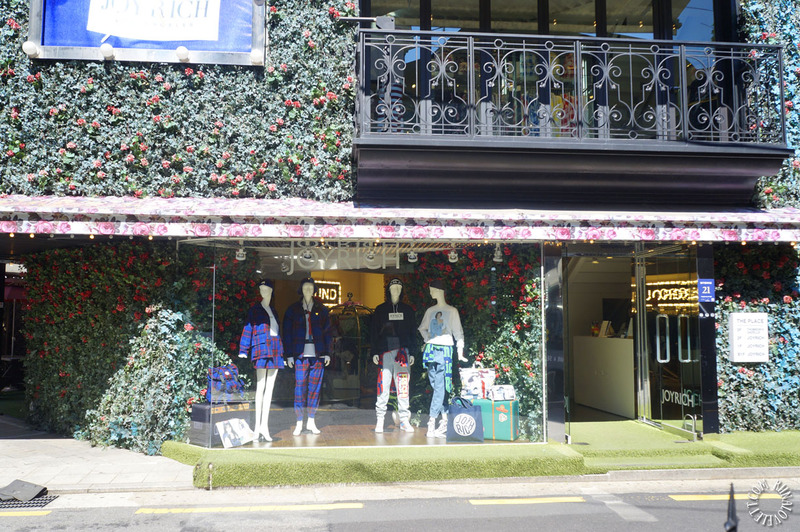 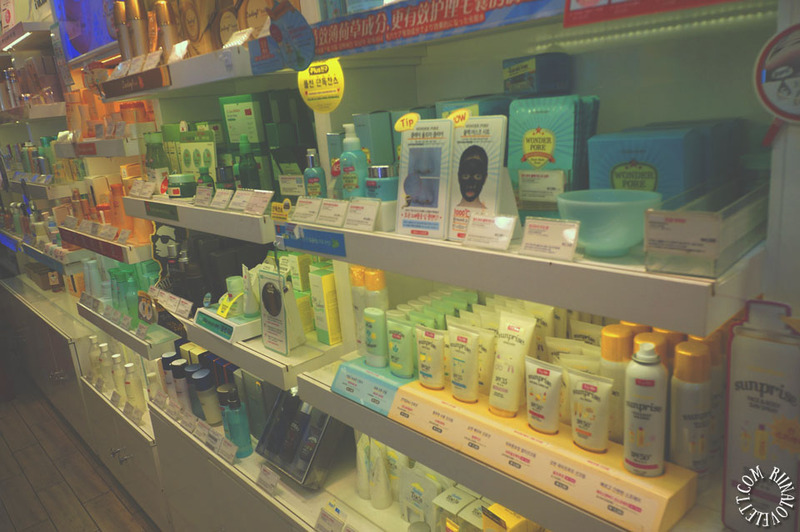 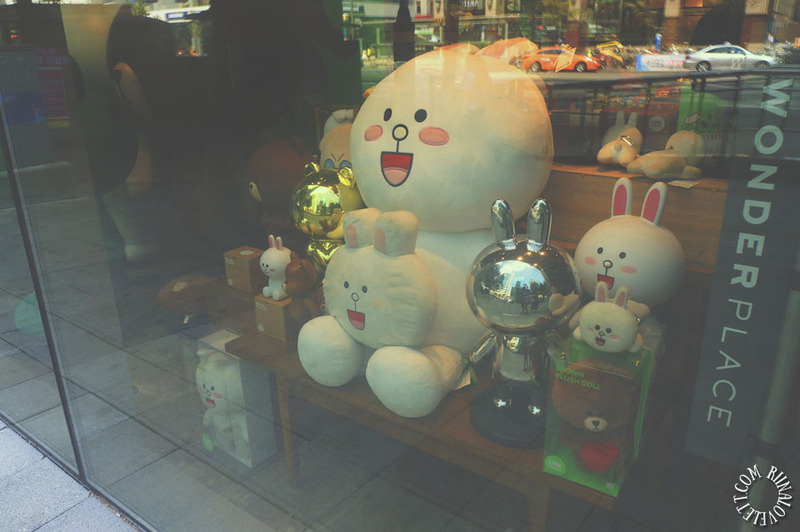 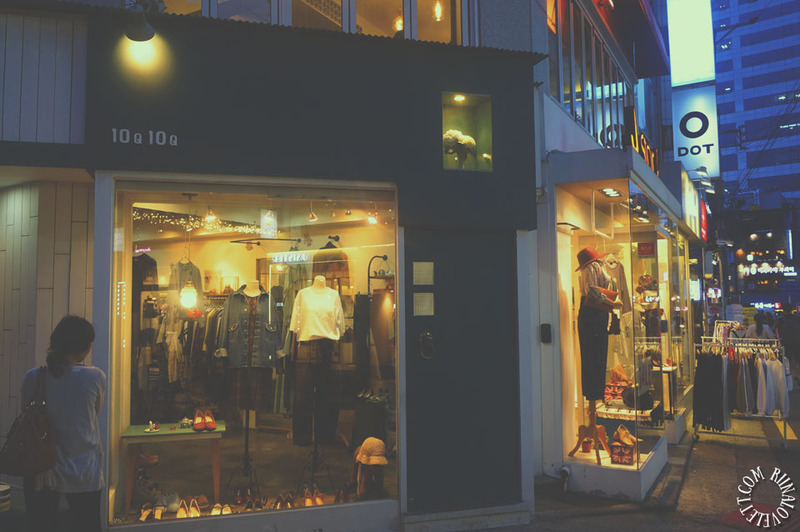 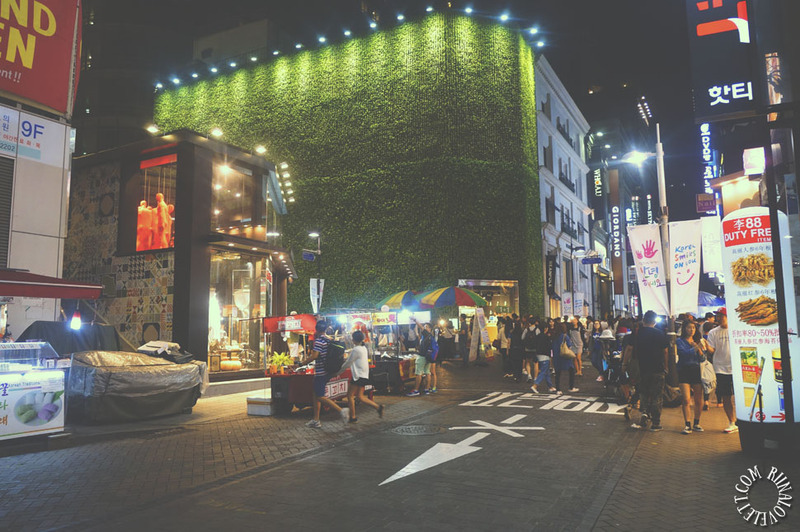 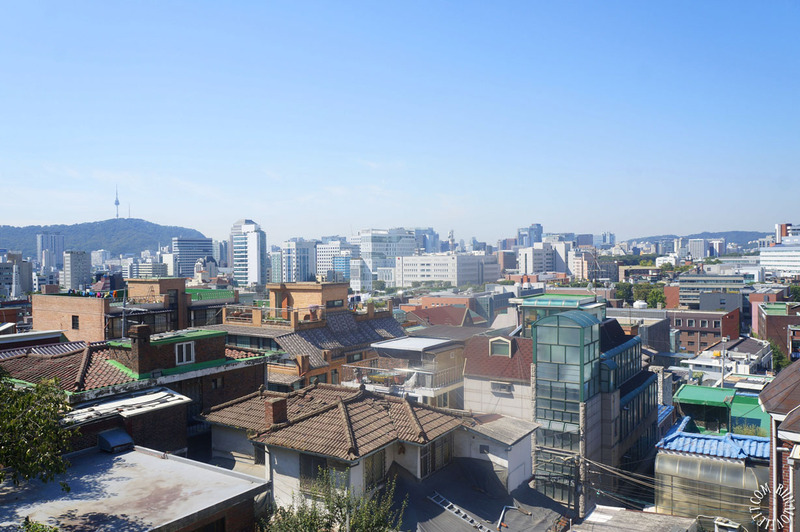 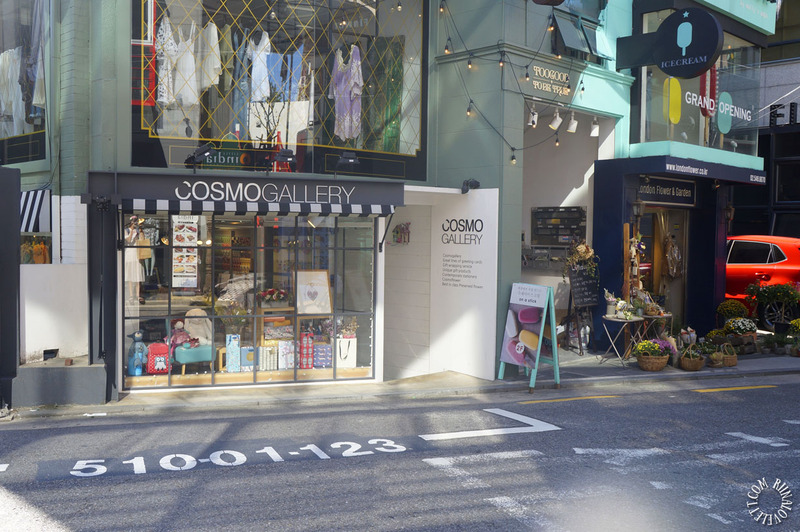 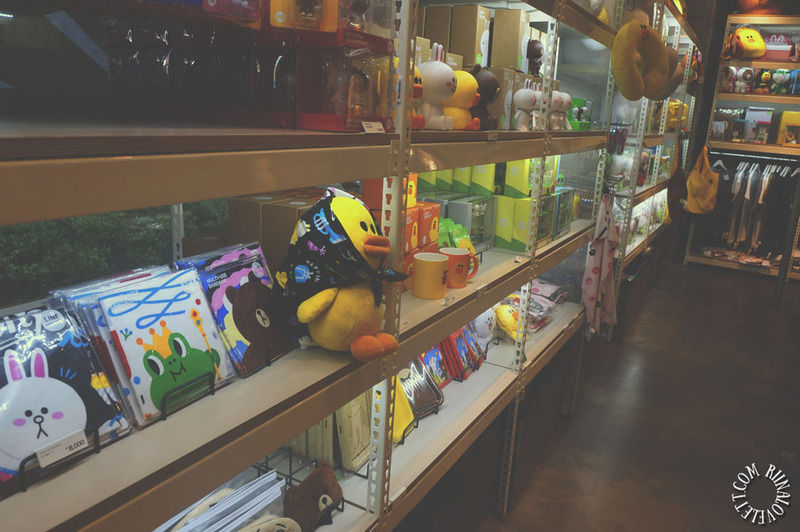 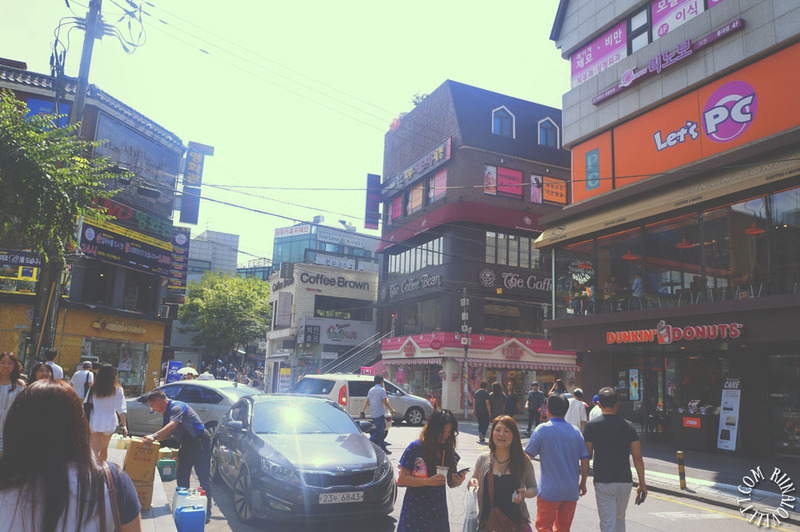 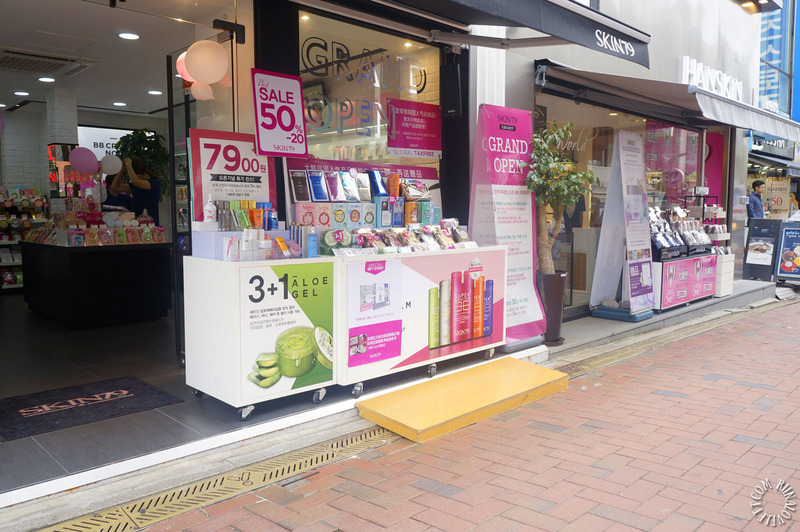 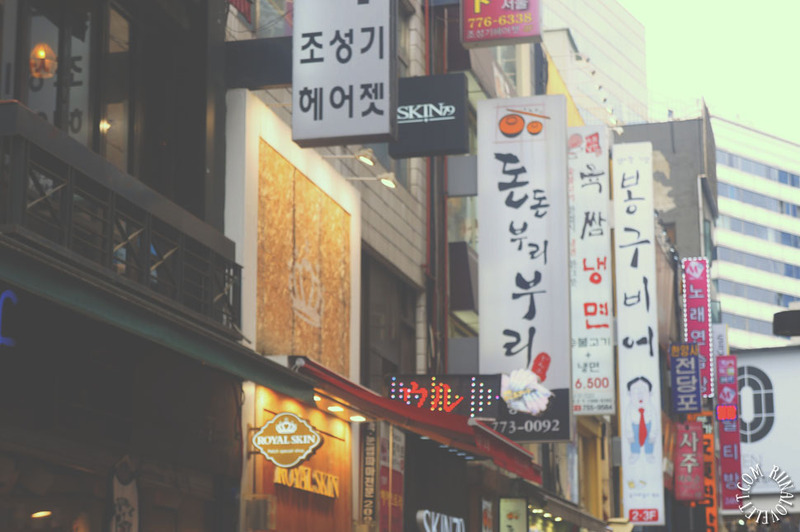 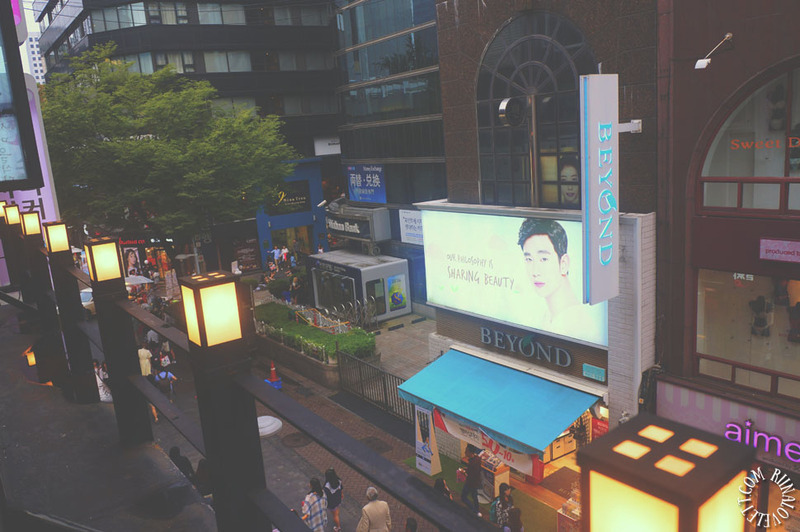 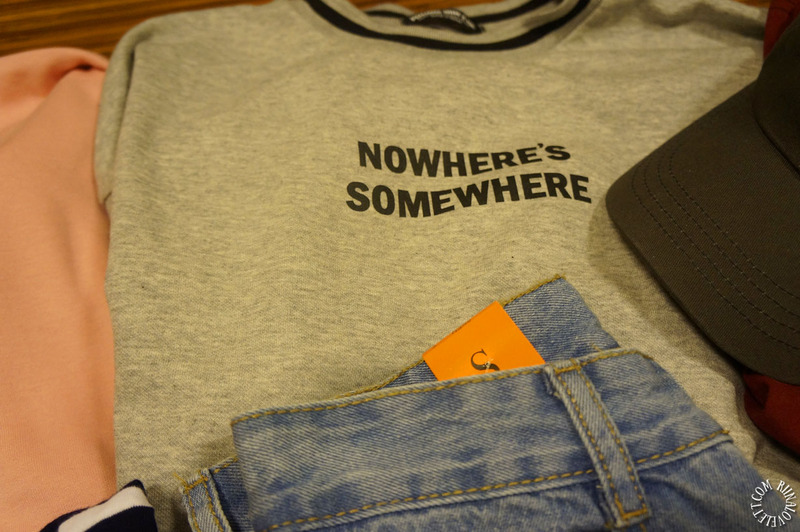 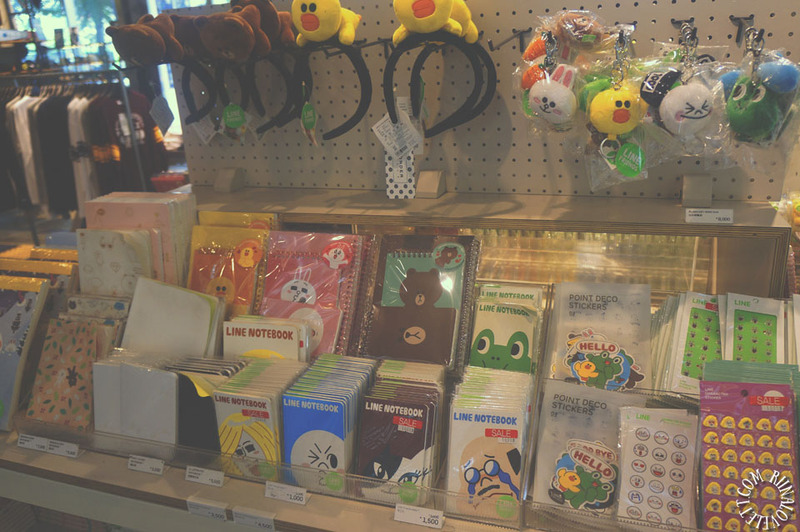 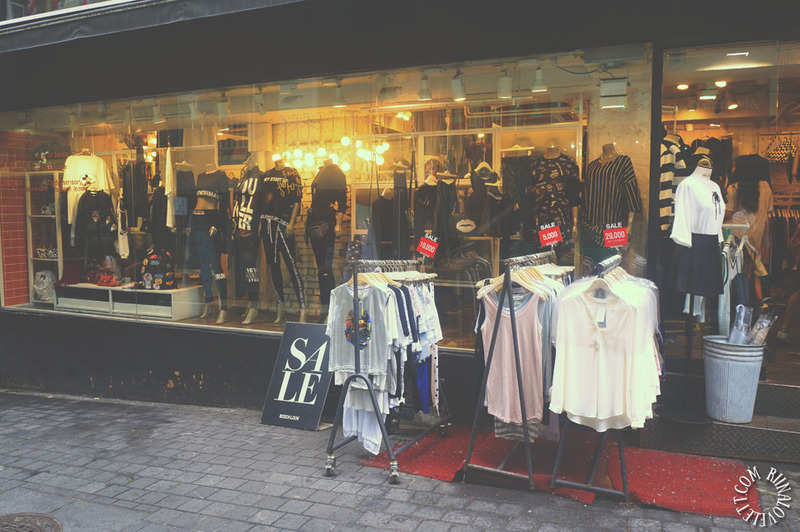 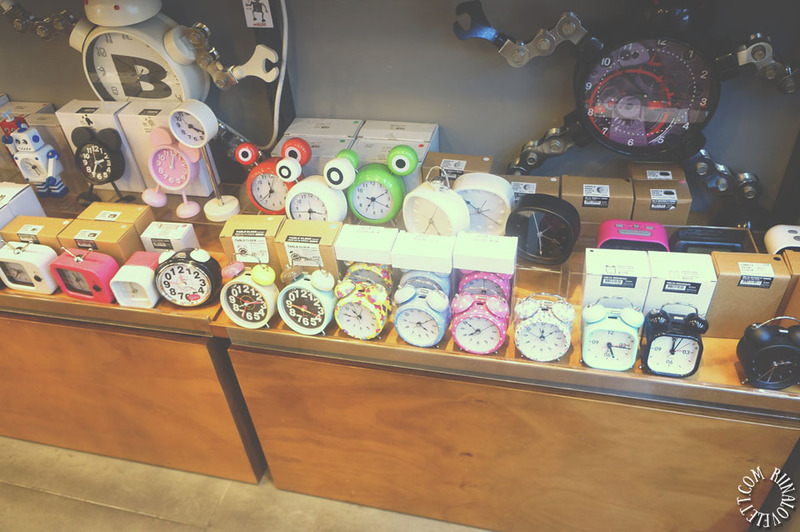 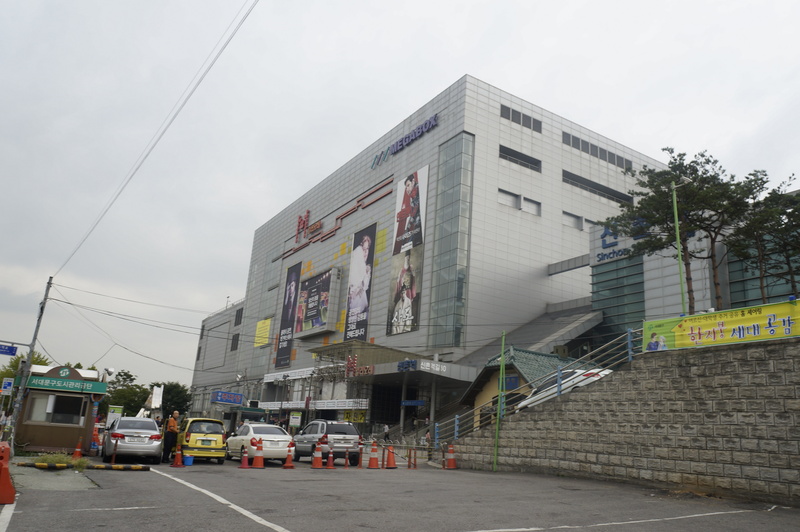 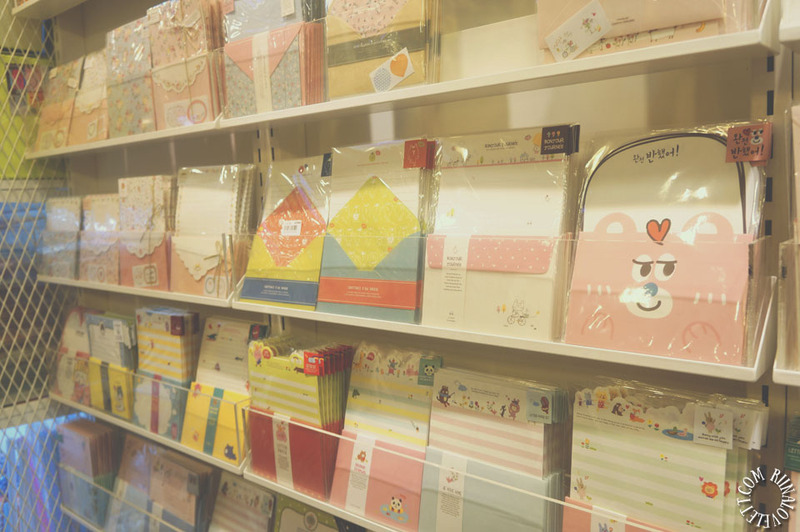 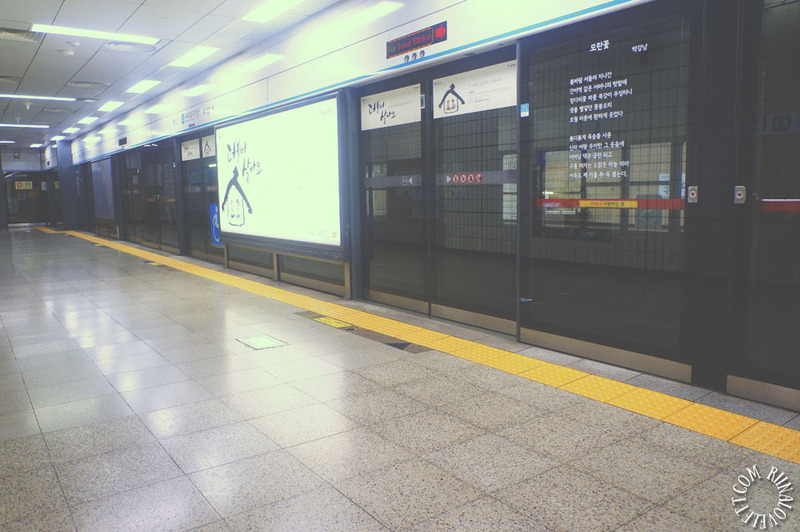 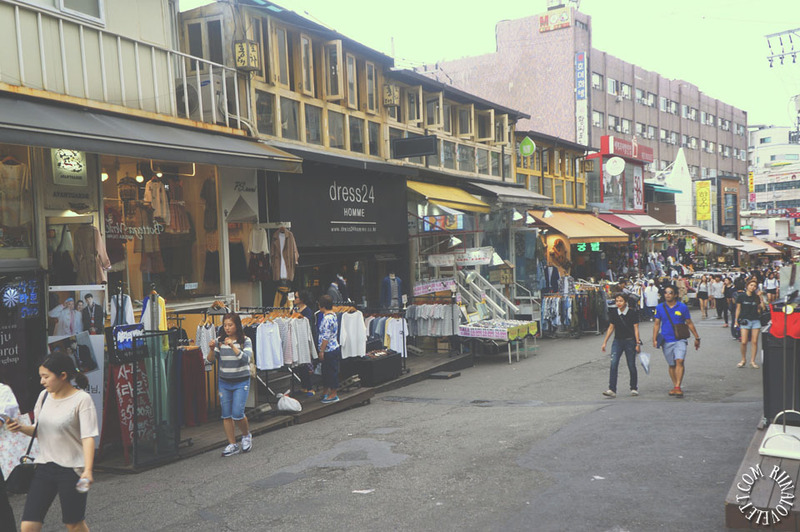 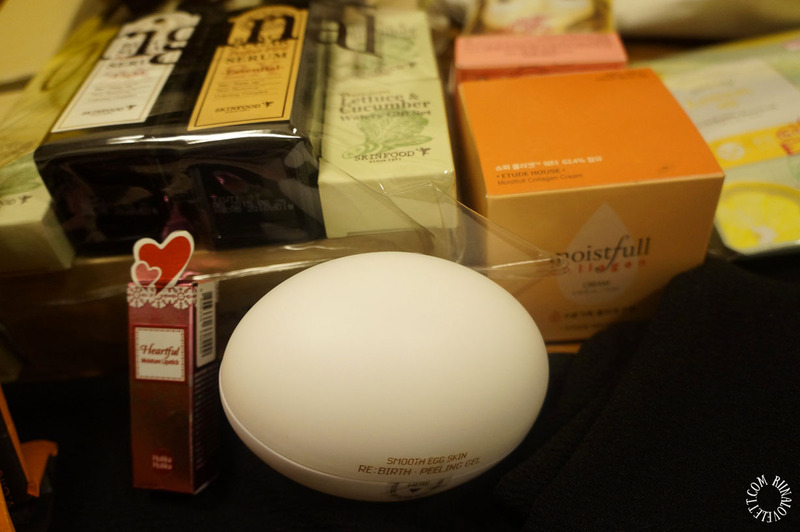 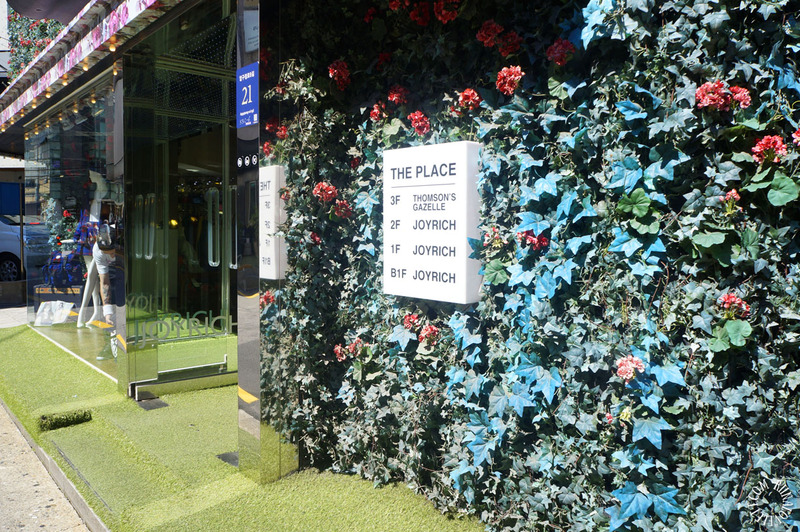 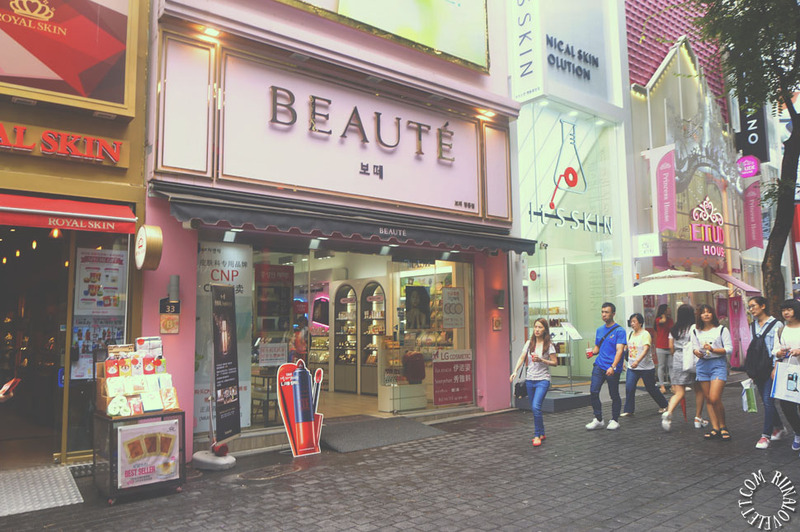 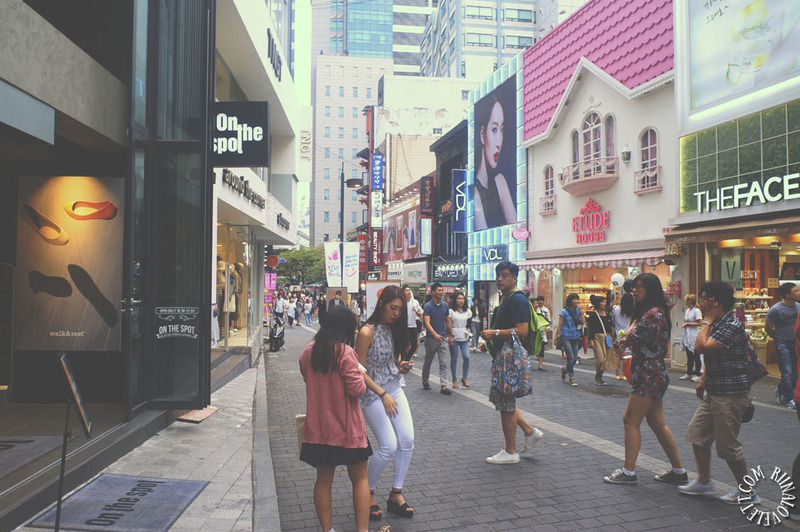 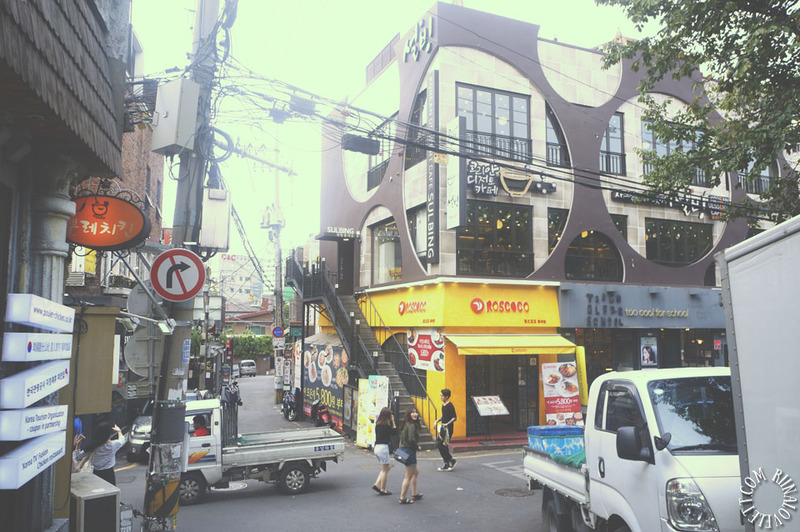 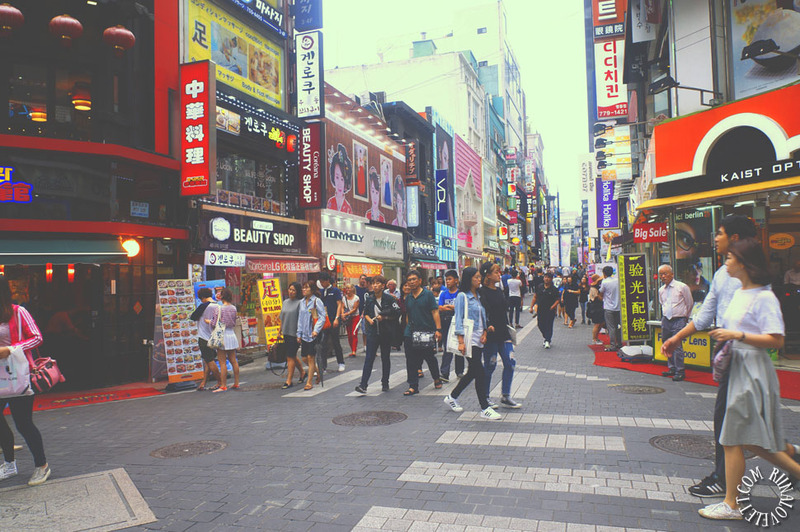 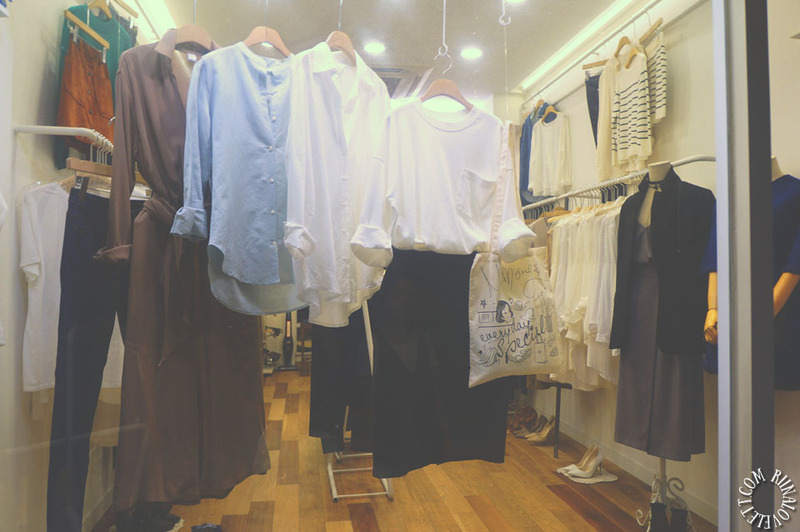 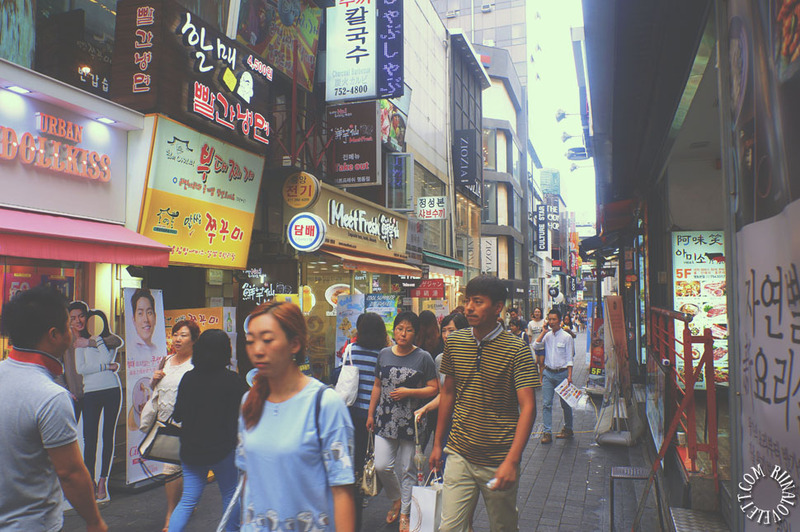 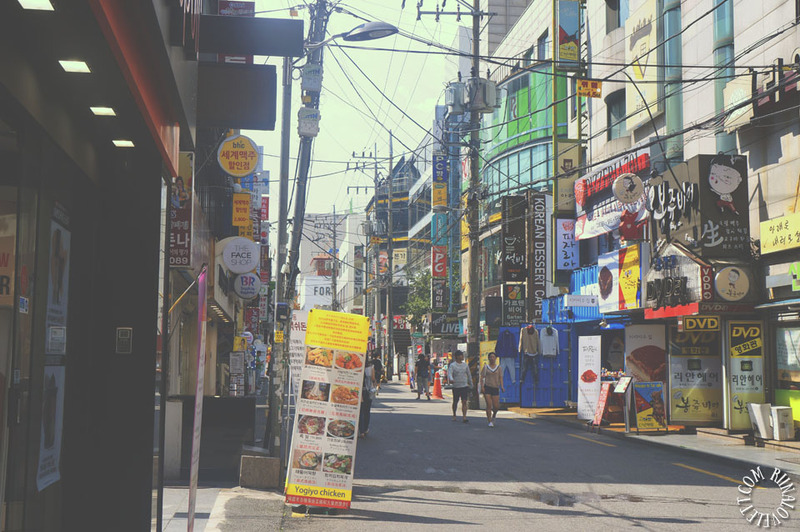 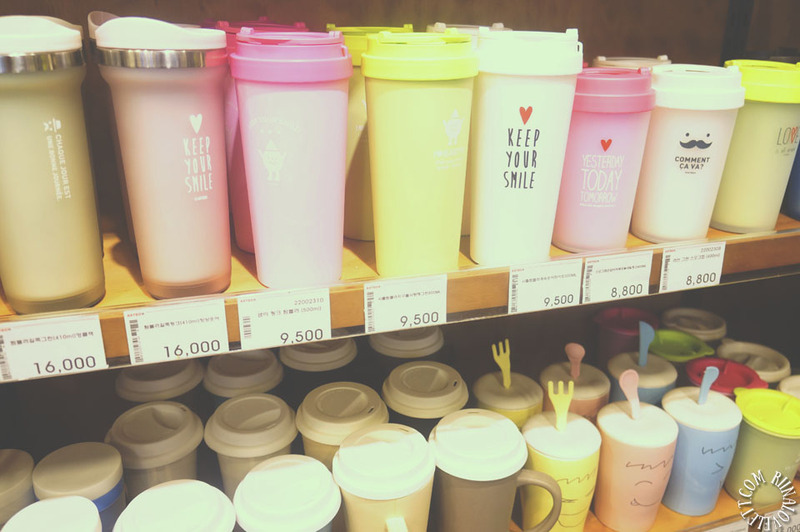 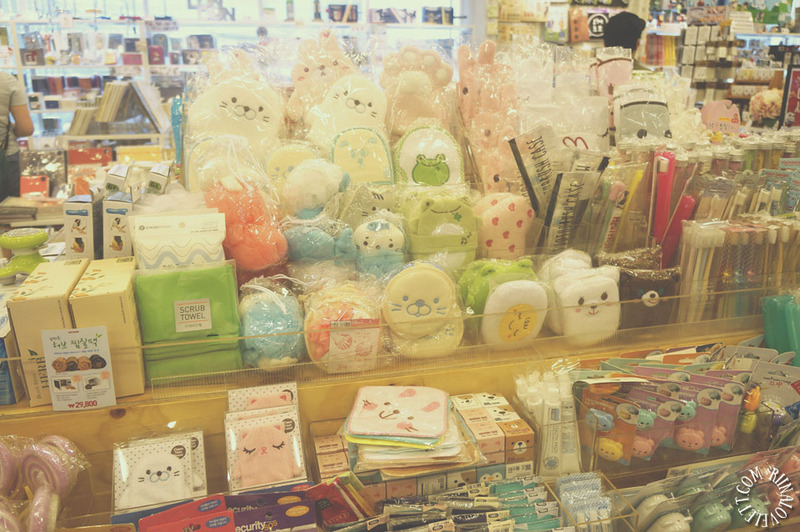 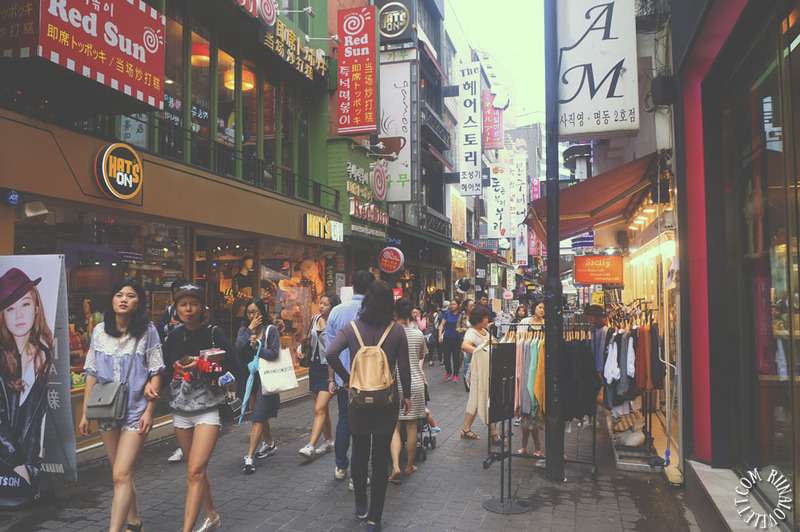 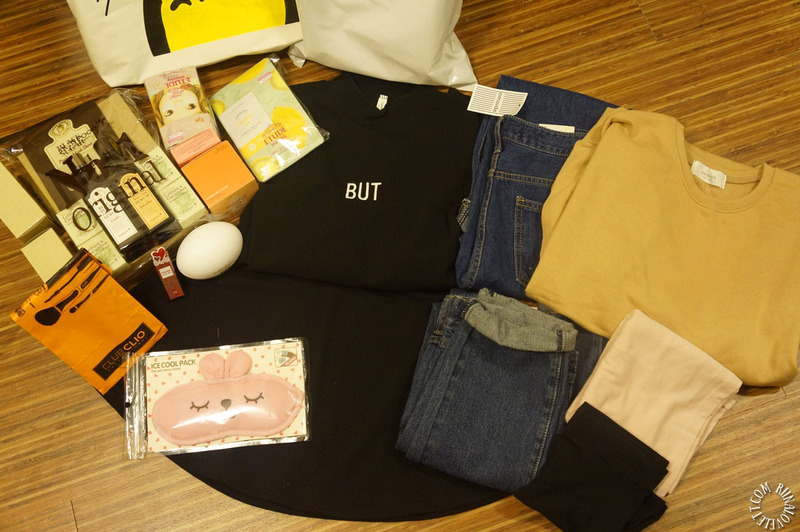 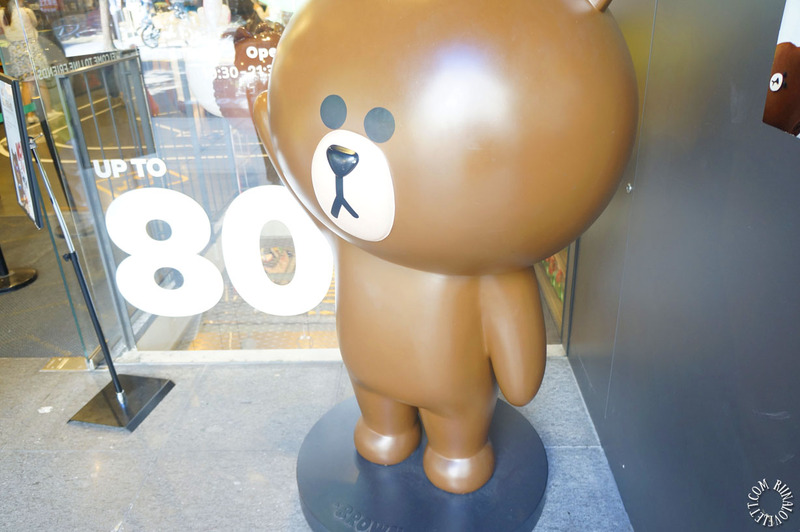 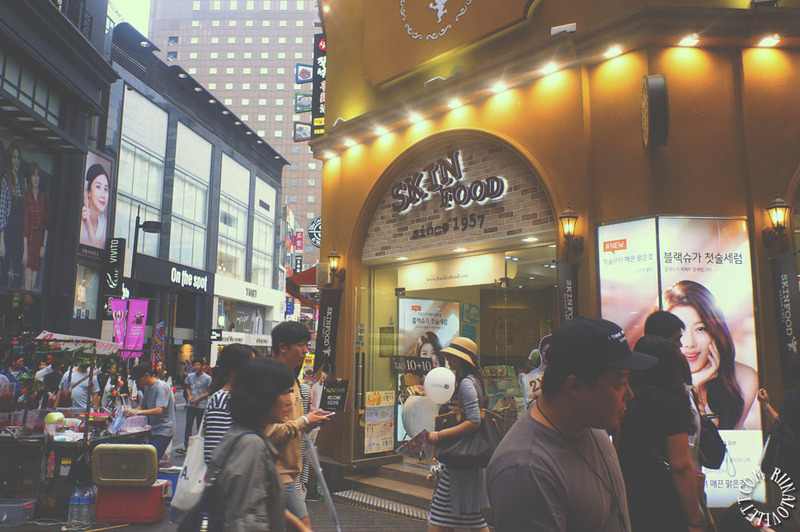 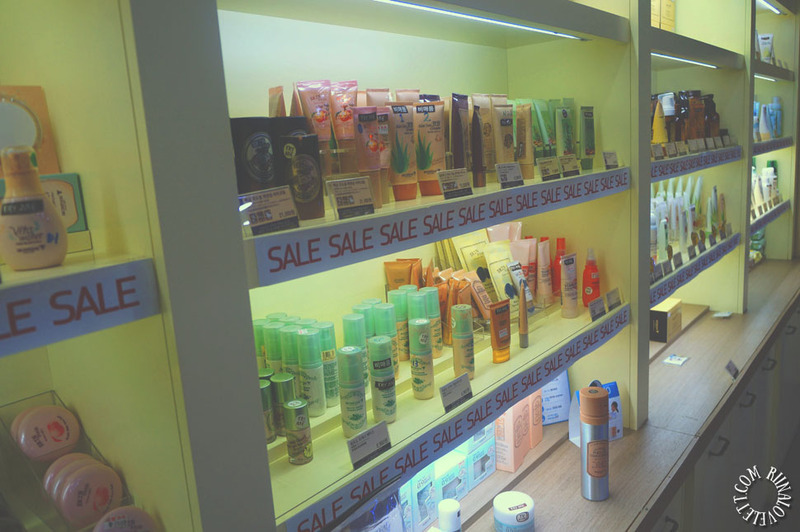 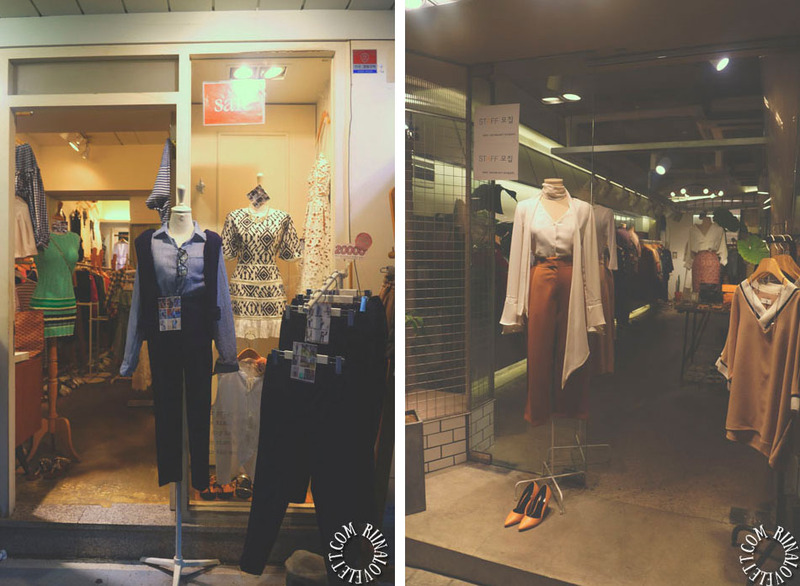 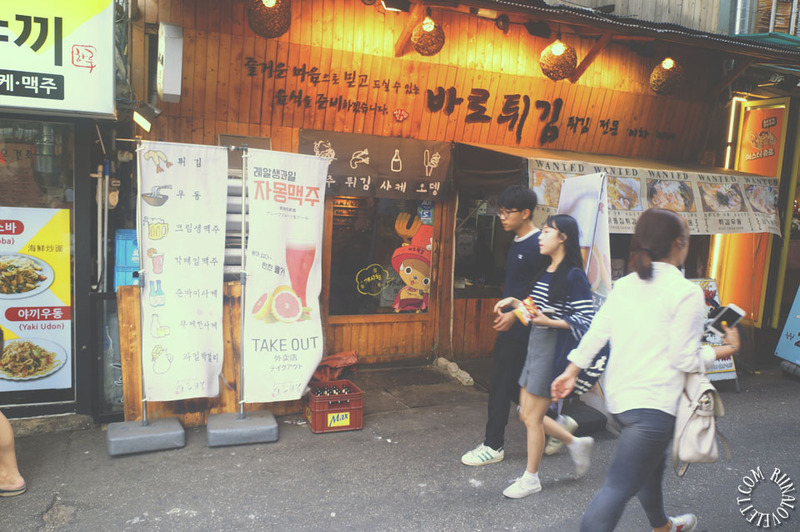 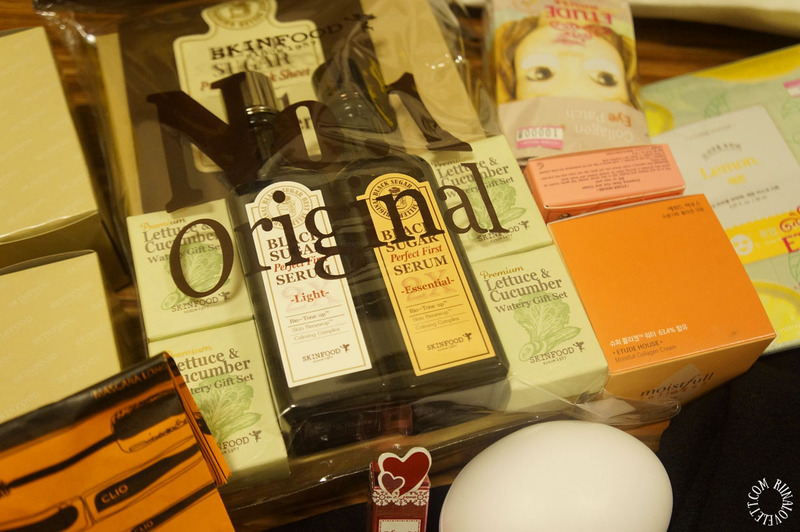 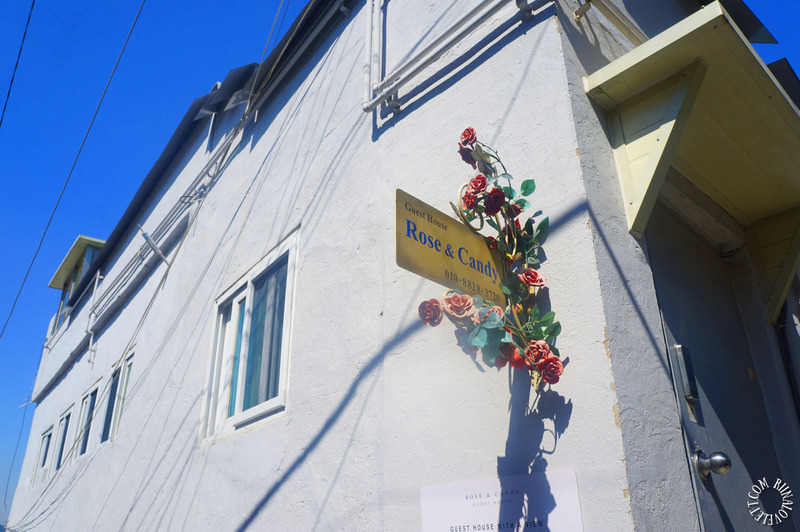 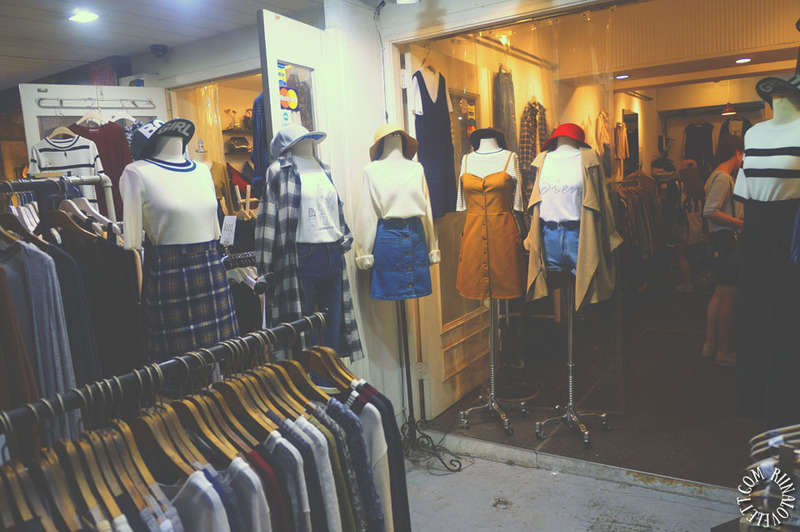 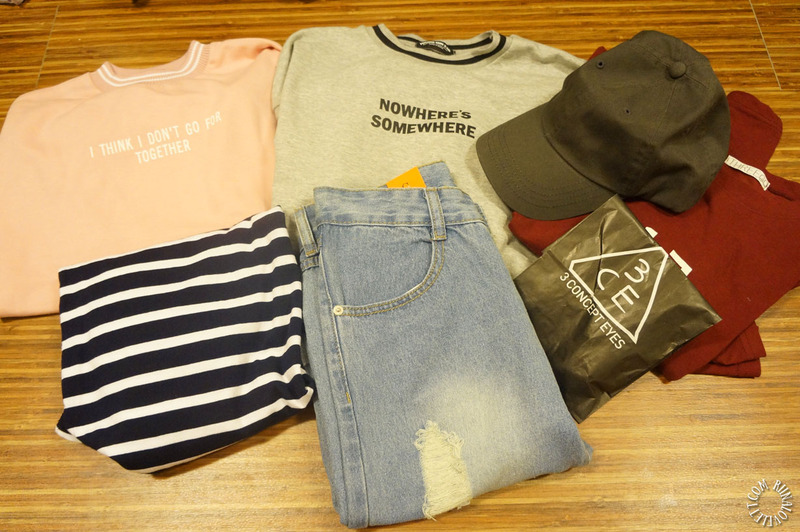 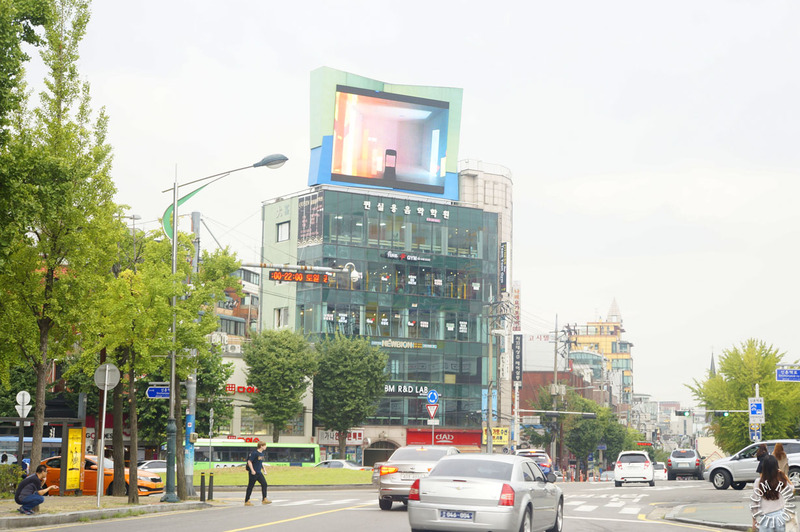 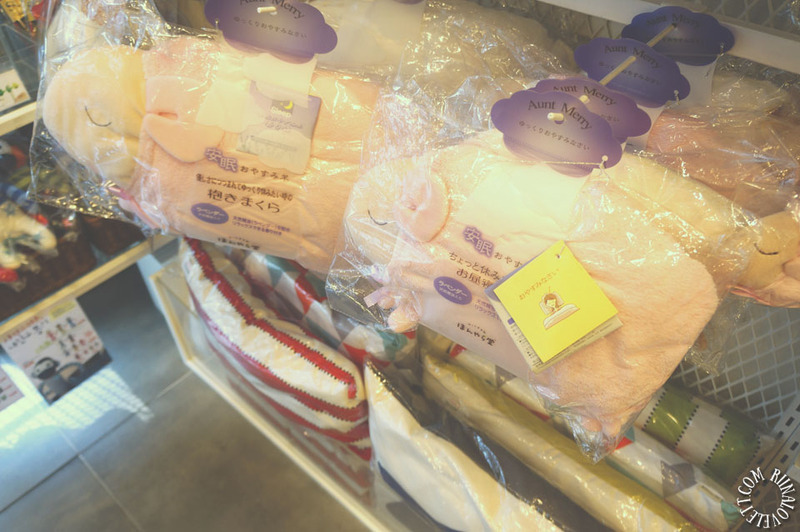 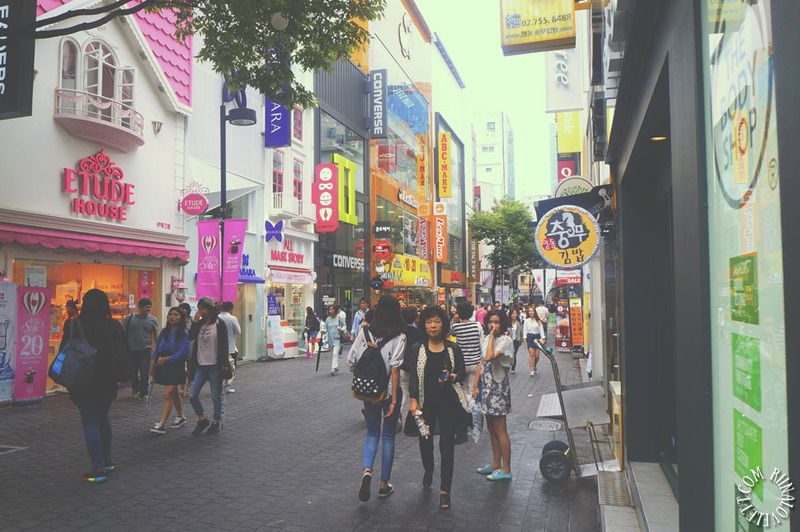 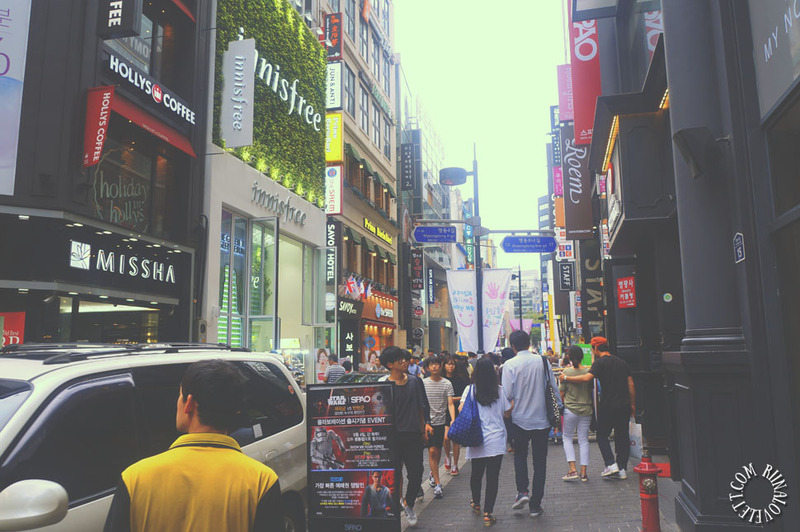 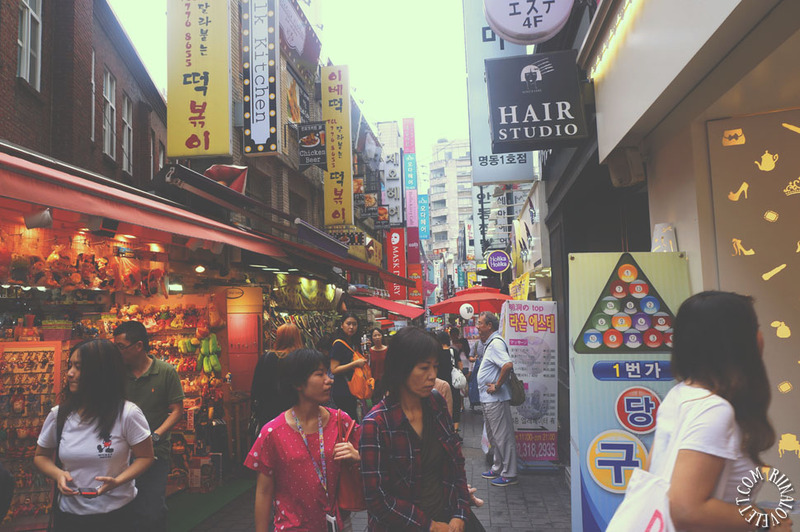 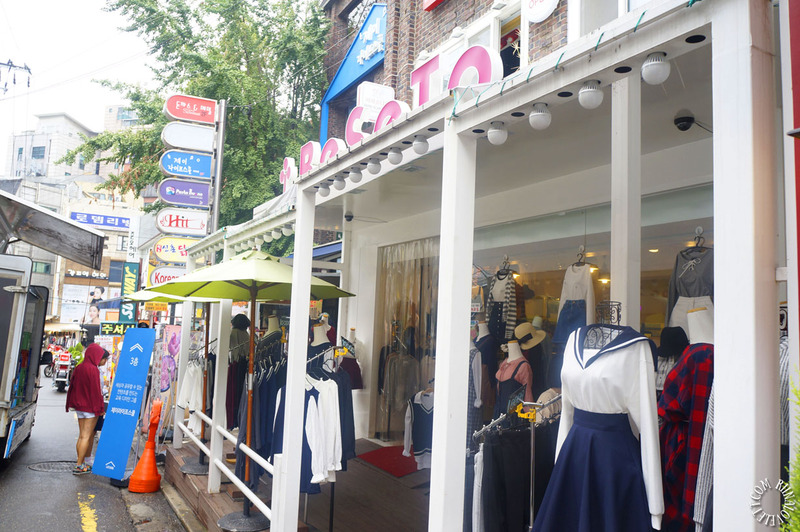 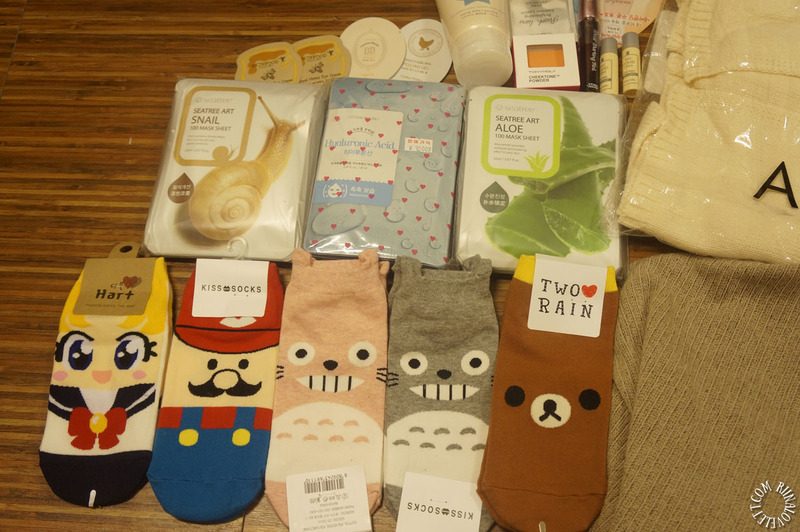 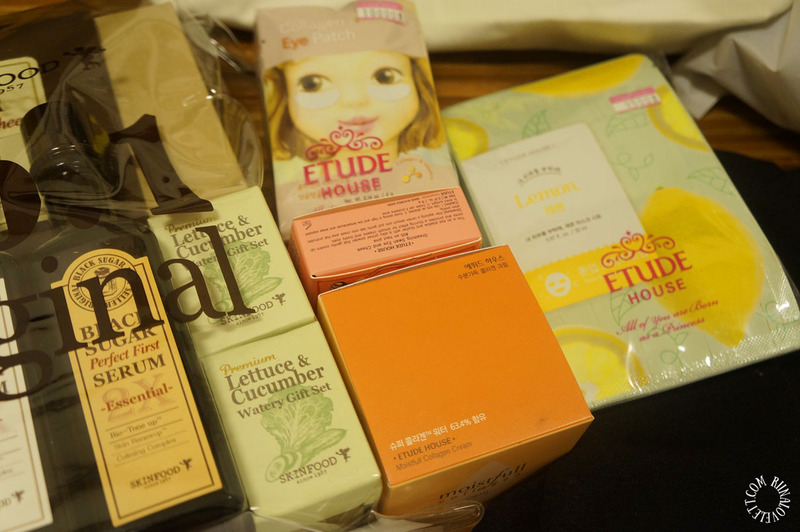 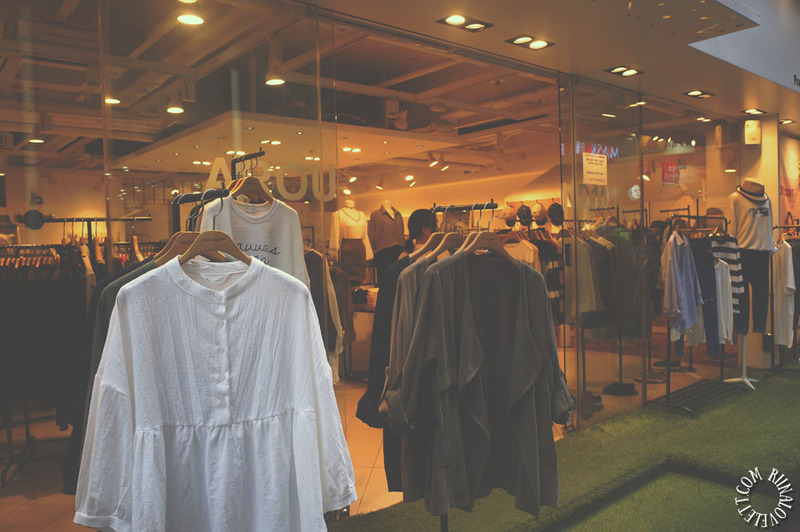 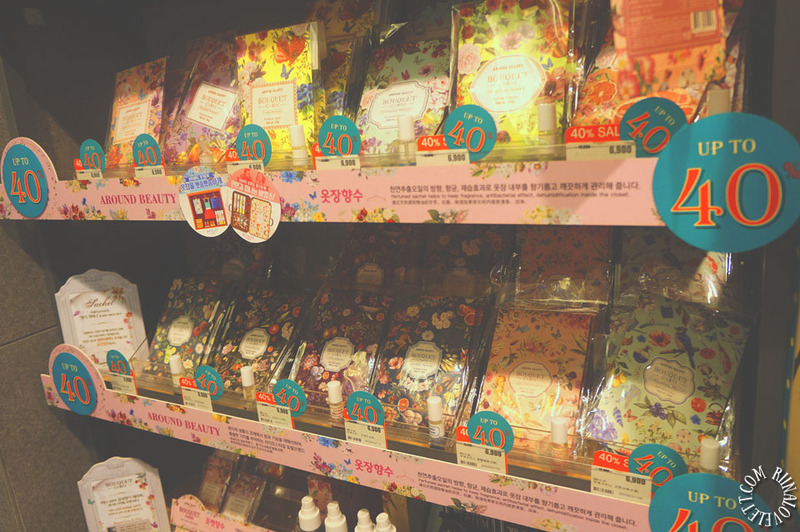 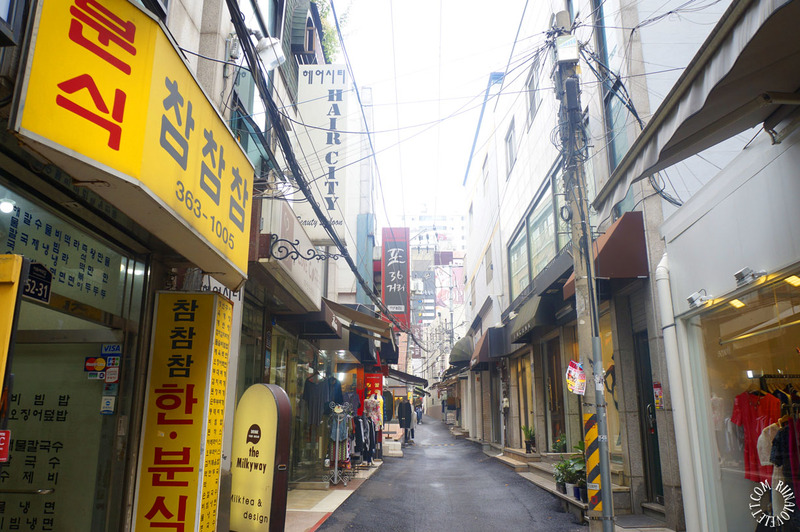 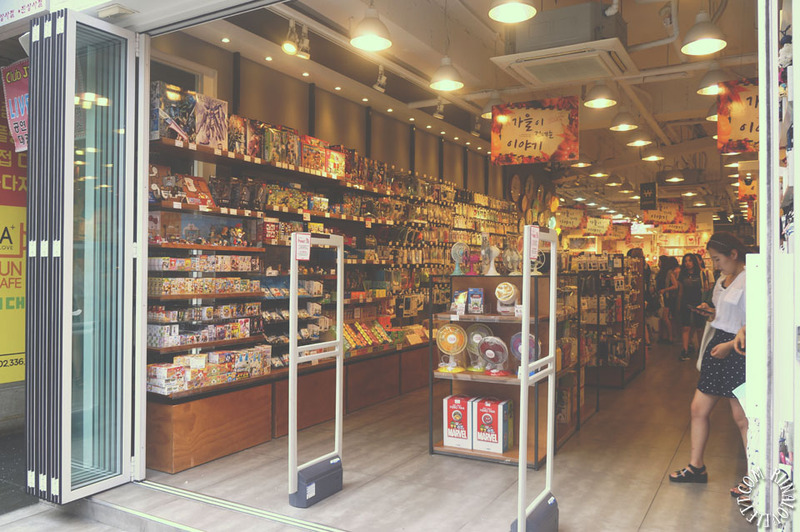 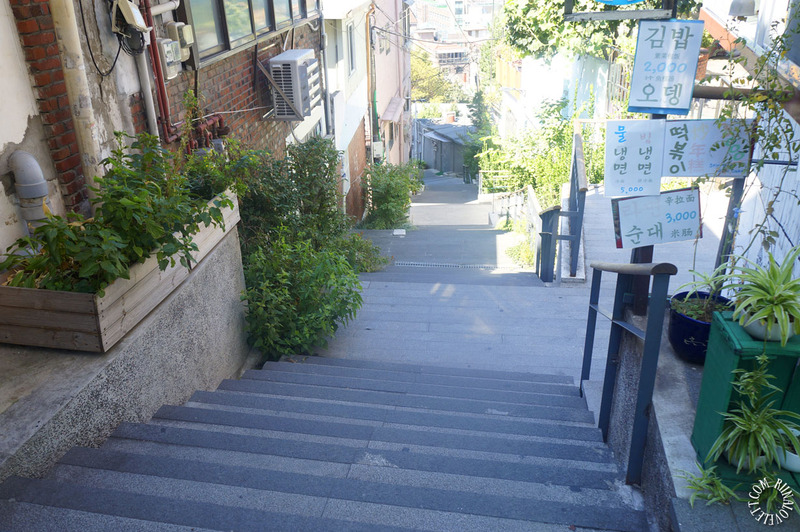 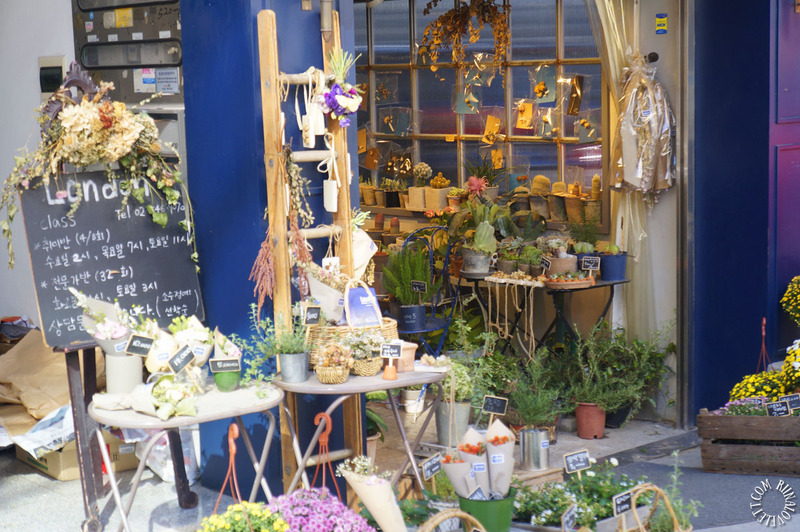 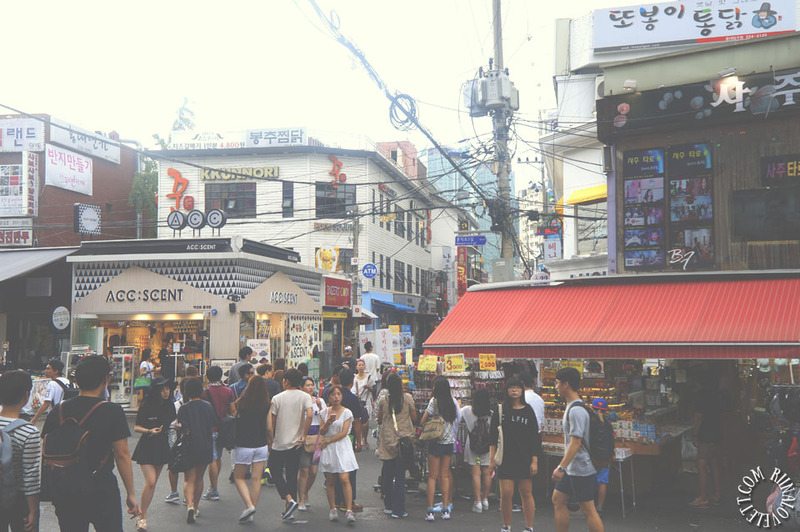 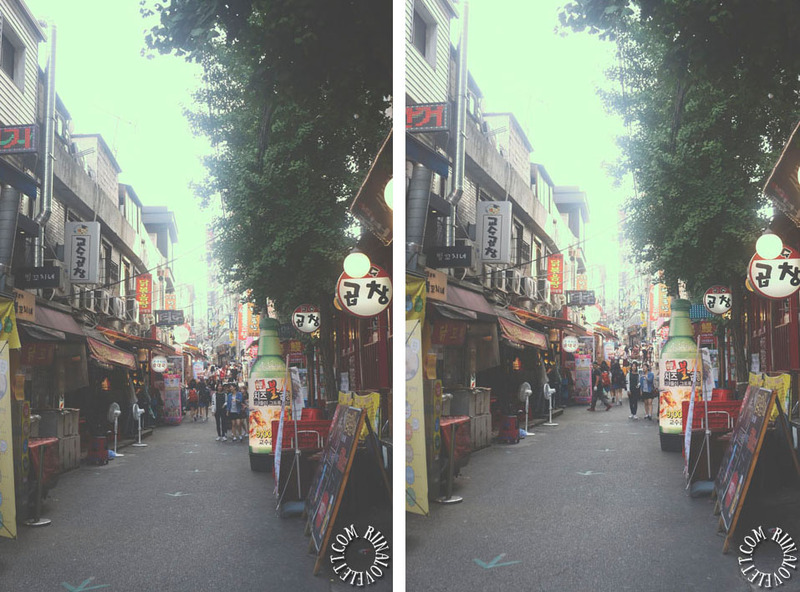 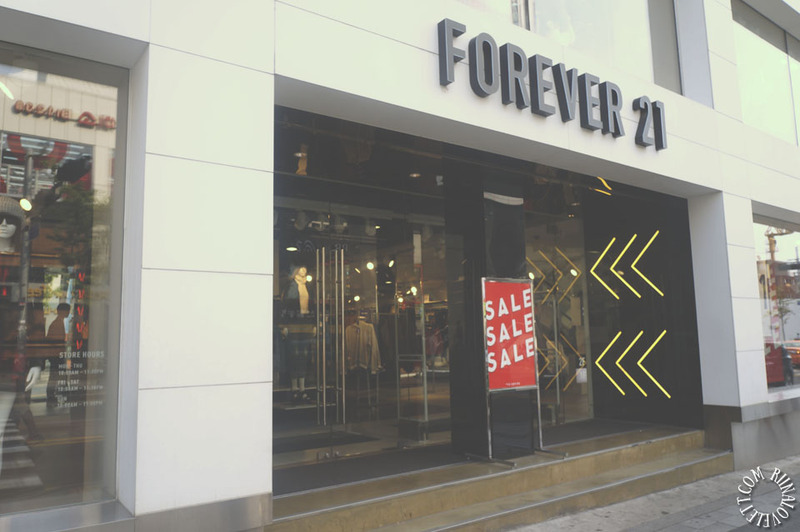 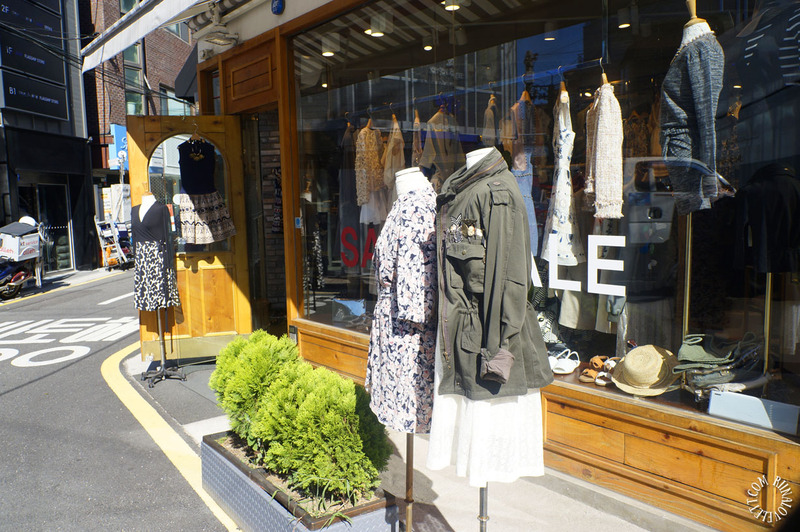 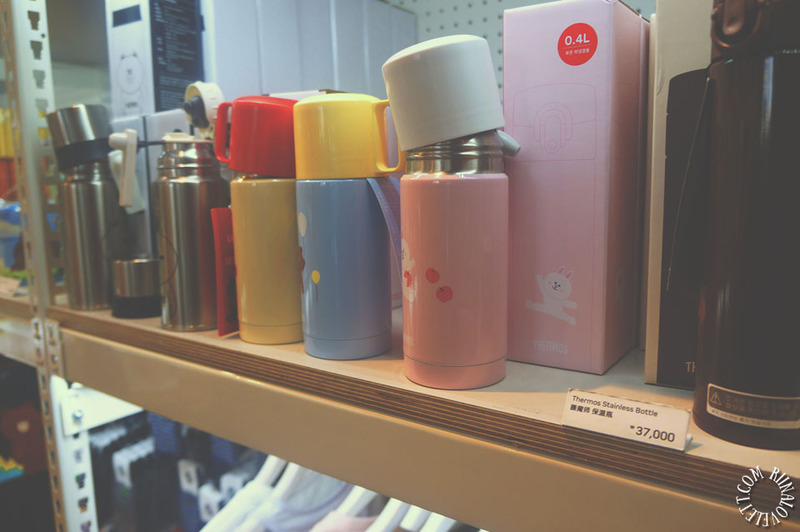 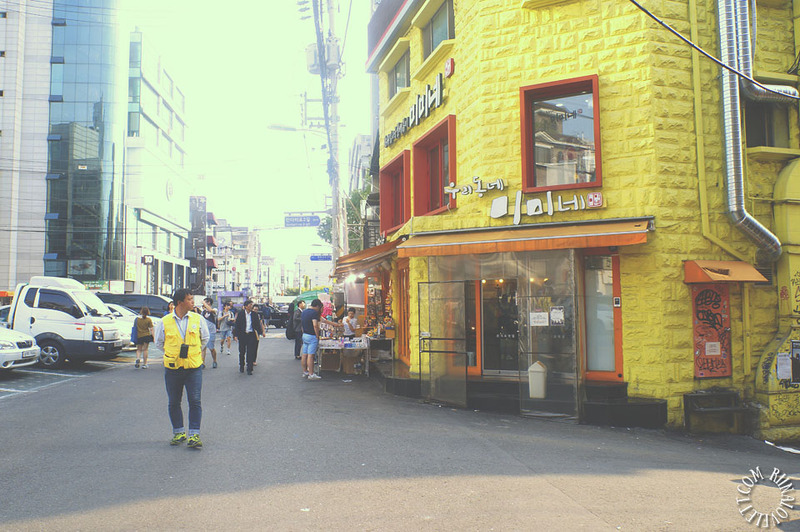 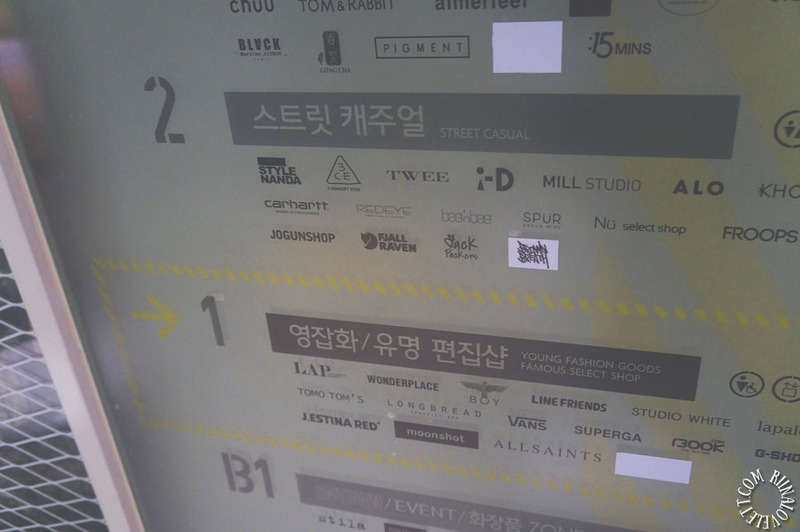 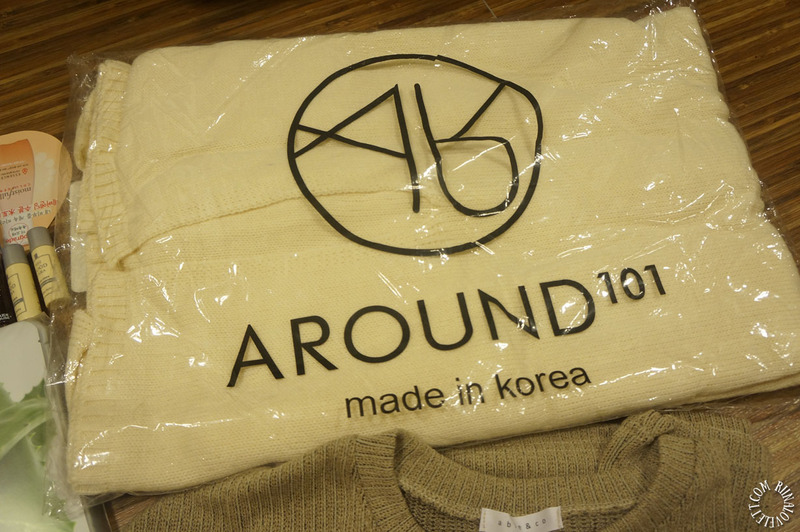 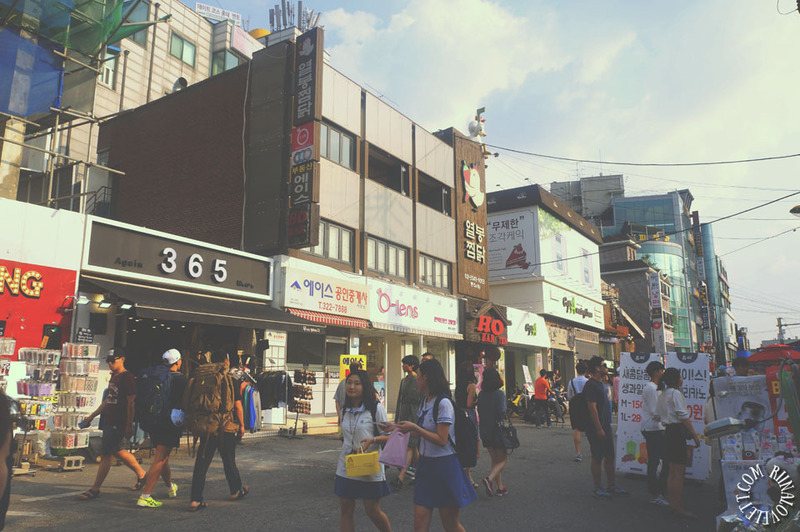 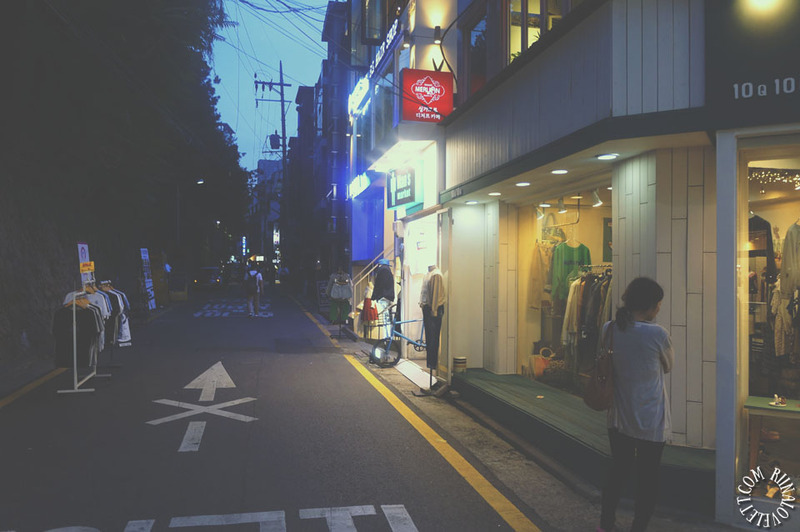 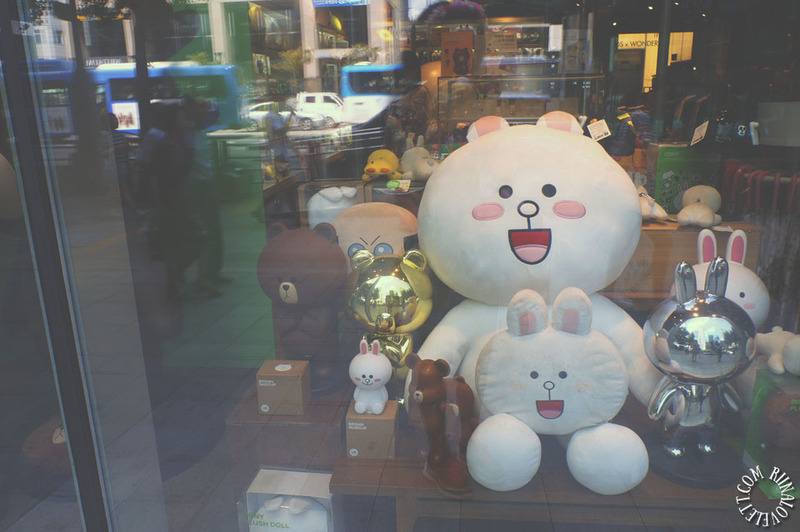 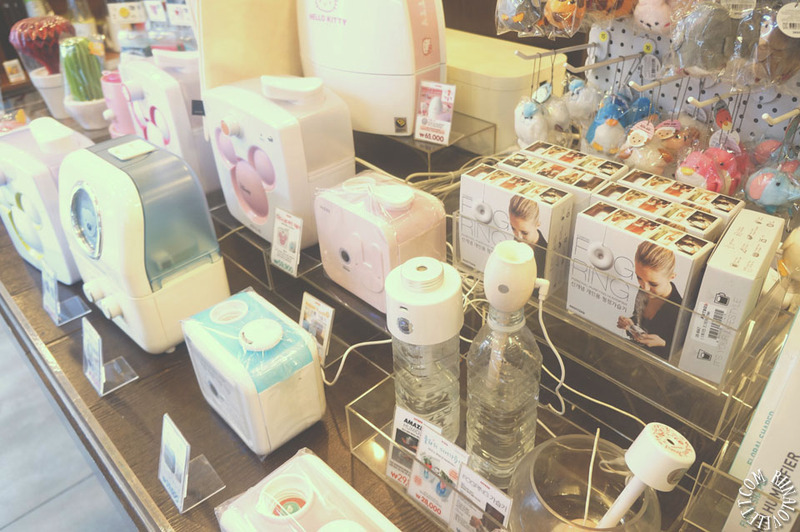 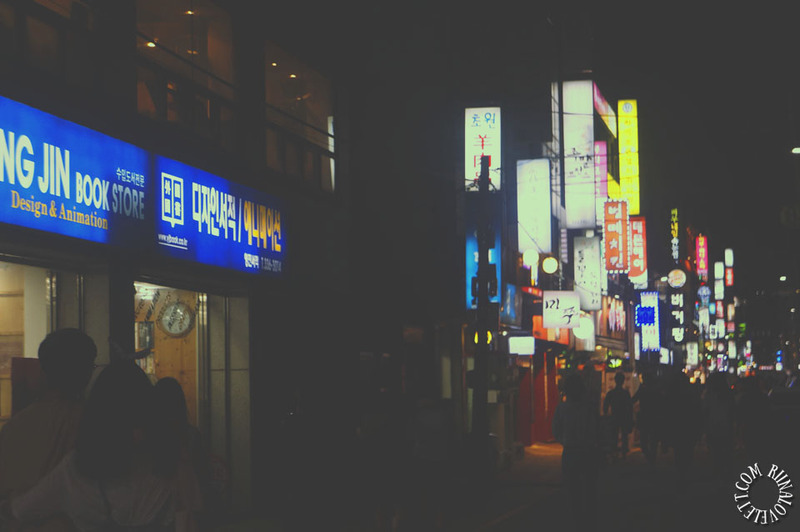 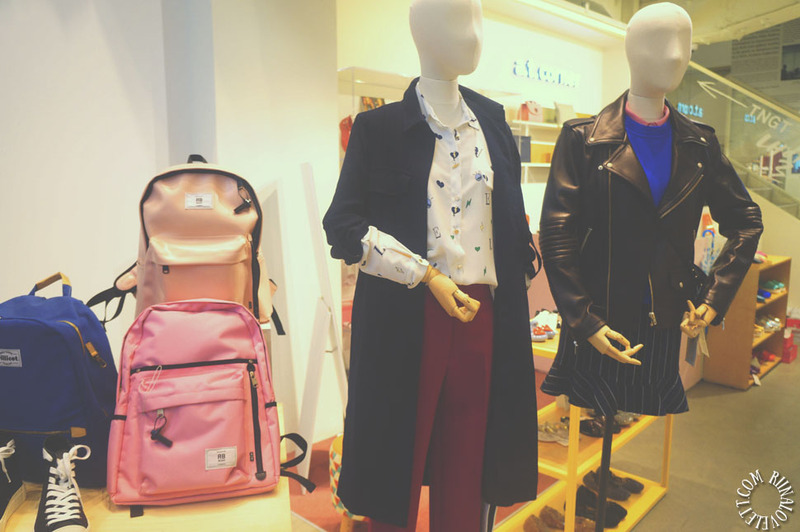 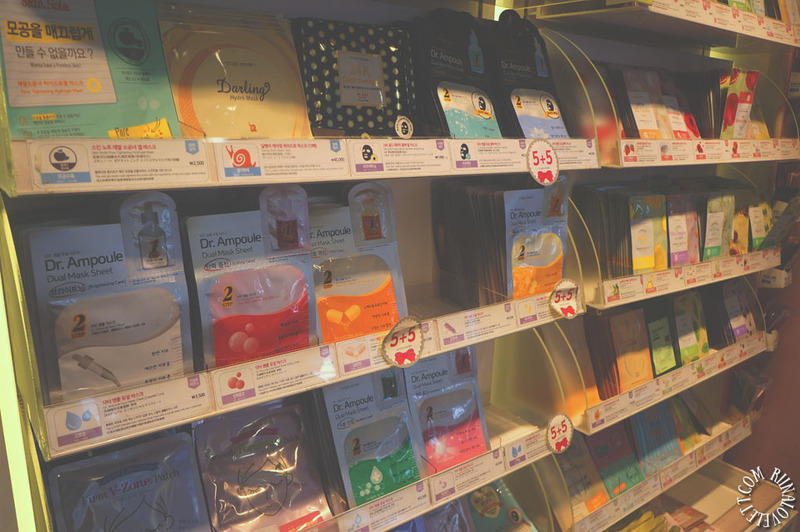 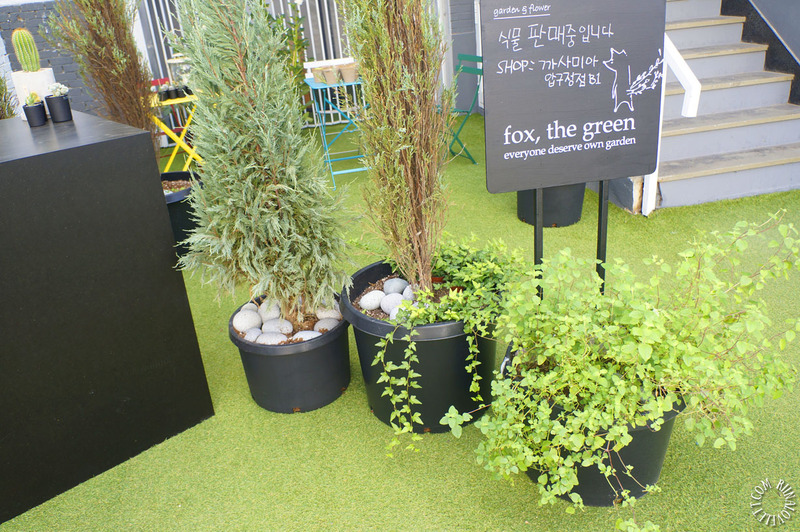 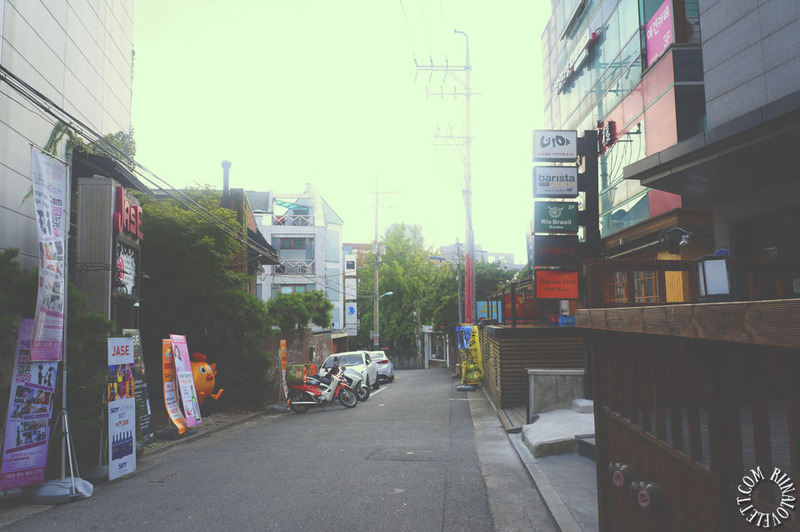 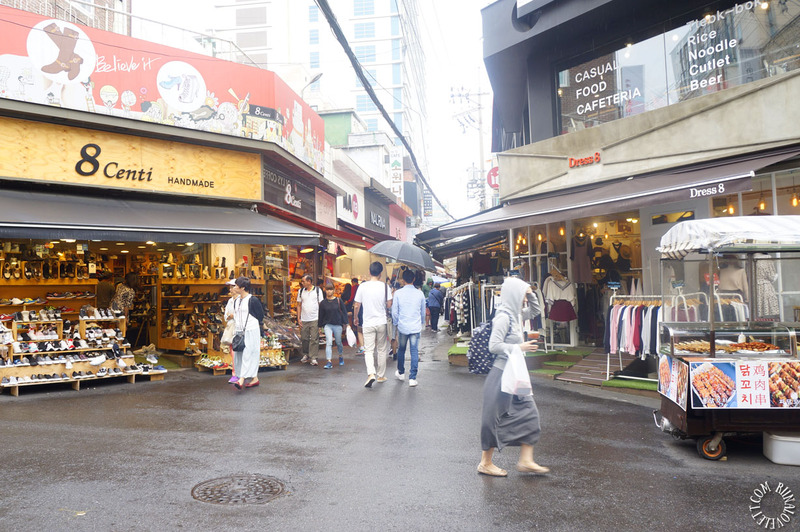 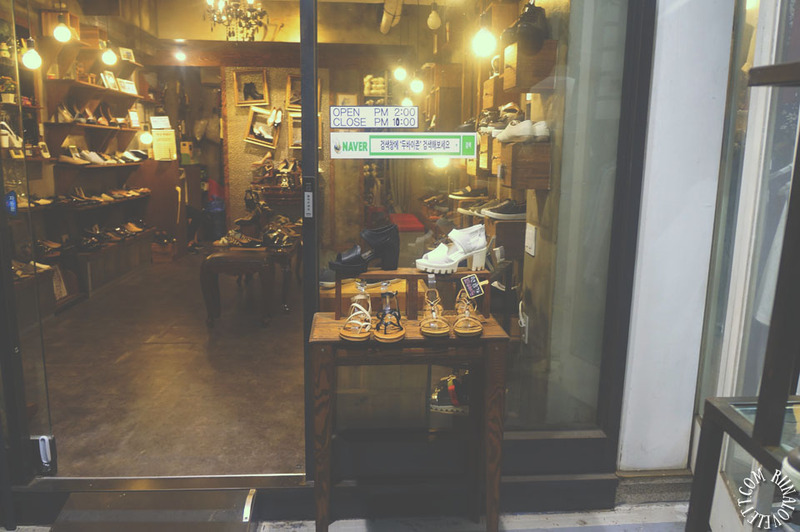 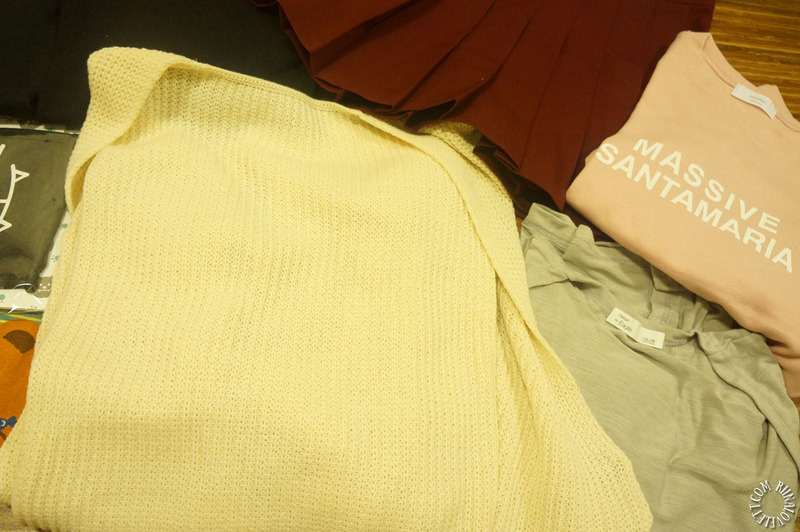 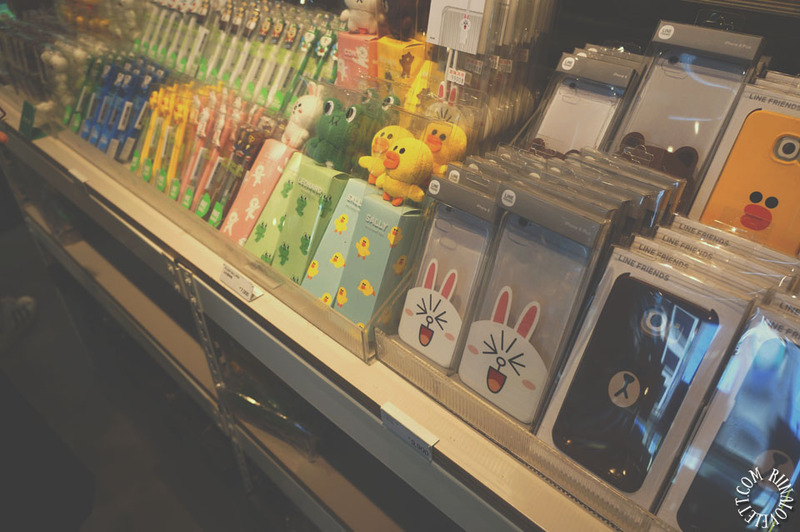 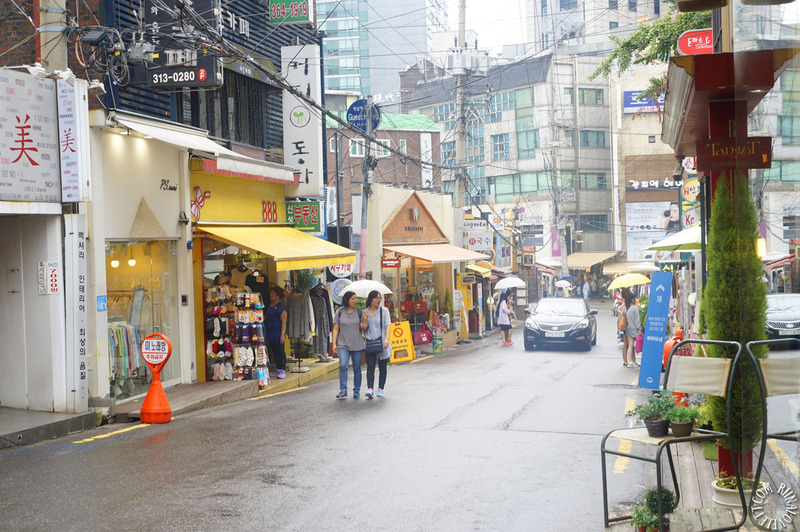 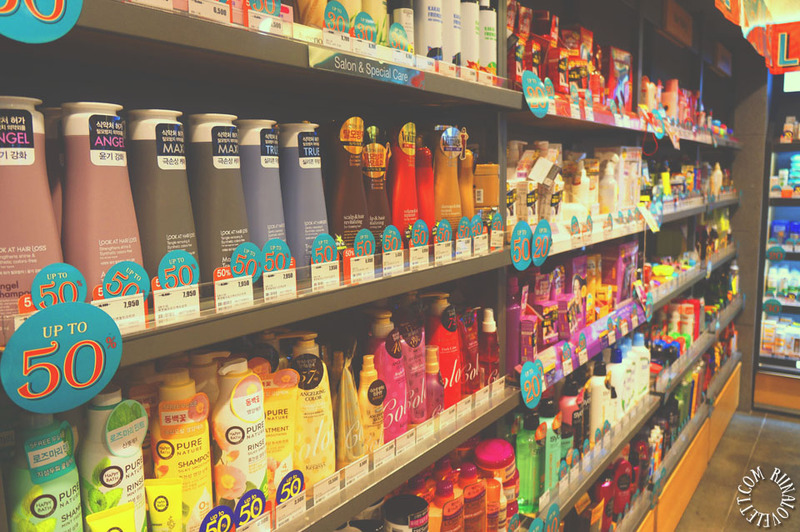 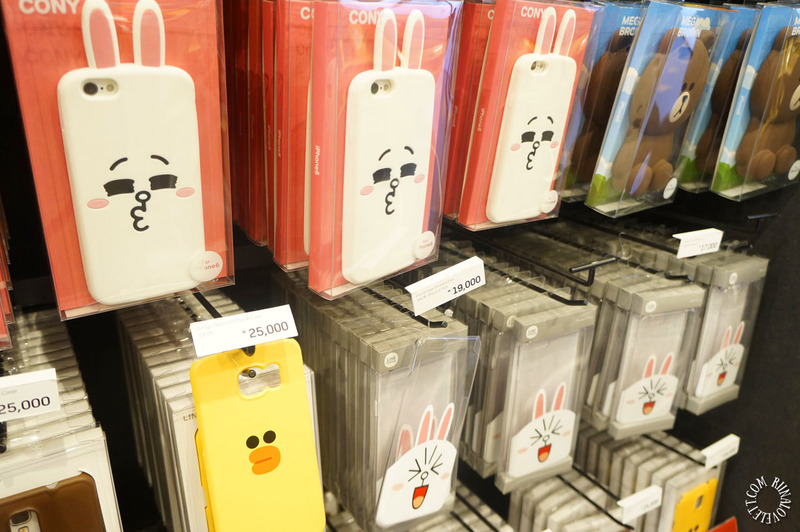 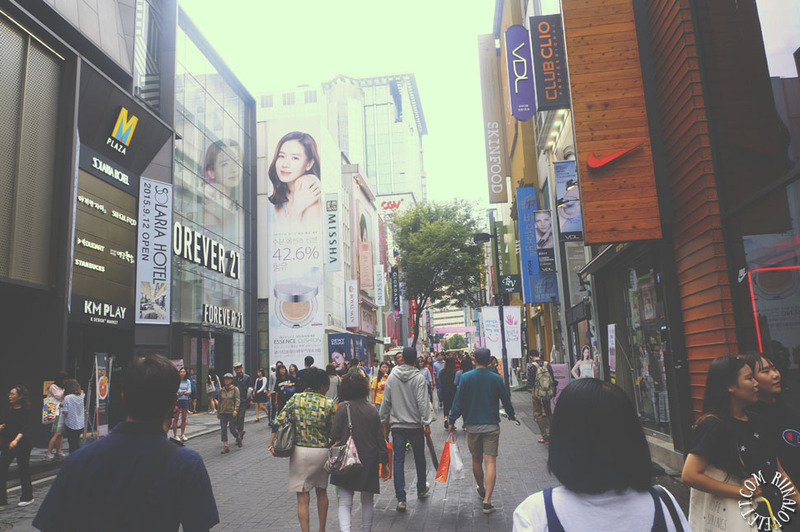 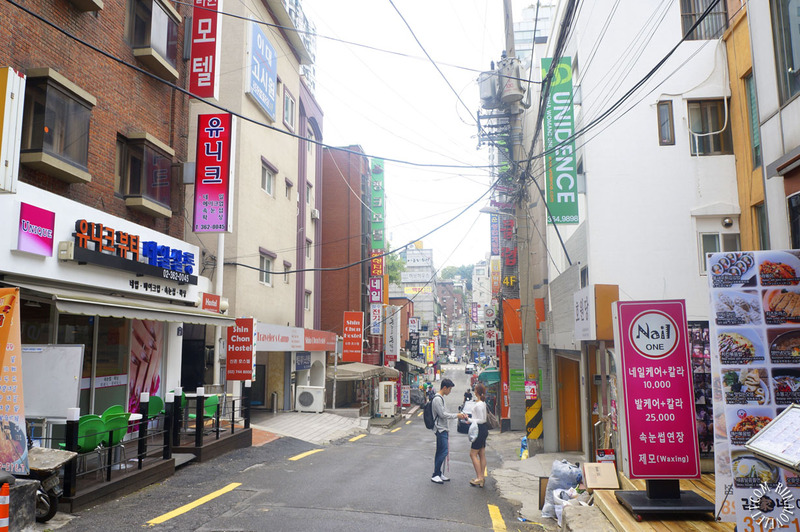 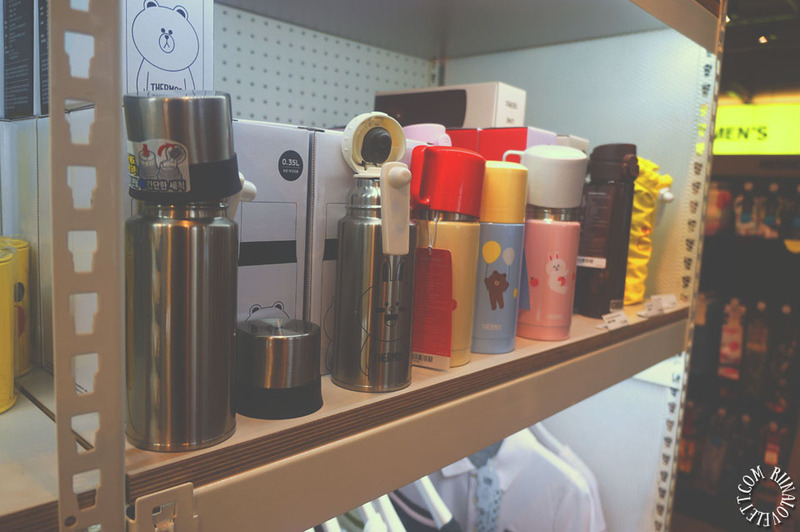 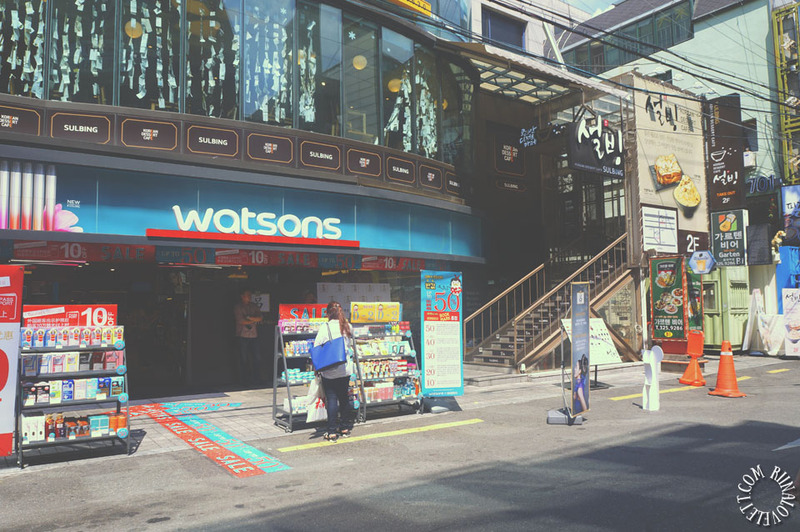 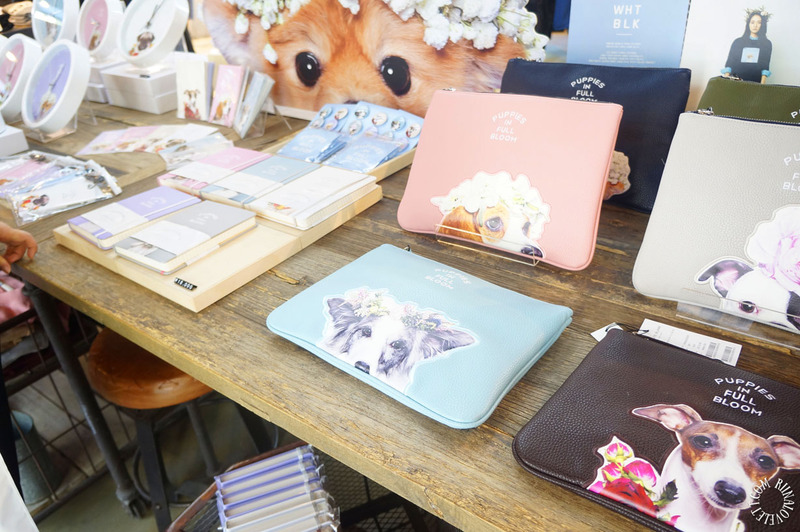 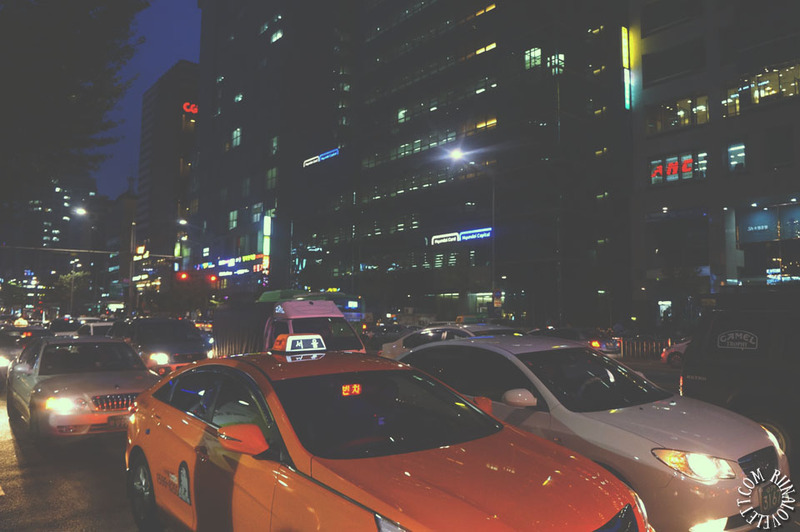 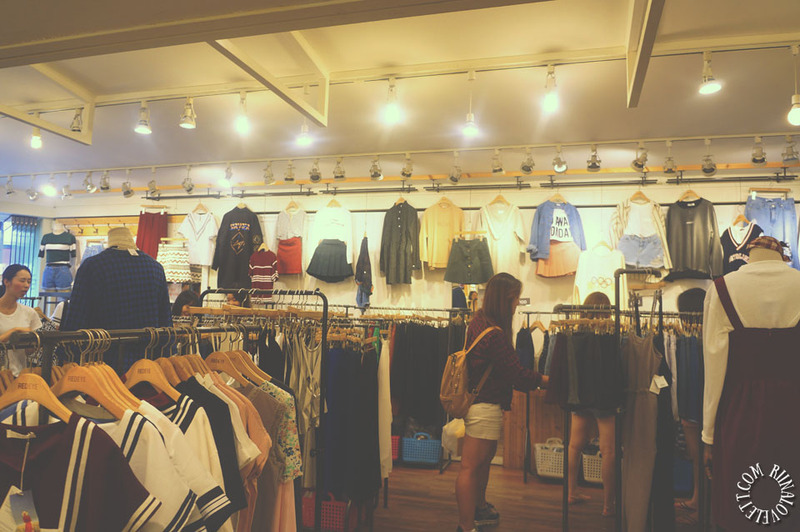 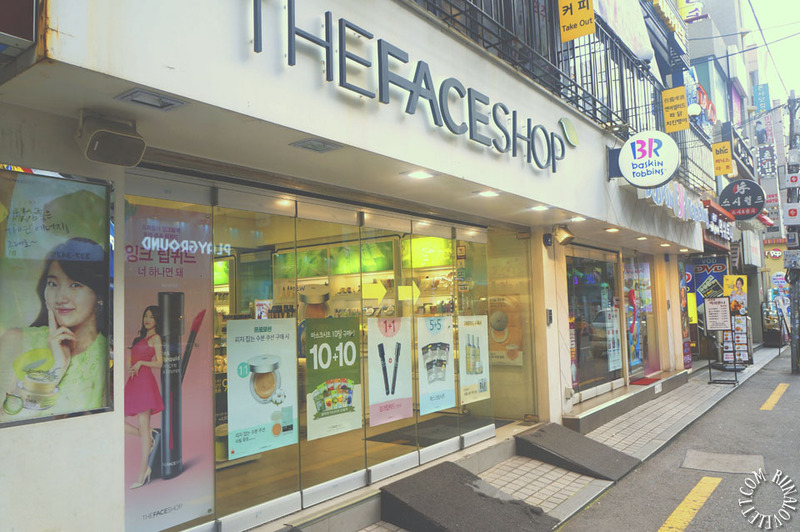 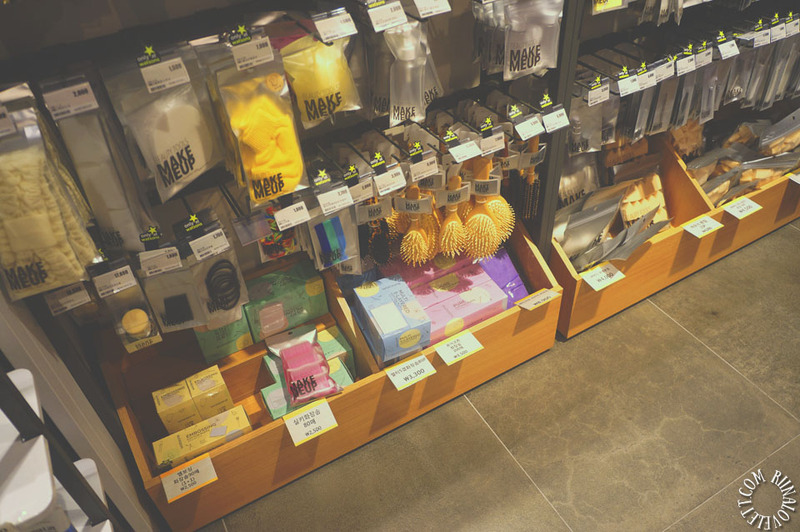 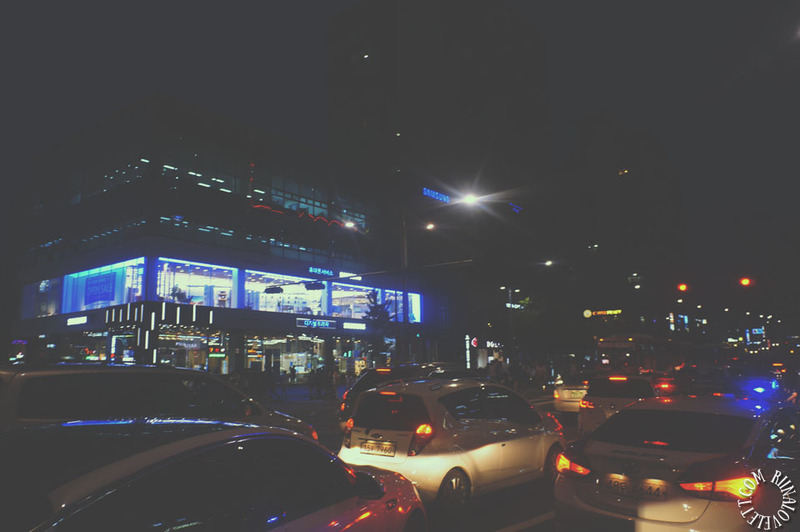 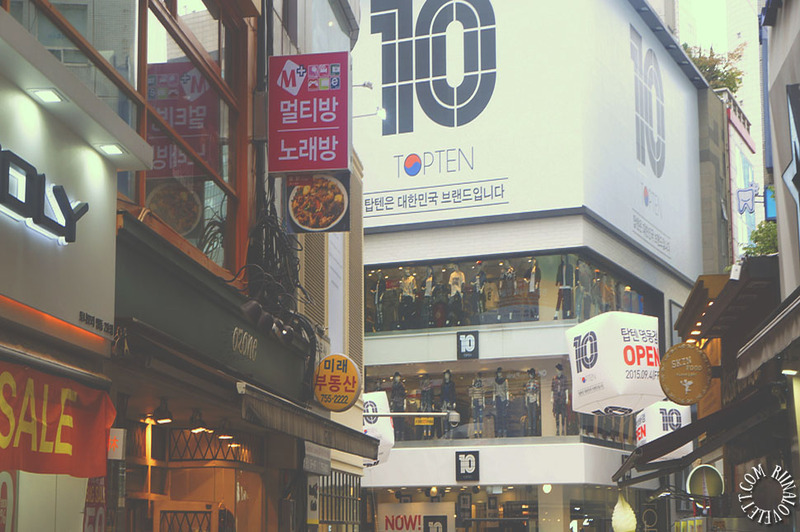 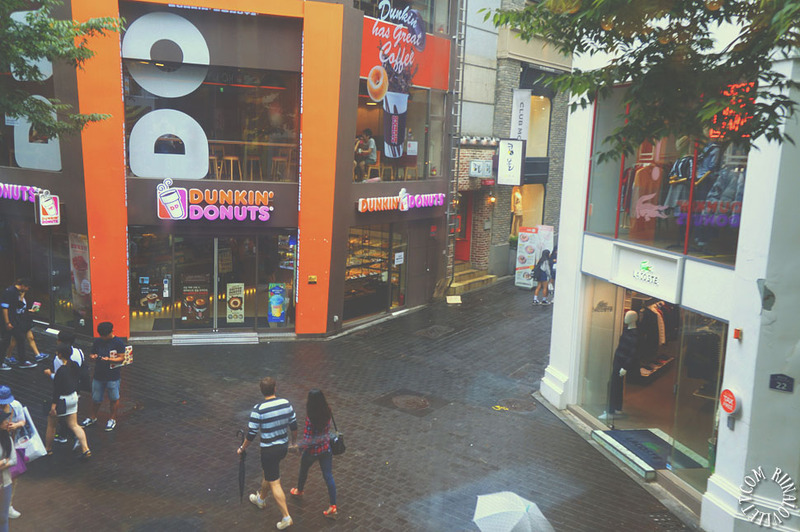 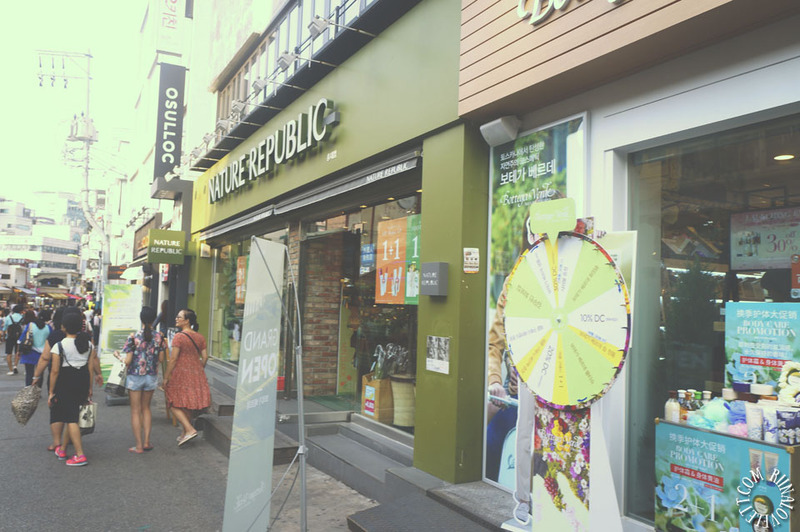 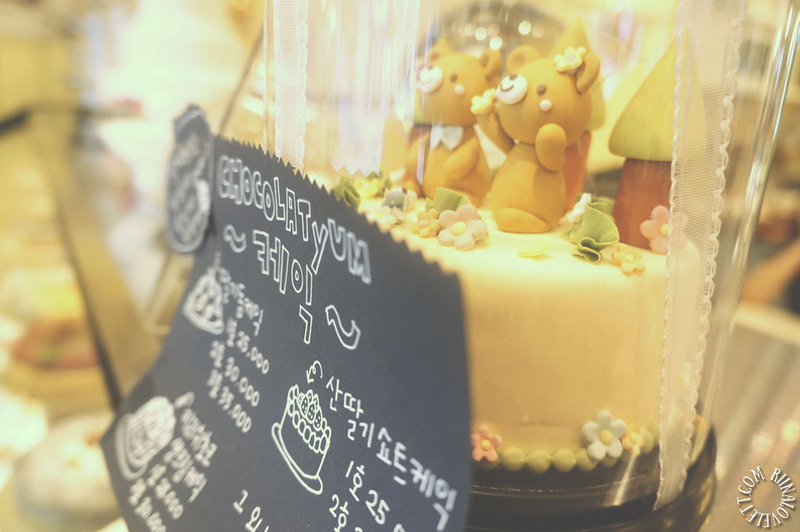 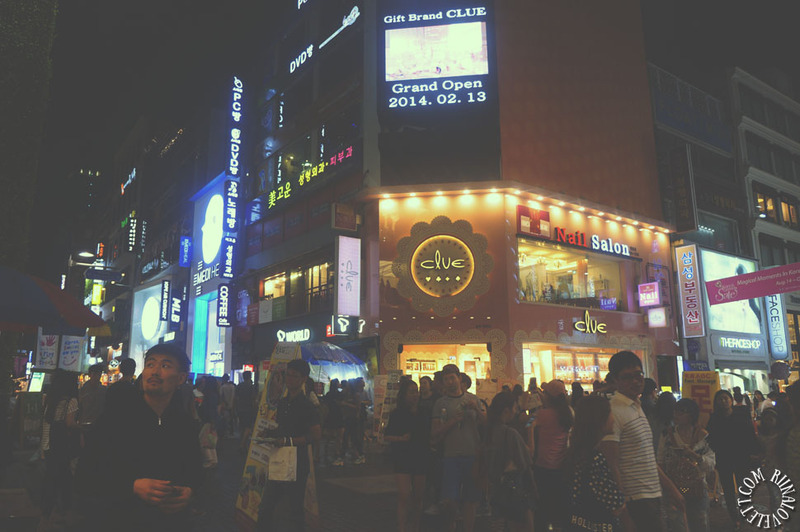 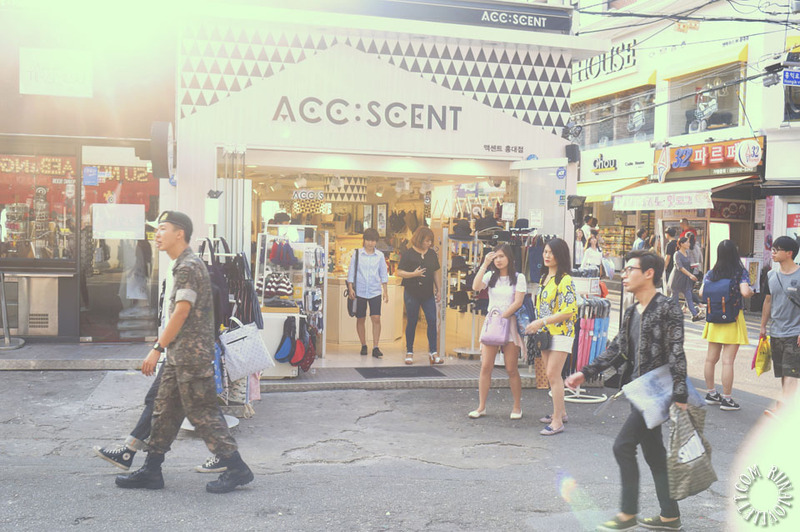 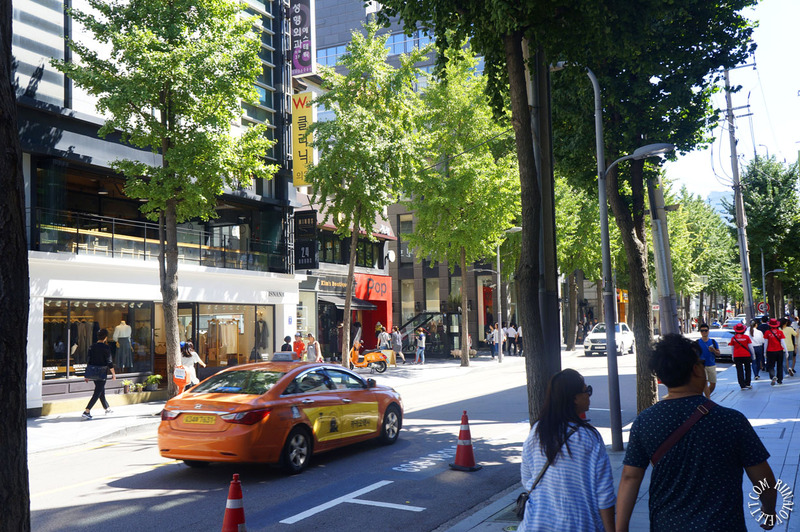 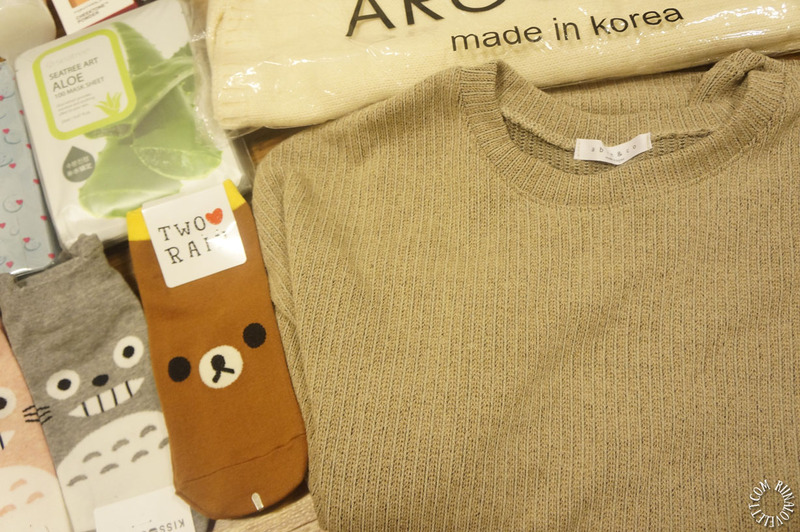 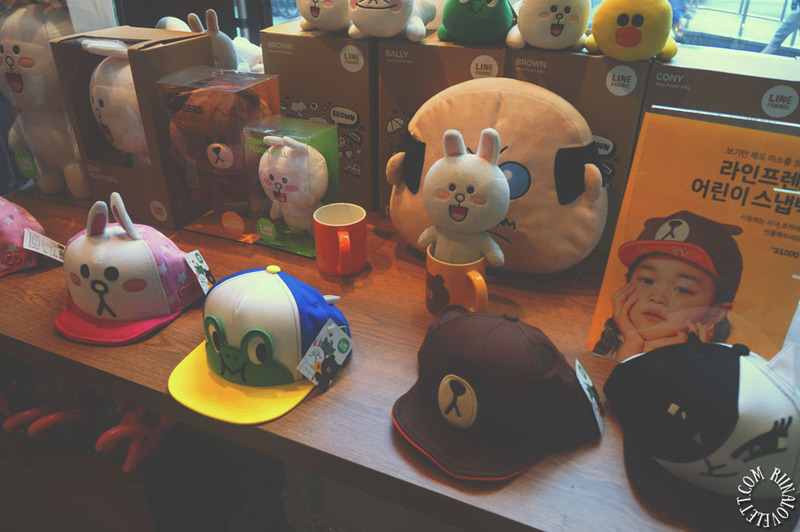 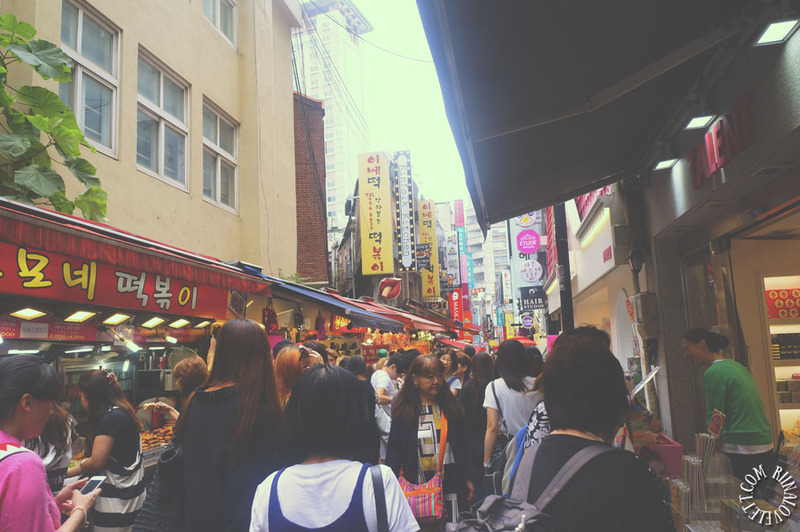 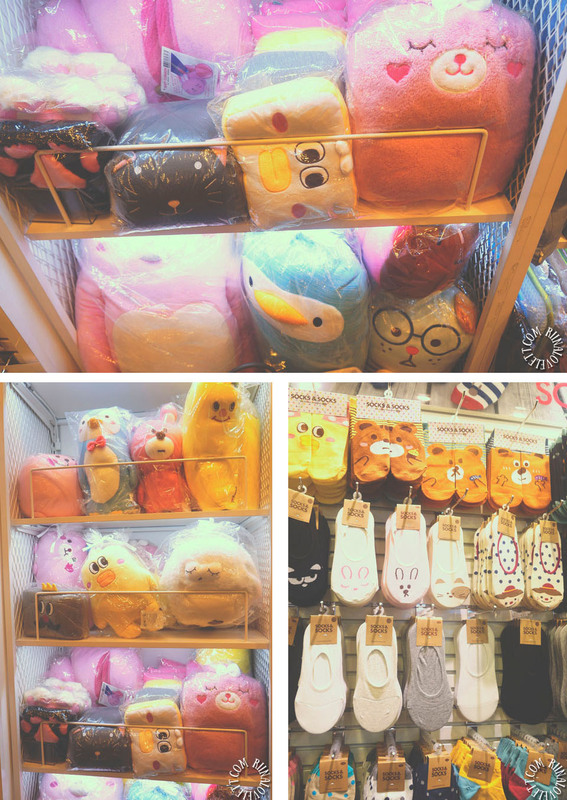 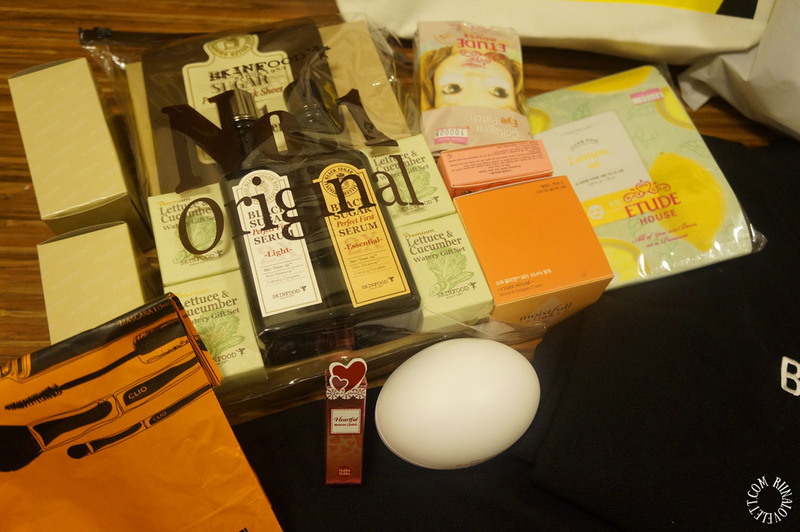 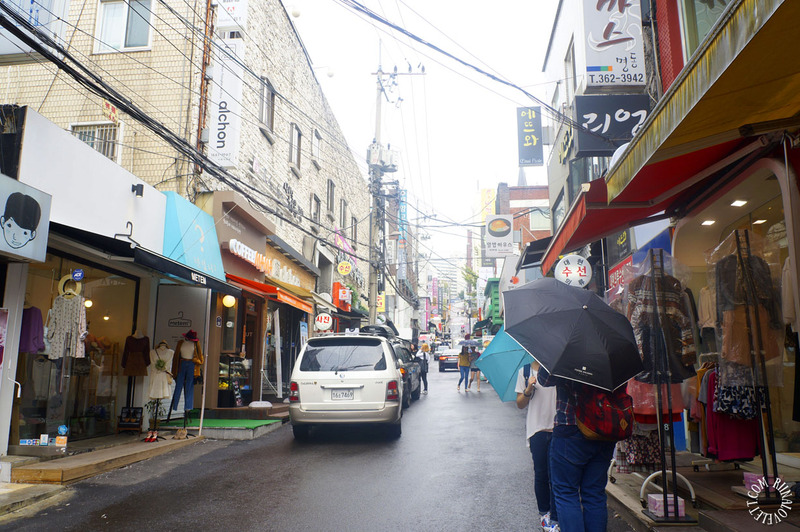 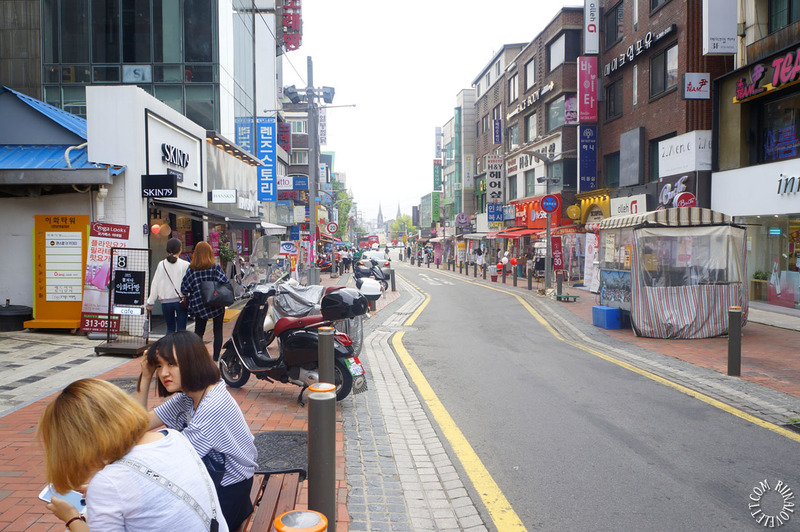 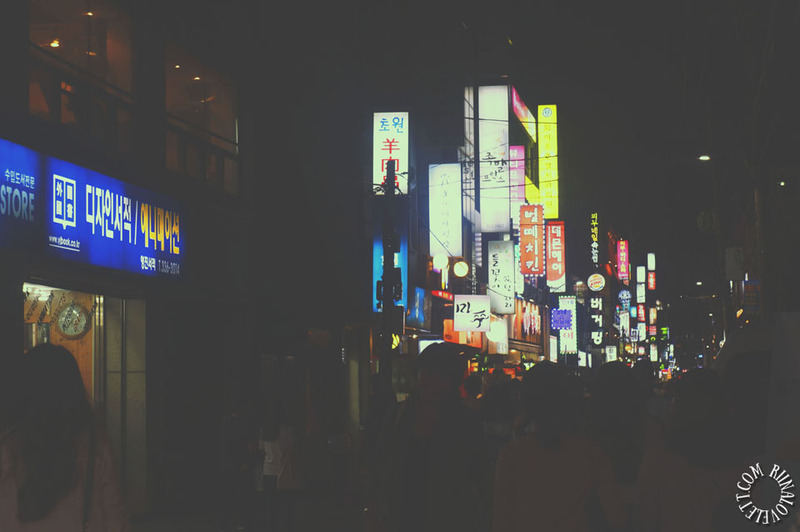 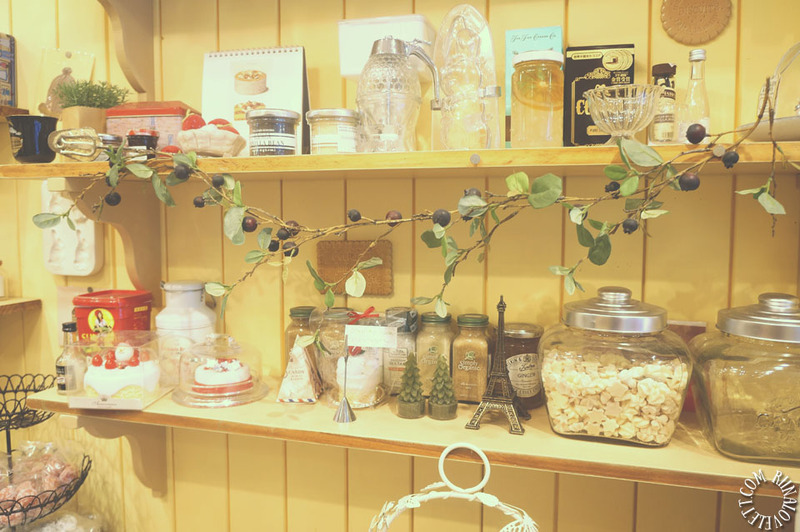 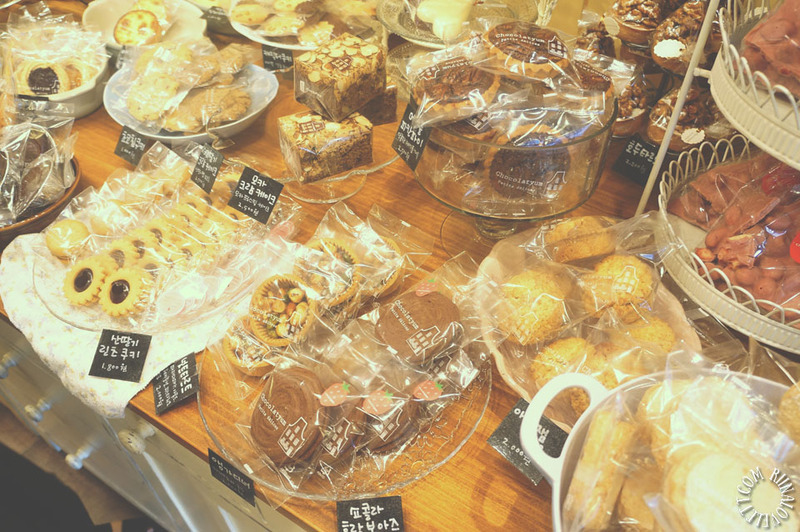 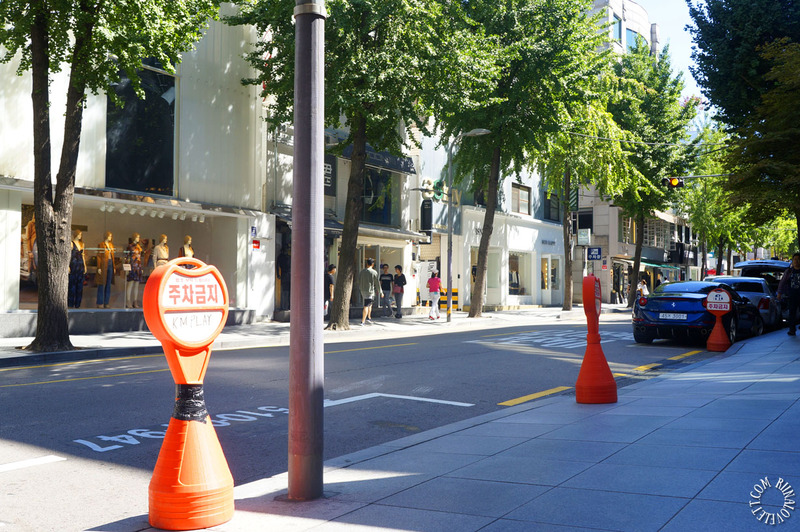 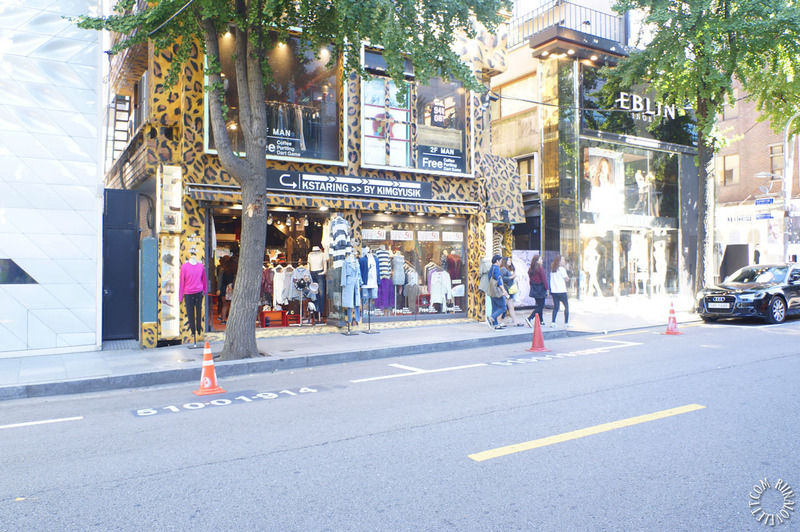 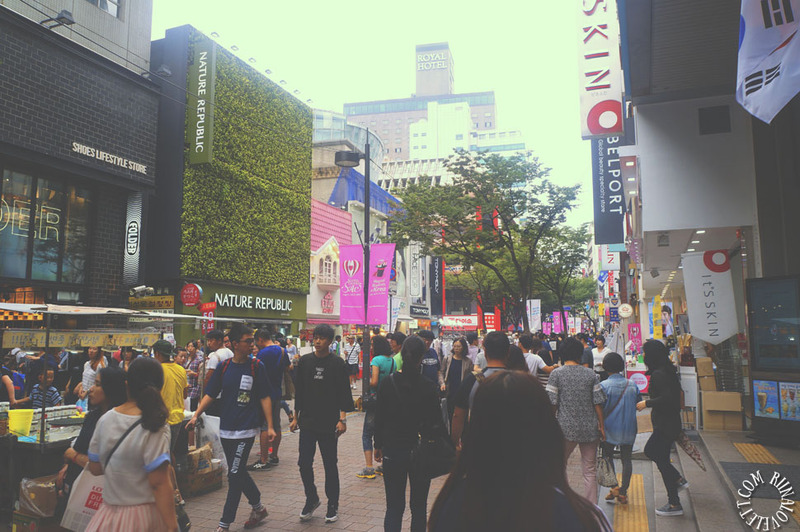 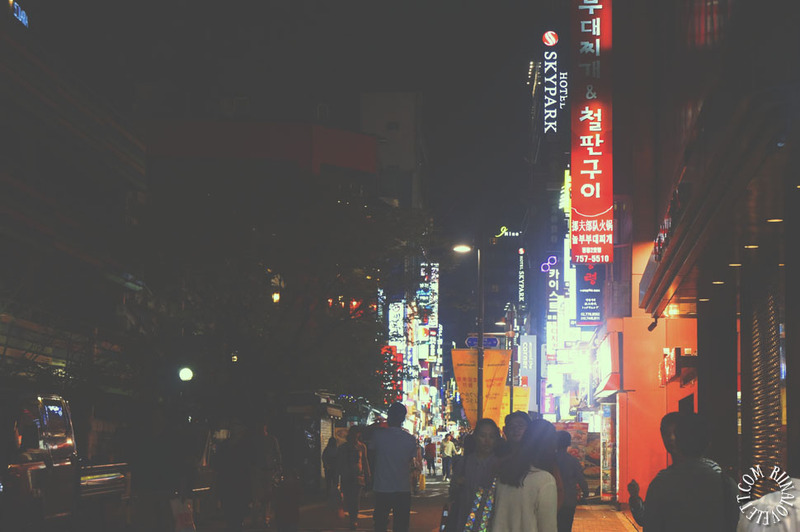 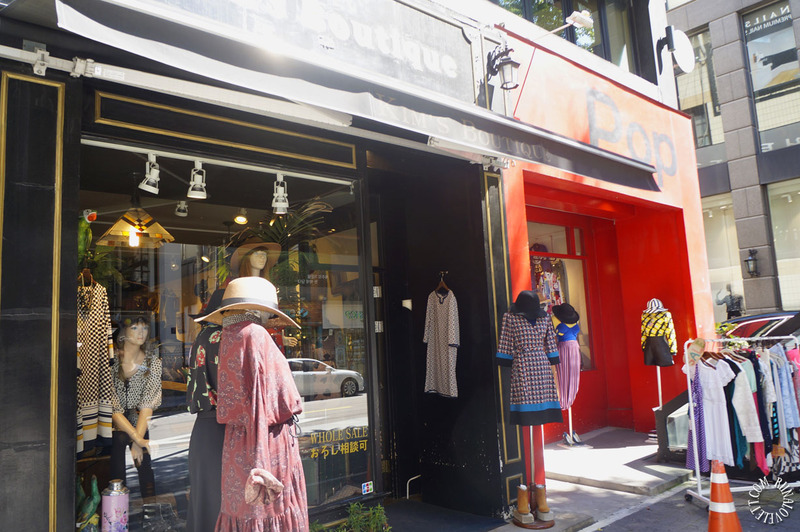 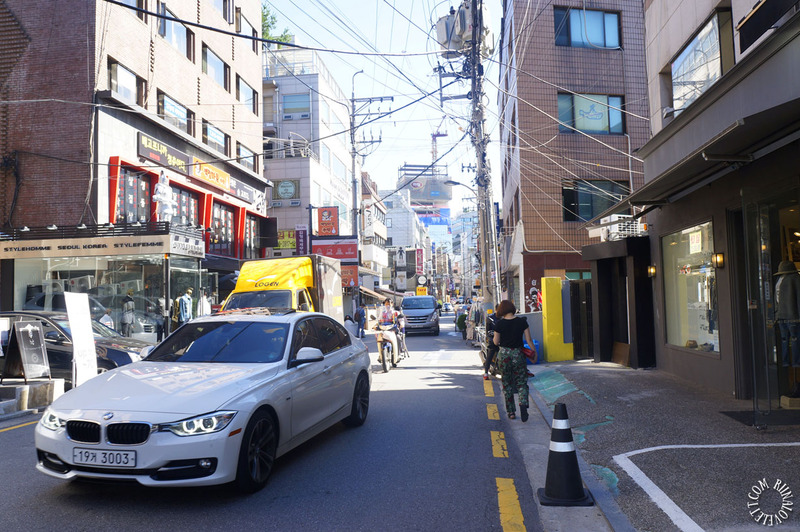 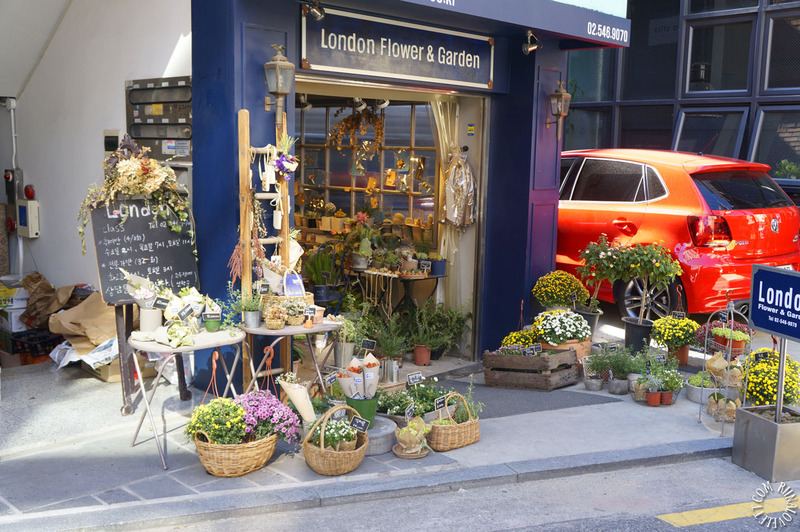 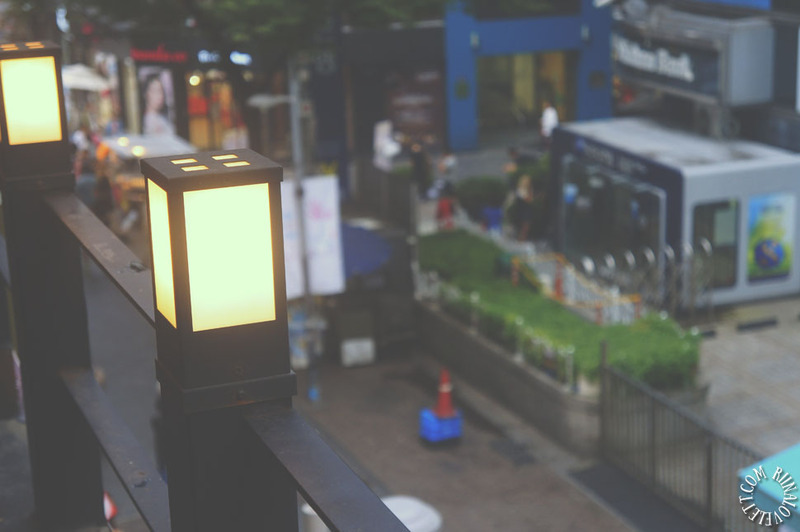 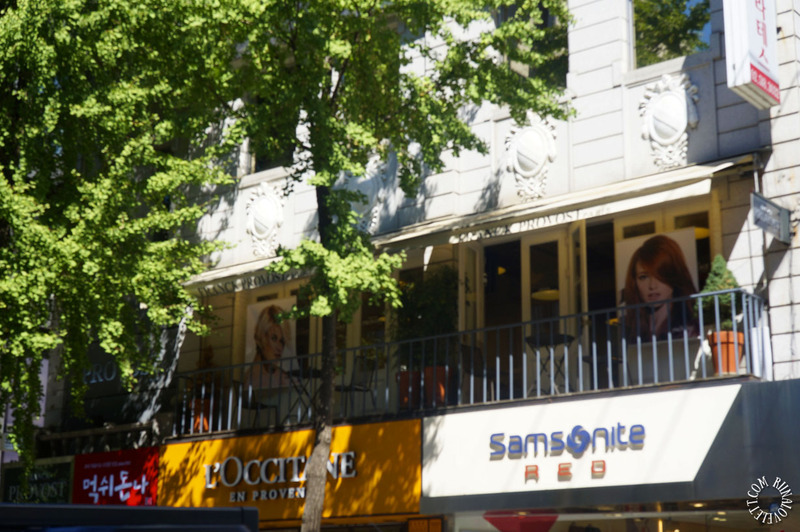 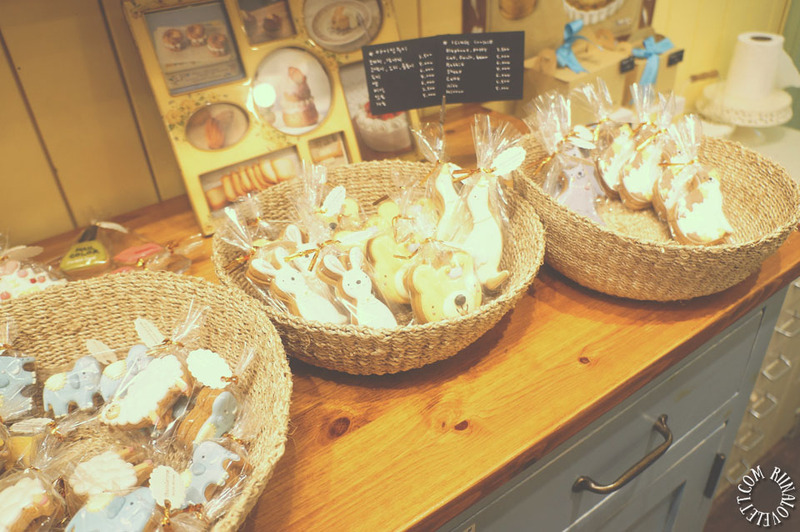 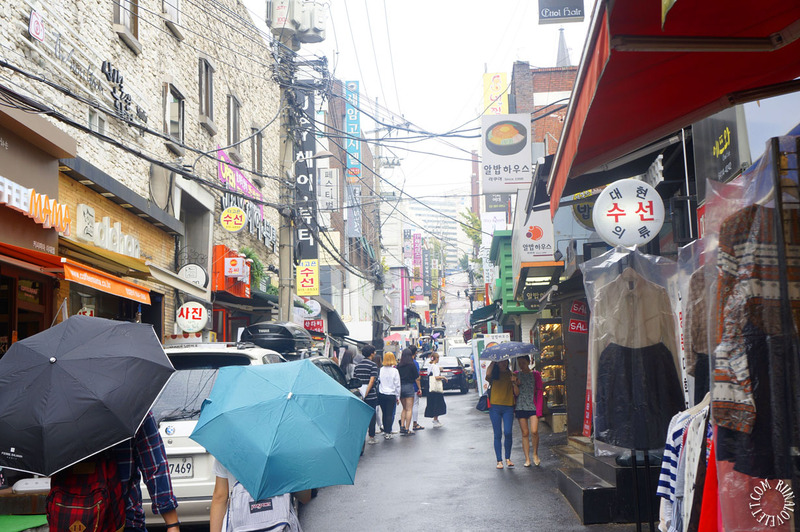 Shopping in Garosugil is quite expensive compared to its counterparts, Hongdae and Myeongdong. 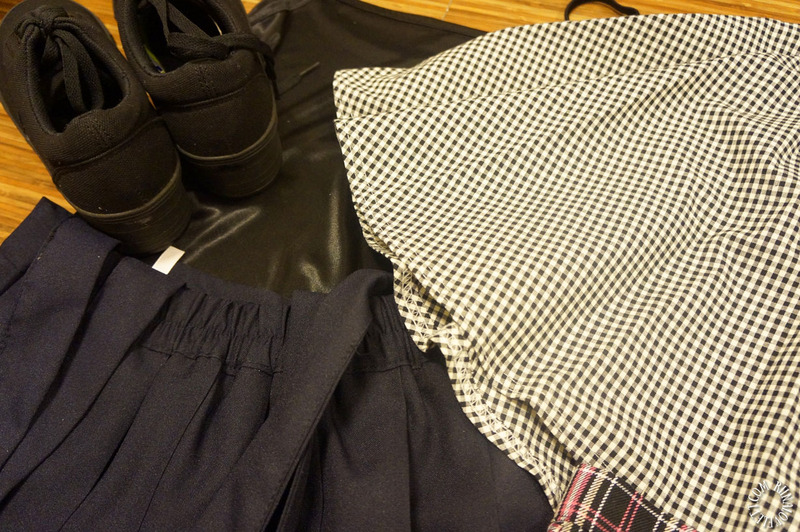 But the quality is made out of better quality and feels more durable. 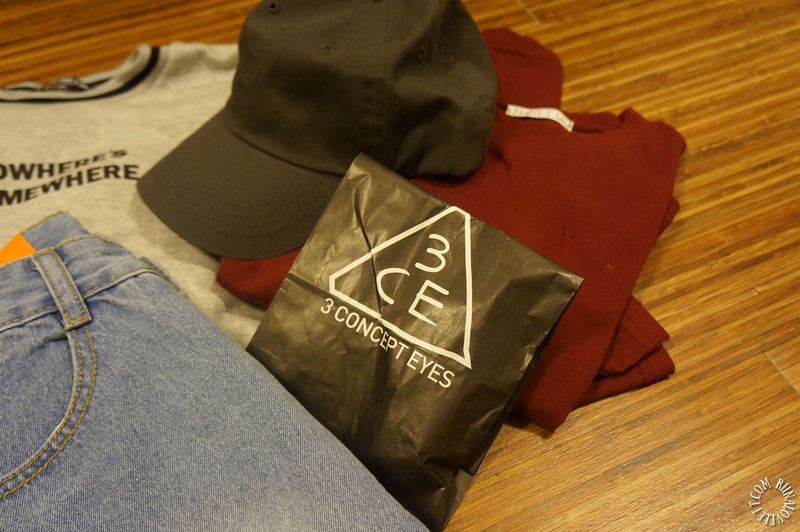 You can also find the 3 concept eyes store. 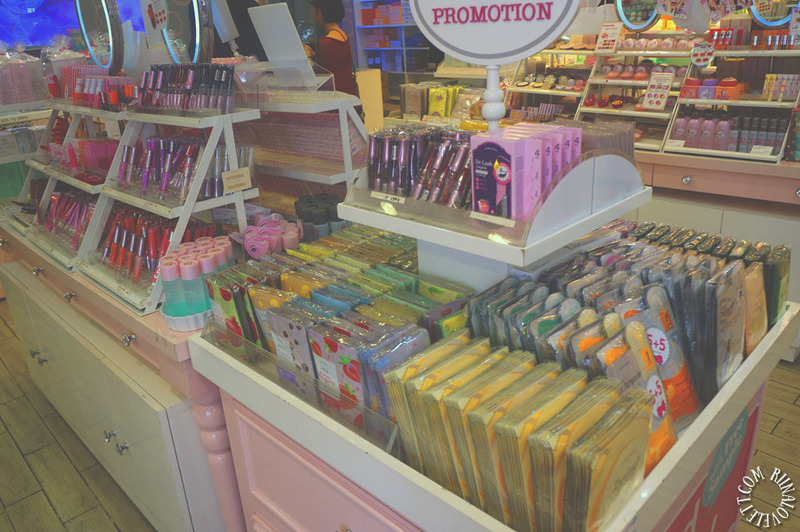 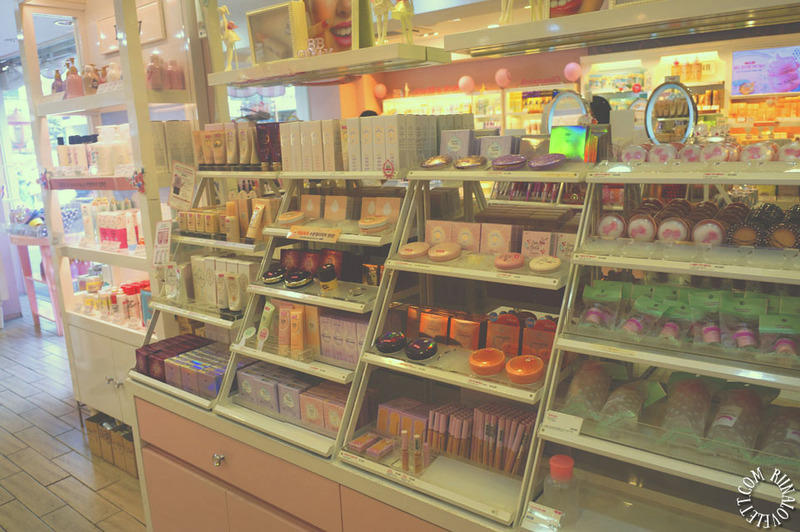 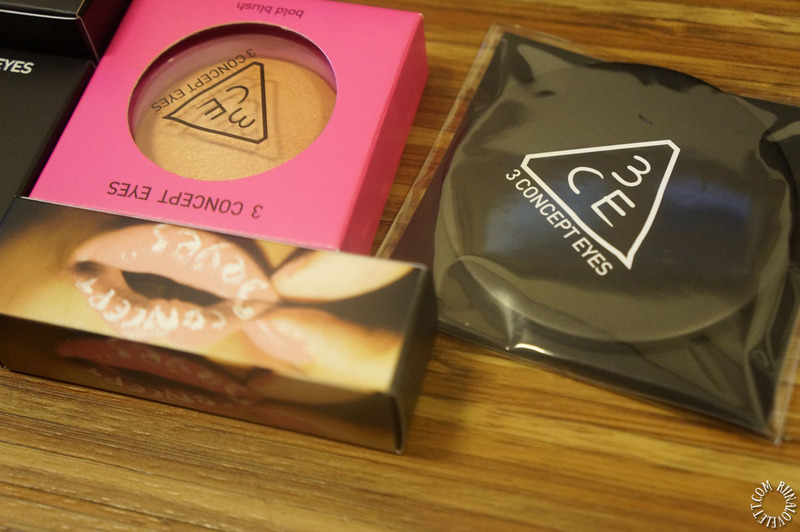 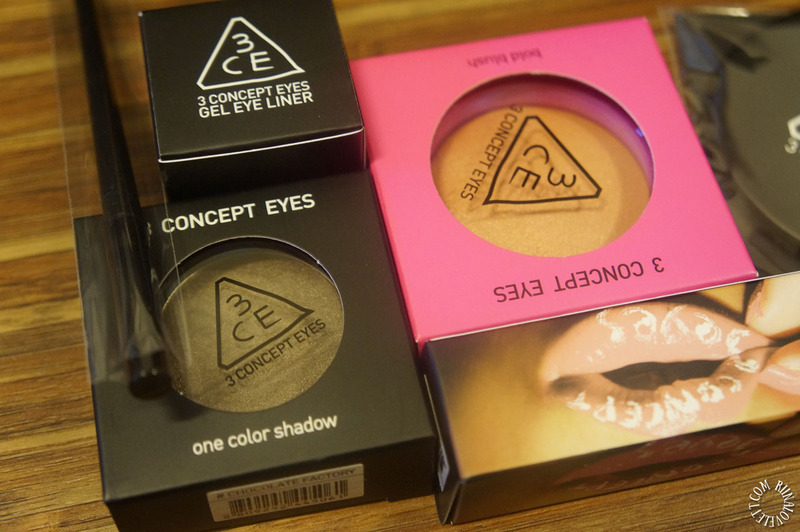 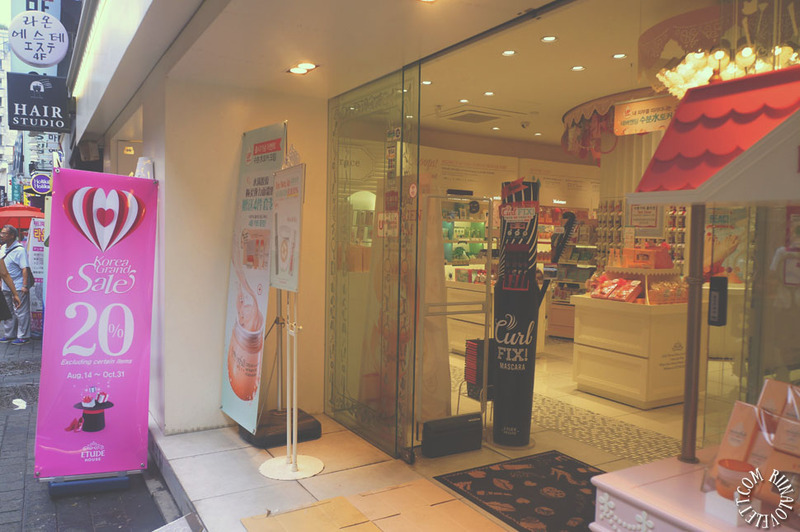 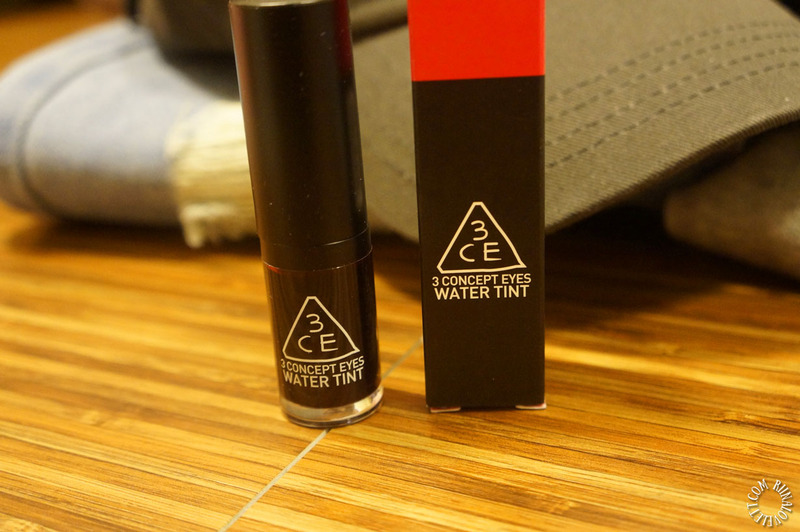 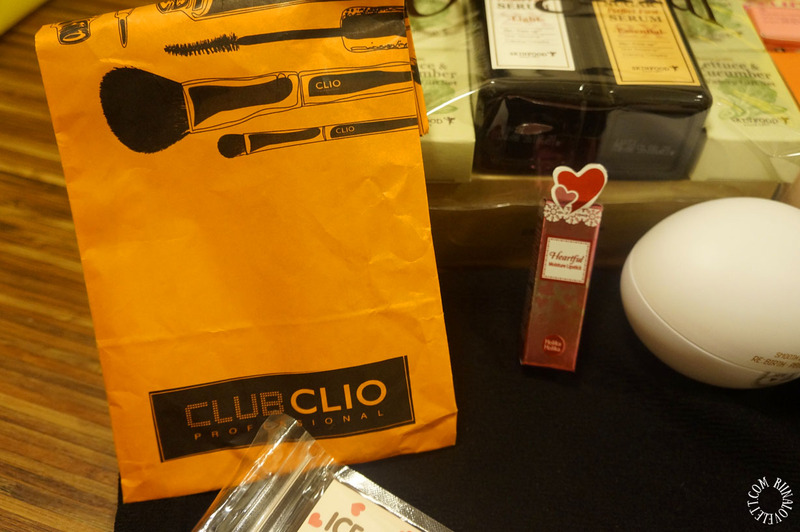 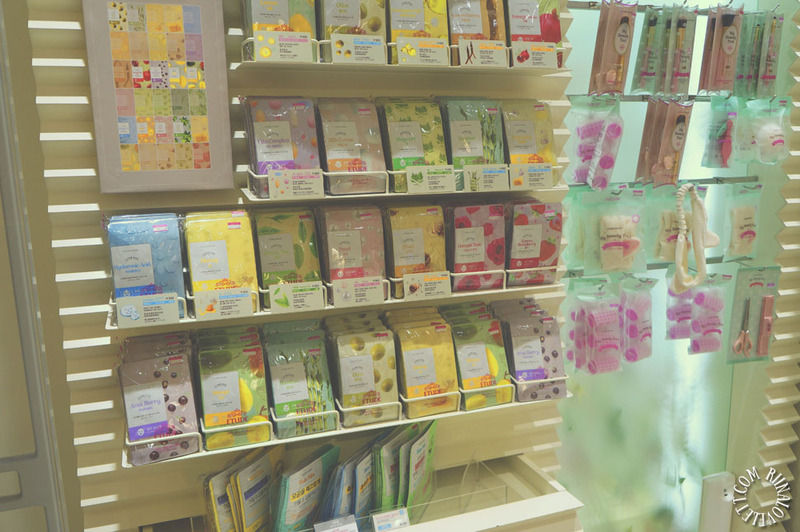 I recommend you shopping for 3ce makeup here because it’s more peaceful compared to the other stores. 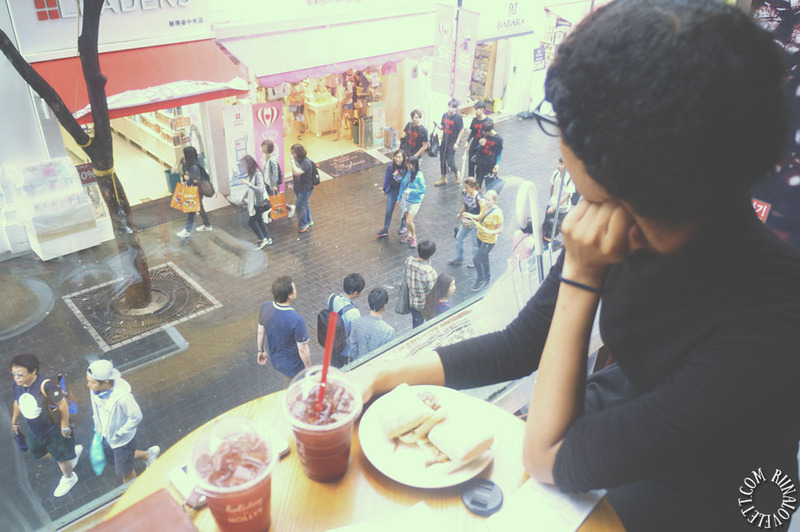 You can just look around at ease. 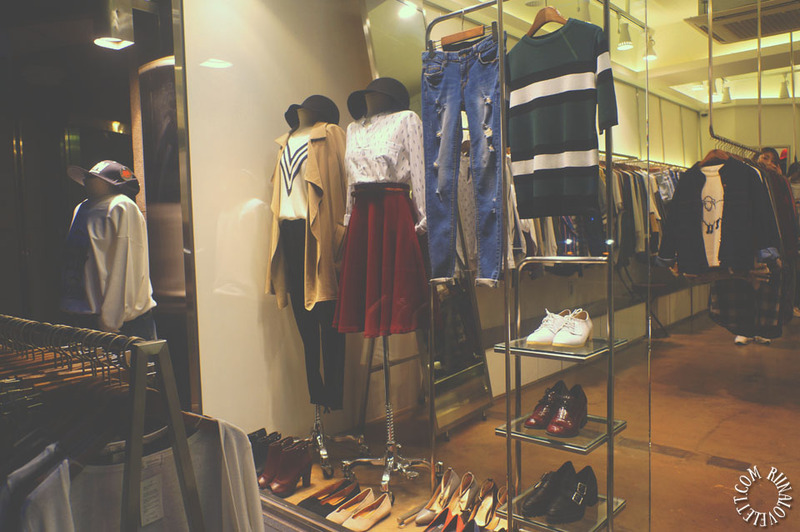 The place is filled with well-dressed stylish people. 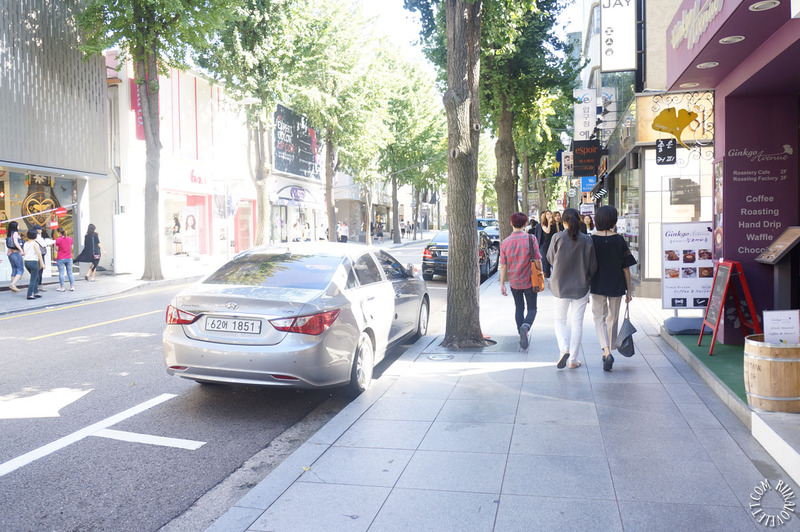 I was told that photographers often take street snaps of these trendy adolescents and scout them for modelling. 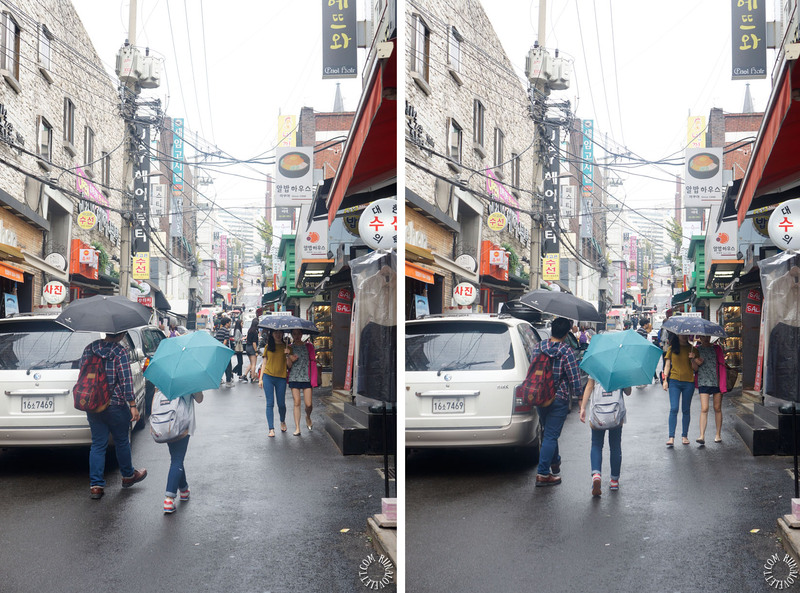 I didn’t see many photographers but one funny incident happened. 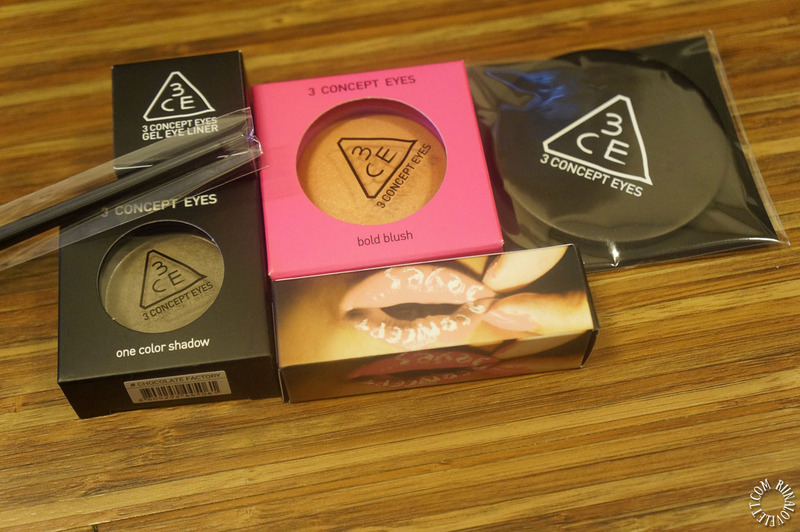 When I left the 3 concept eyes makeup store I saw a photographer snapping away. 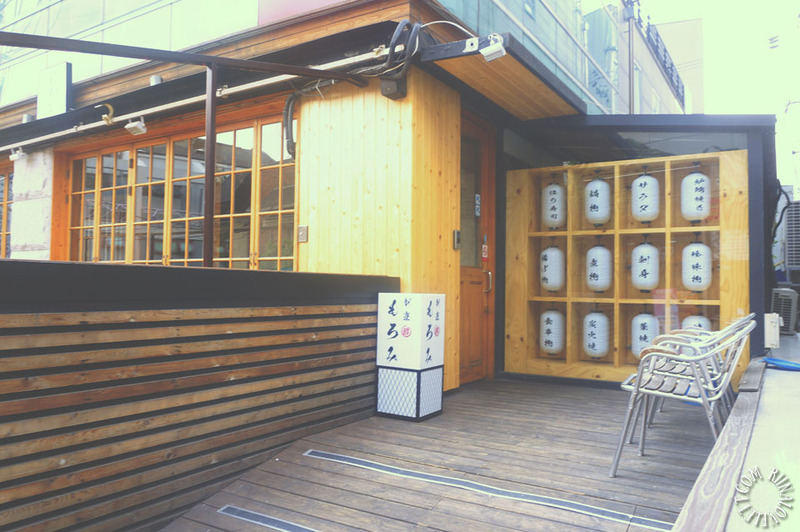 But in front of her was this really old ahjusshi smoking. 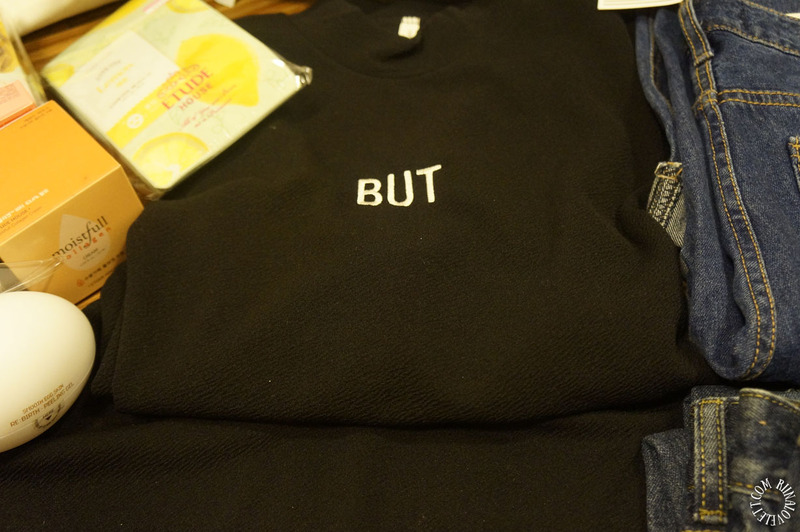 I was really confused. 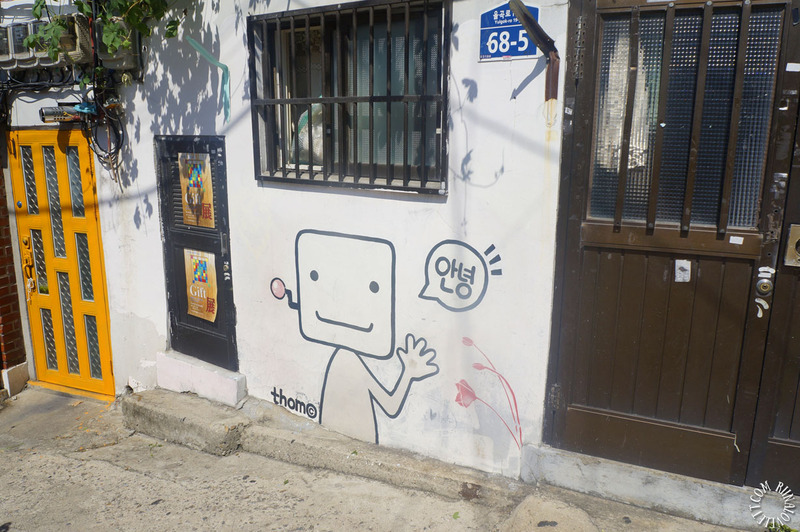 But when I looked to the corner I saw this really stylish guy posing. 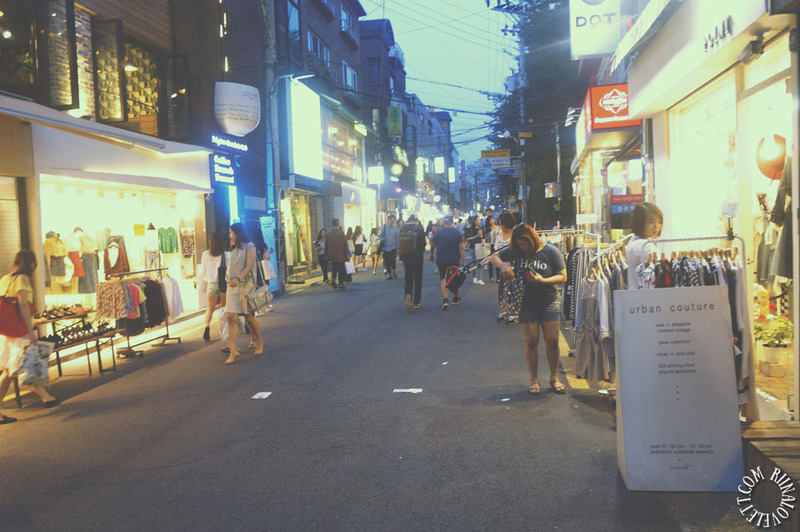 Long story short, she wasn’t taking photos of the old man at all. 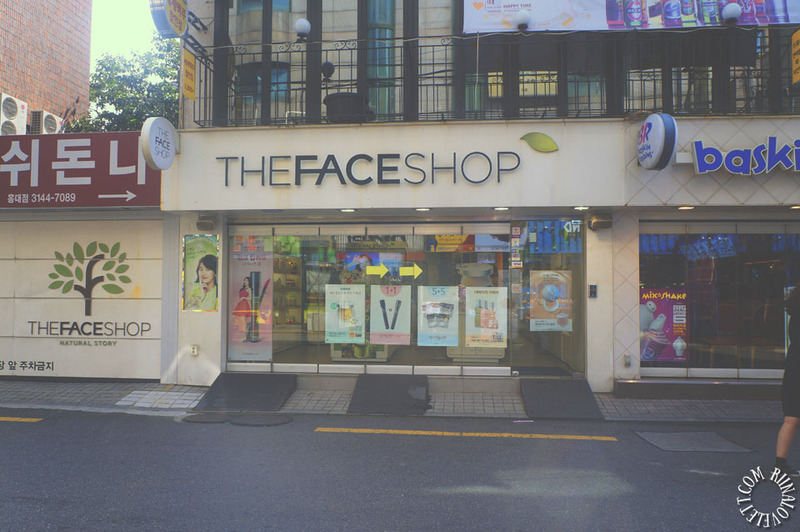 I just laughed. 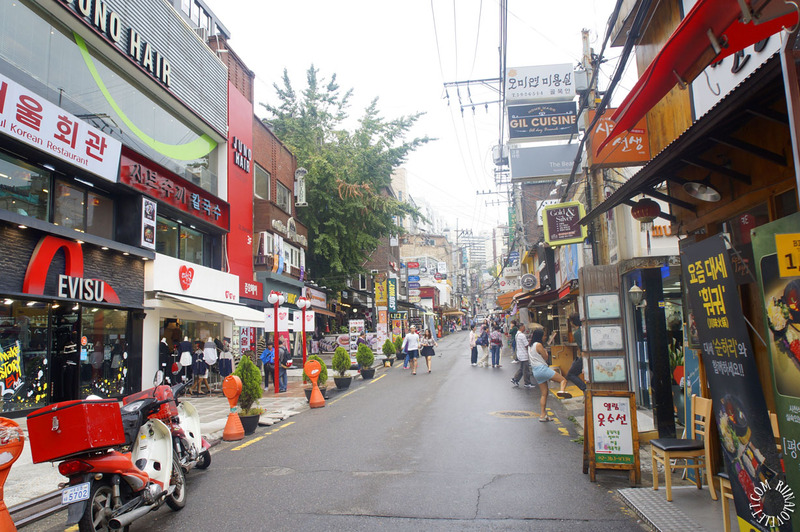 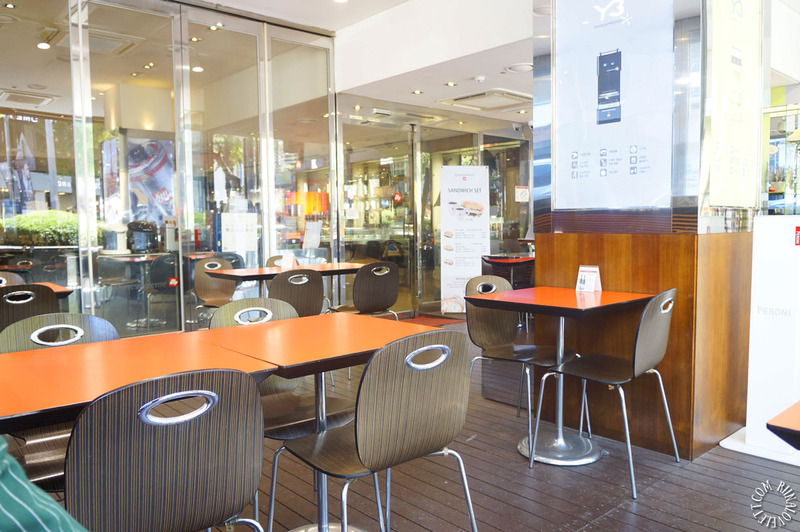 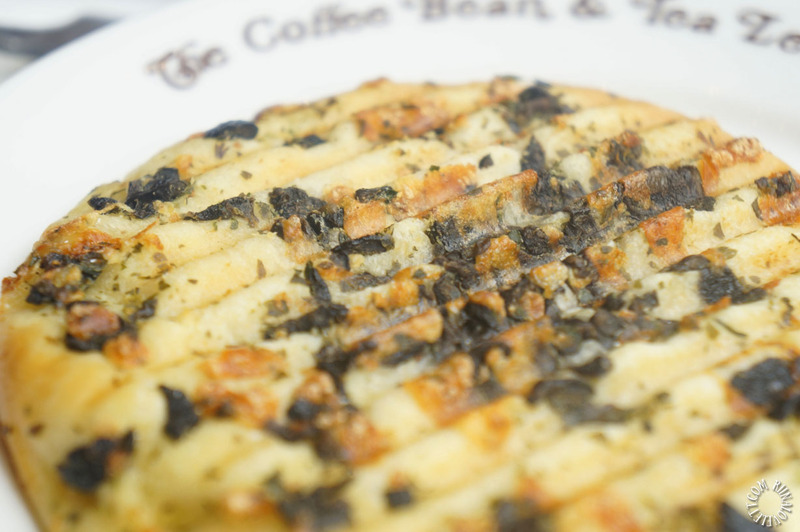 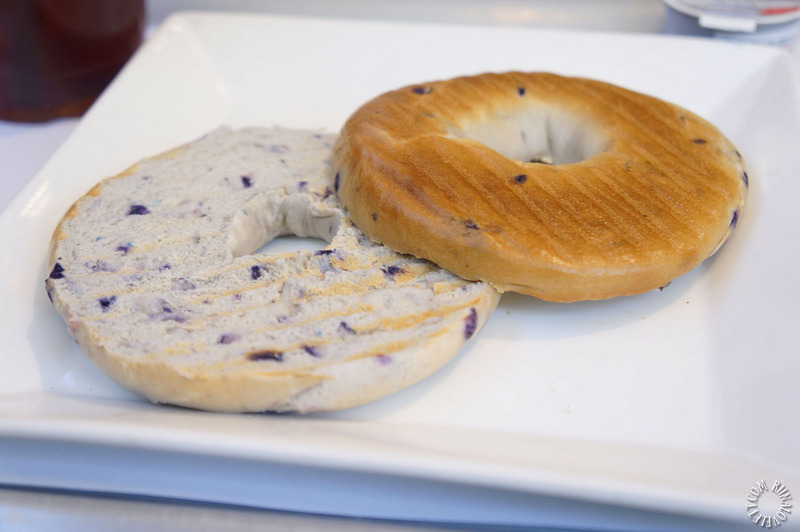 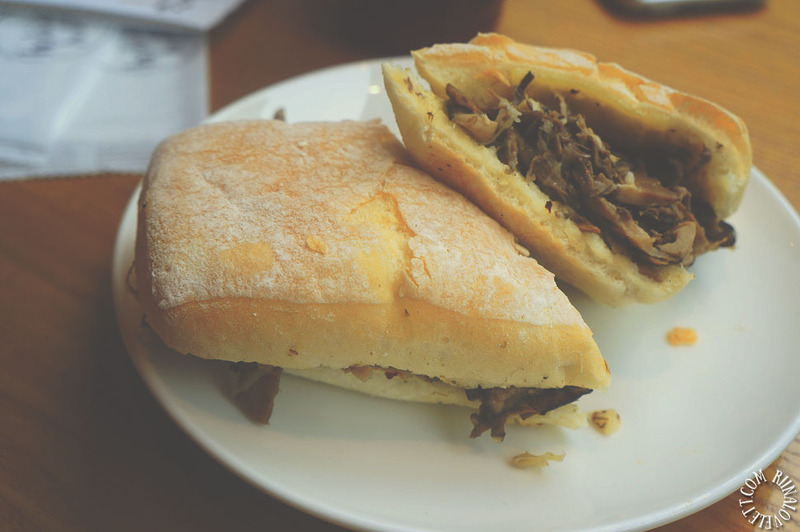 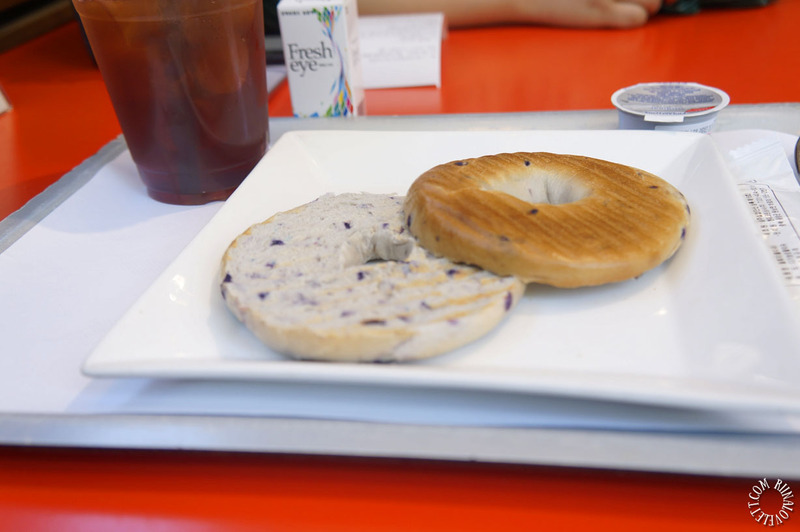 The area also has many trendy cafés and restaurants. 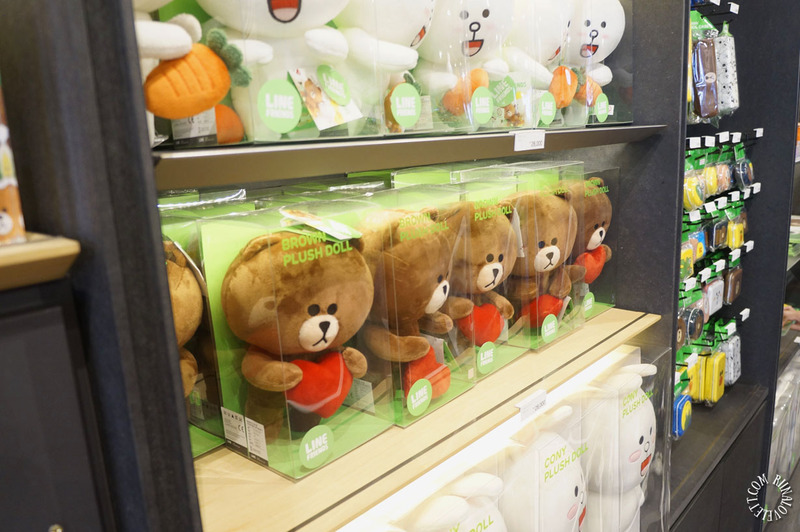 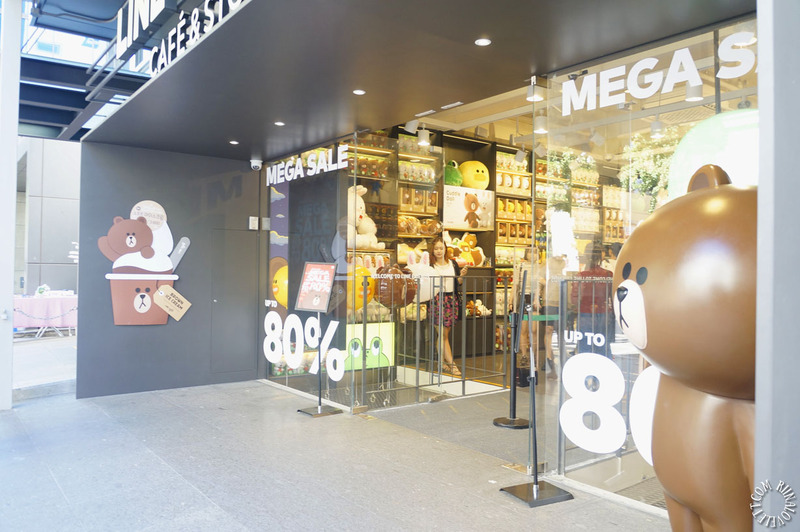 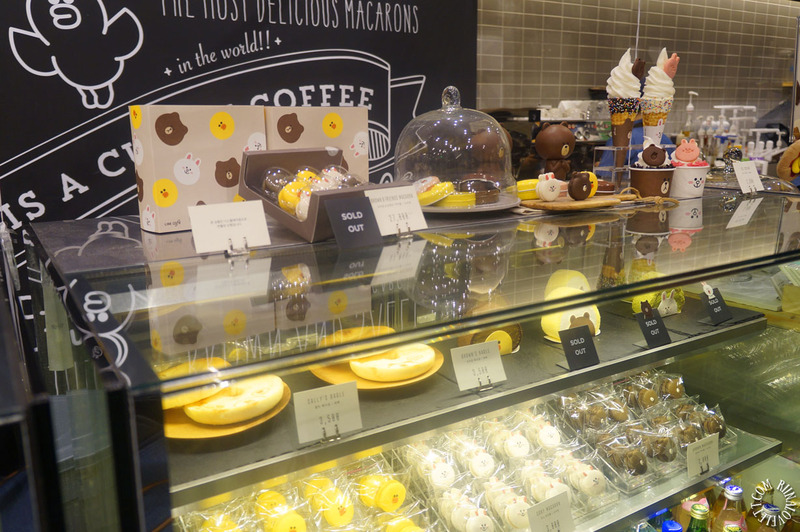 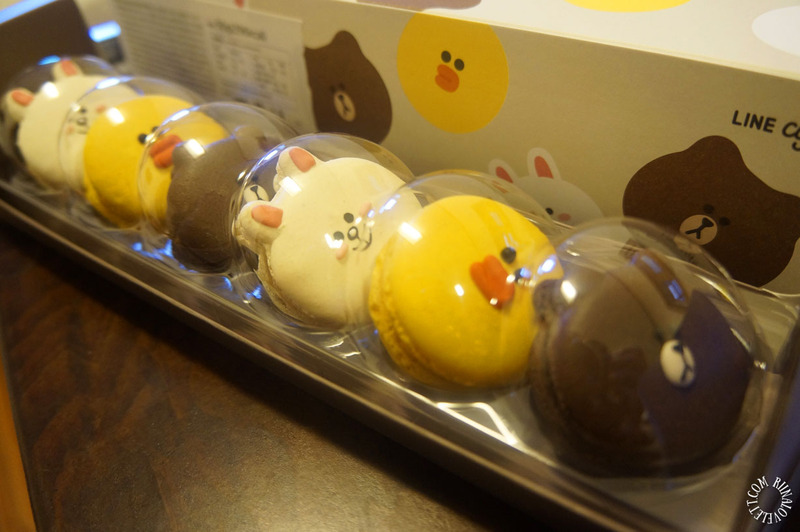 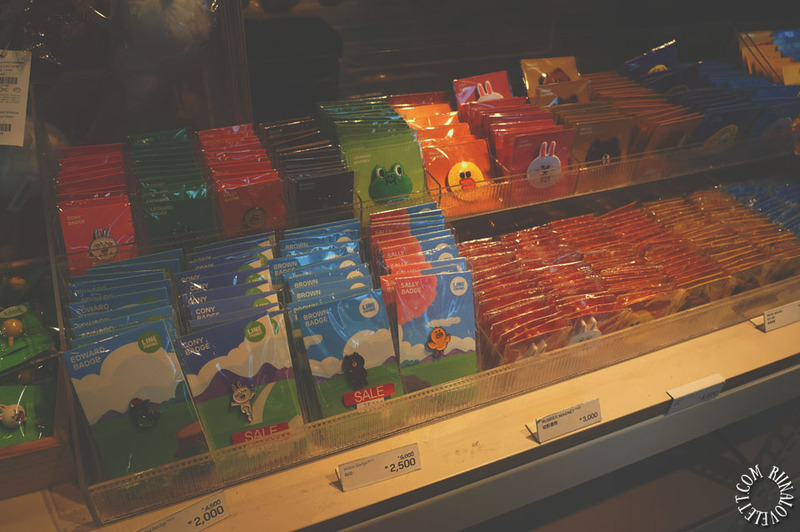 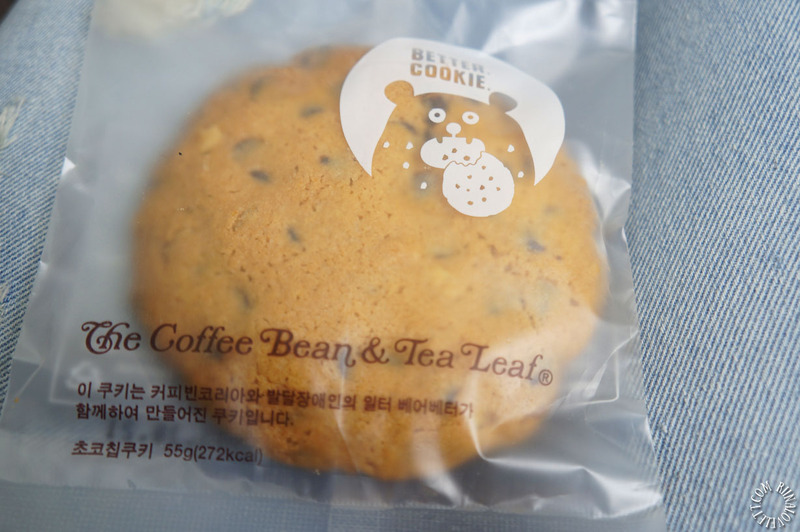 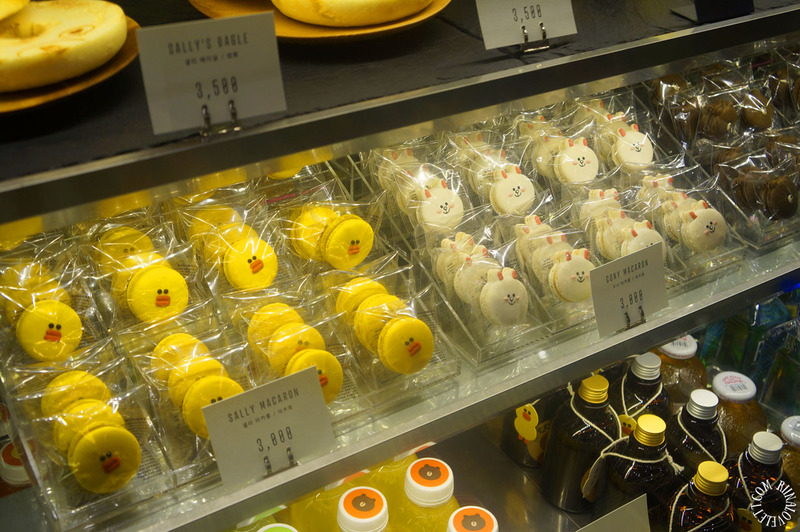 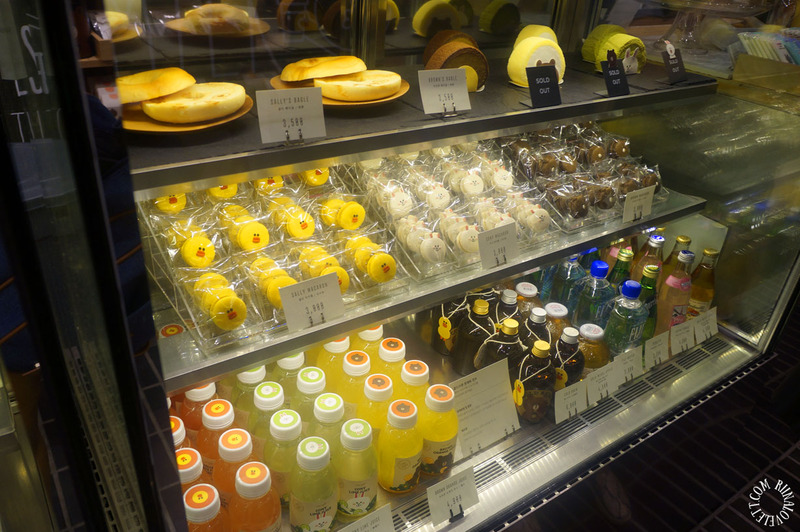 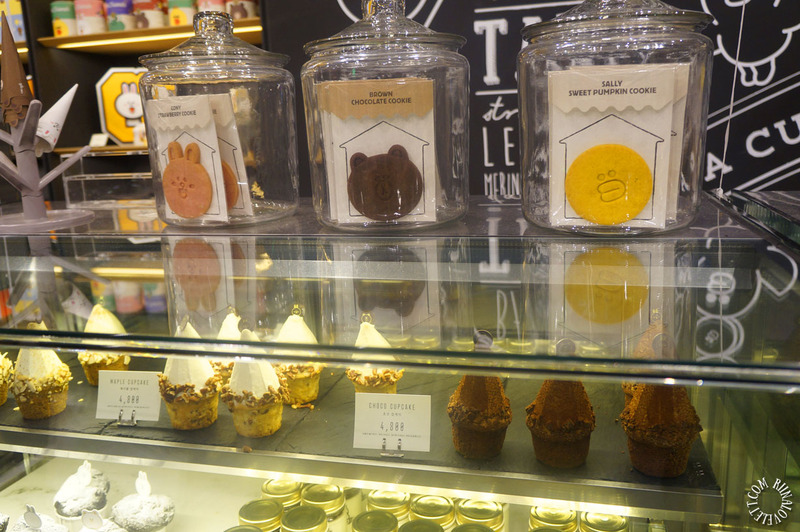 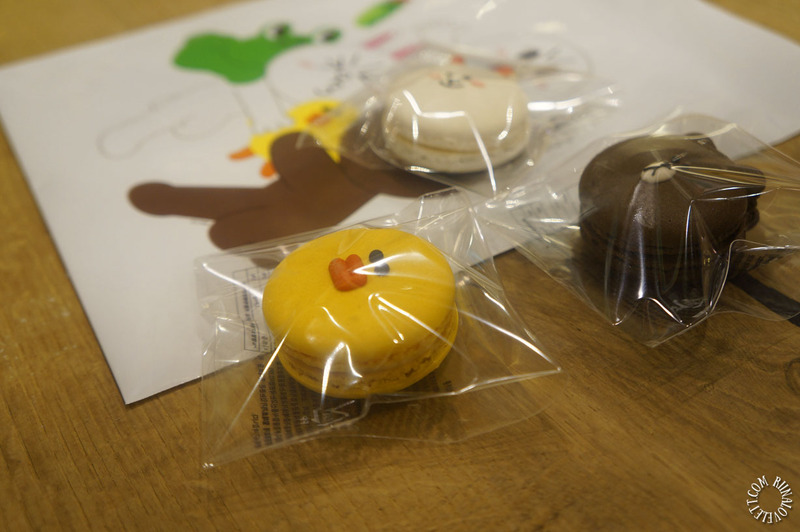 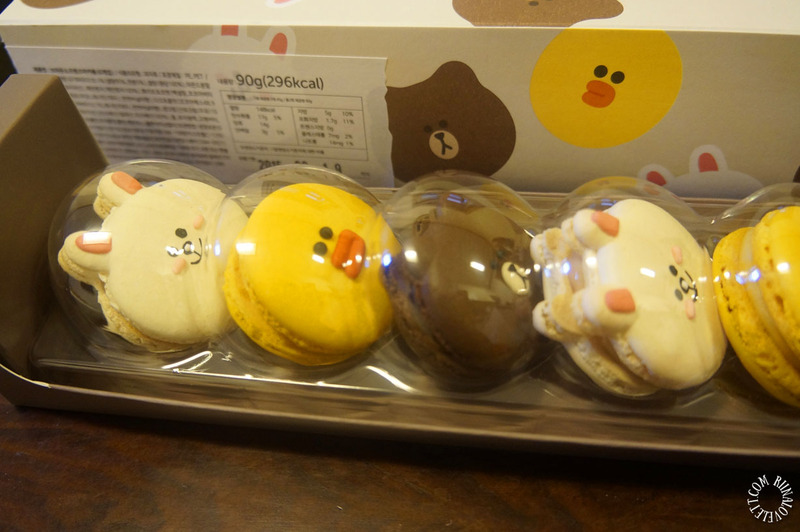 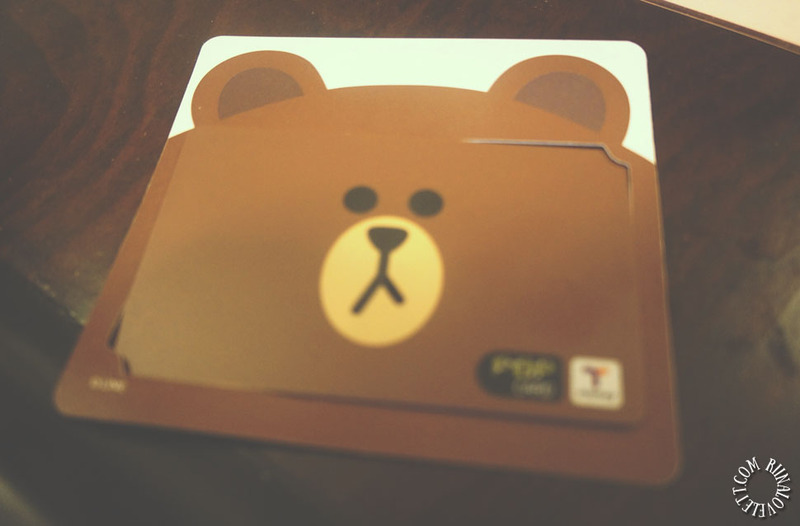 I have visited LINE FRIENDS Store & Café, where they sell these cute LINE FRIENDS macarons. 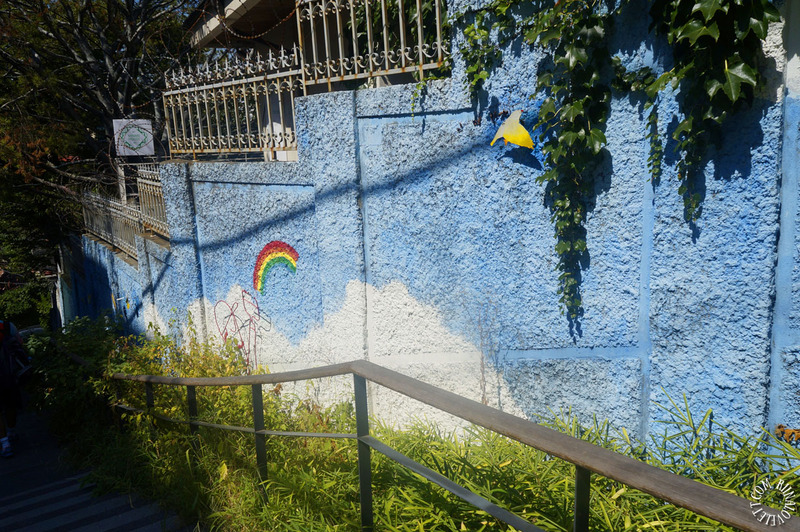 I also planned to visit the Dore Dore Café, to eat some delicious rainbow cake but that plan unfortunately fell through. 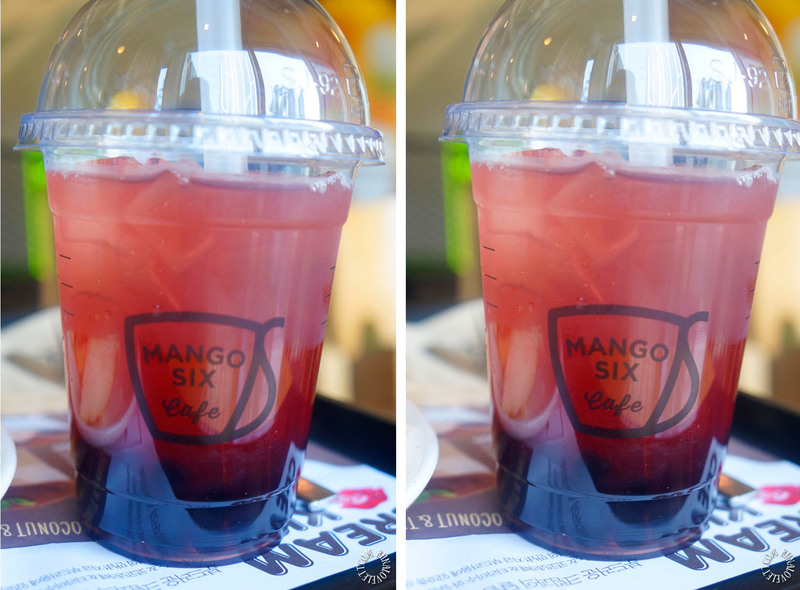 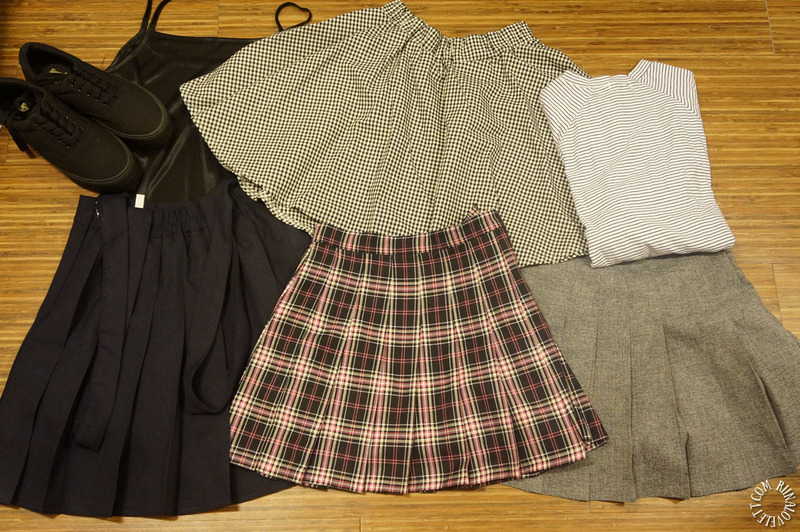 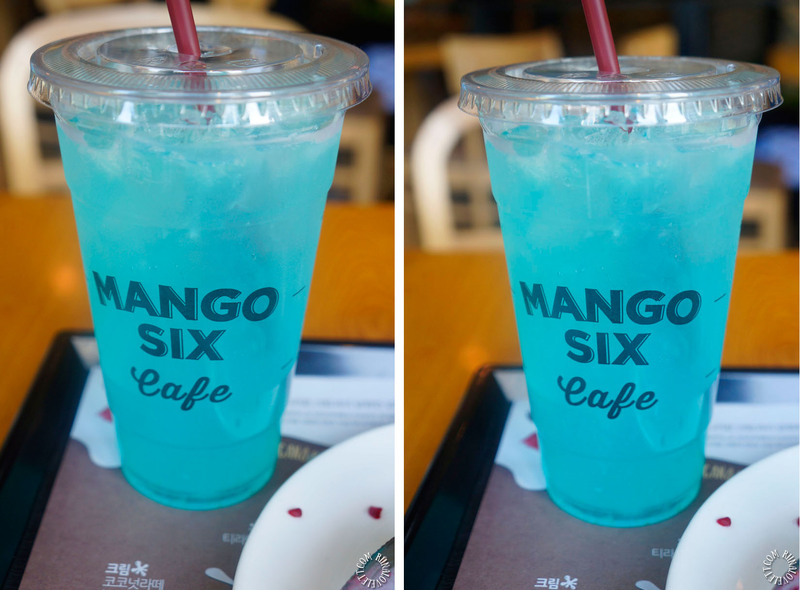 I did go to Mango Six. 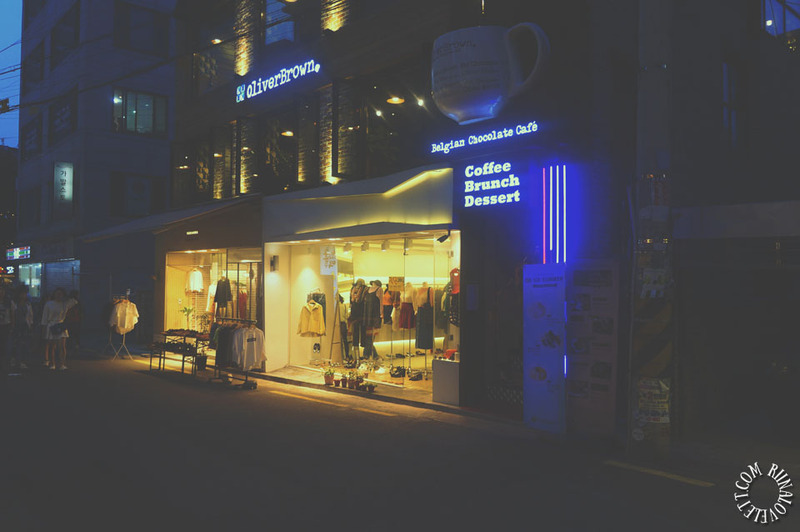 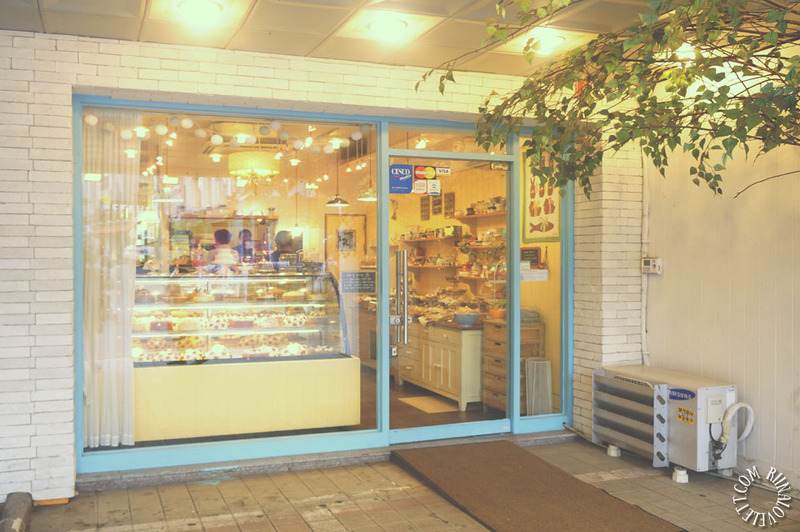 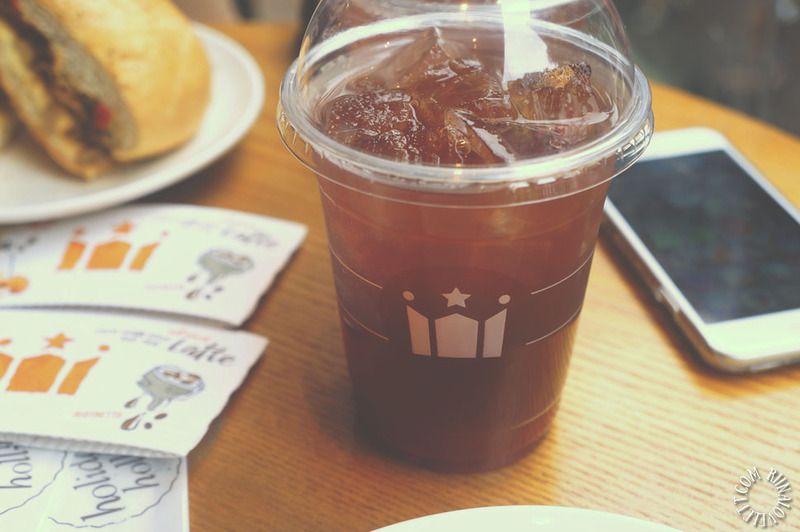 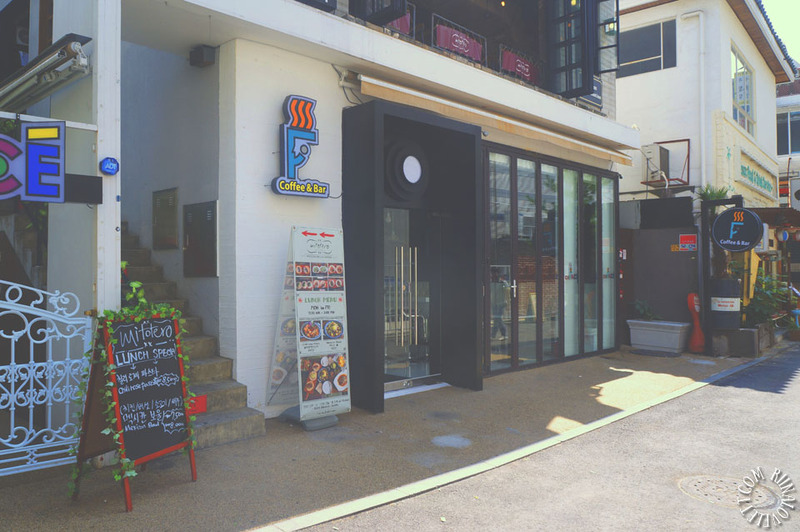 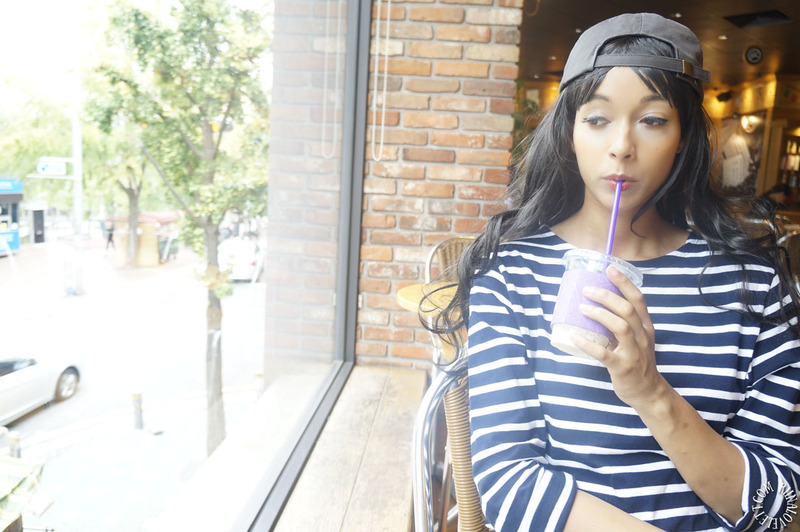 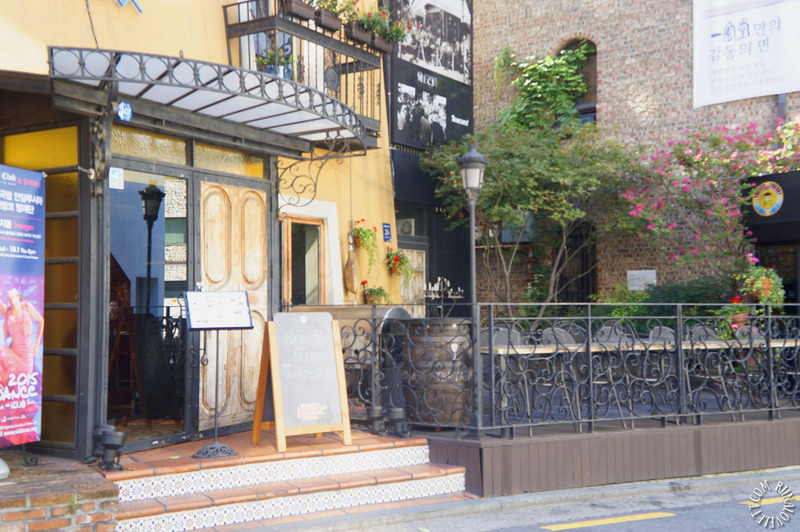 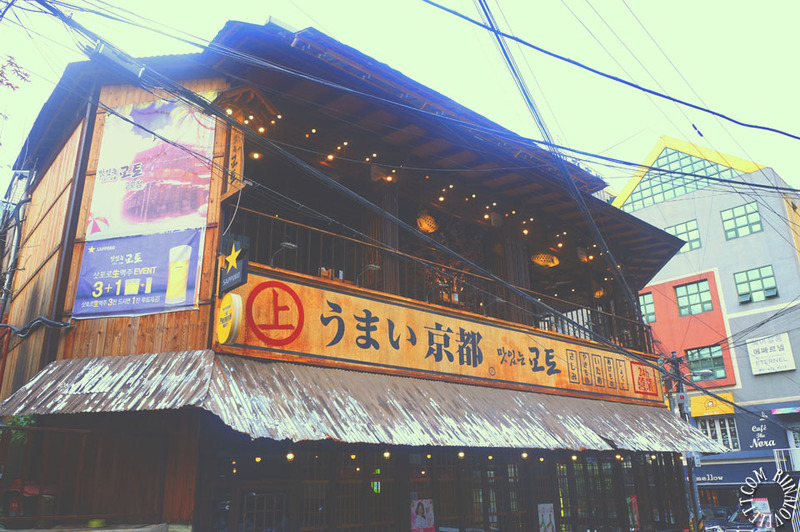 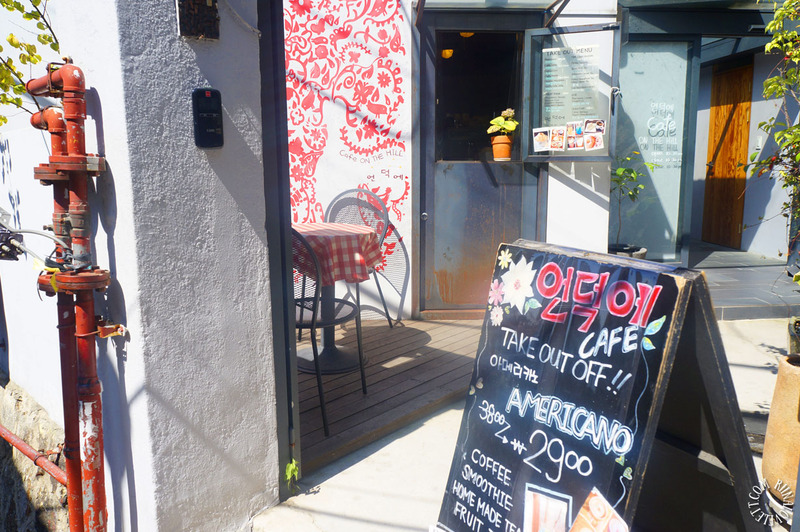 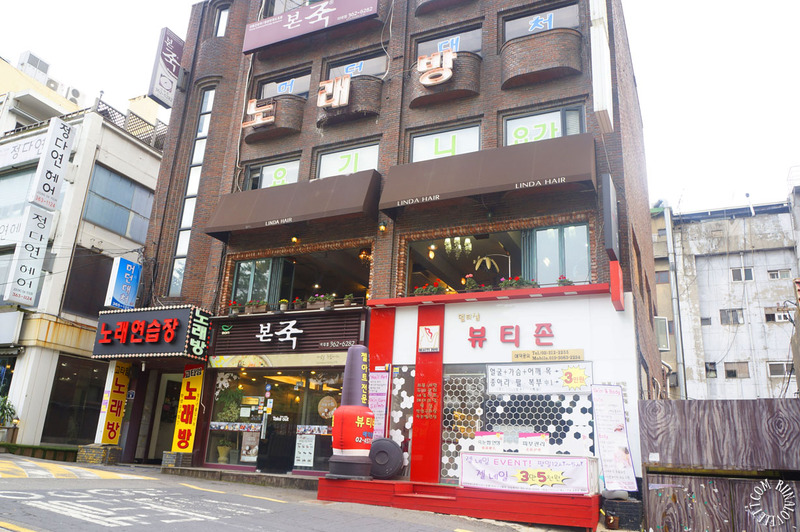 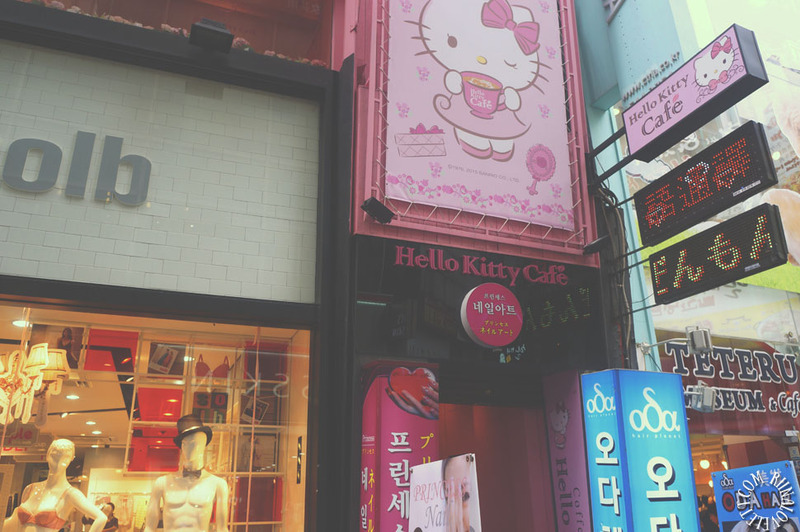 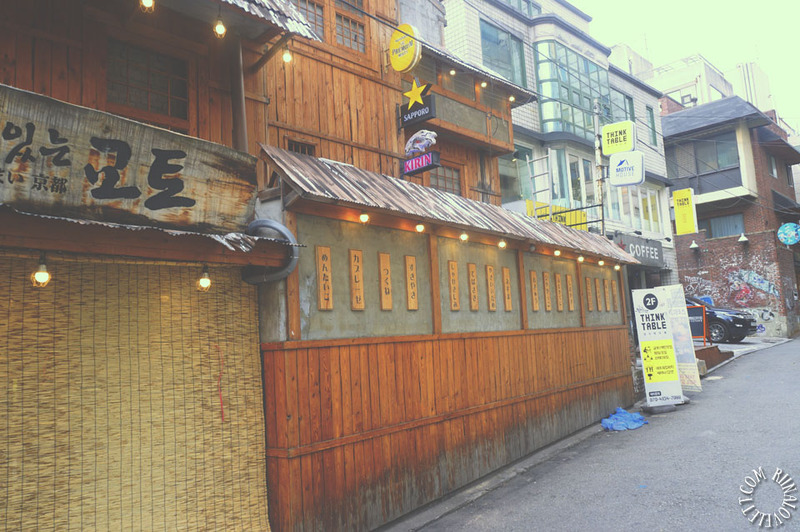 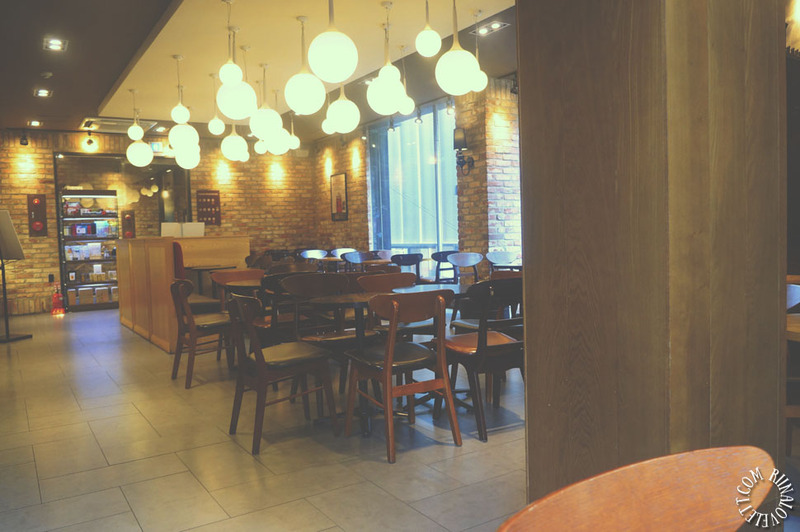 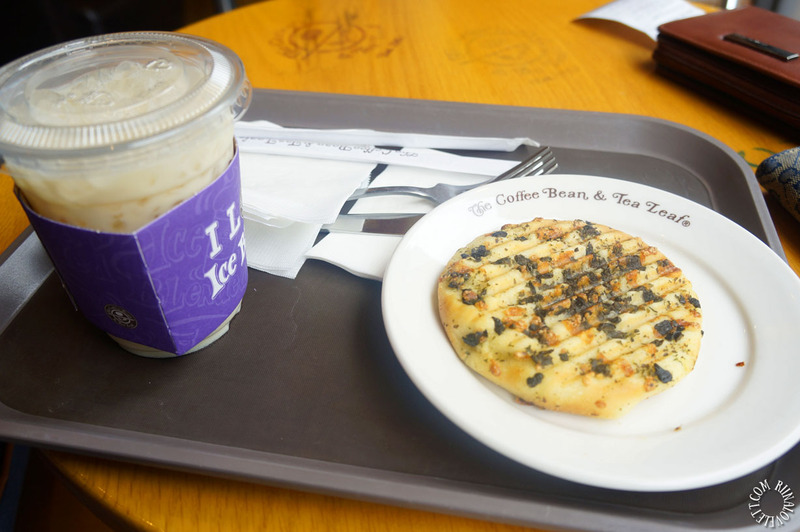 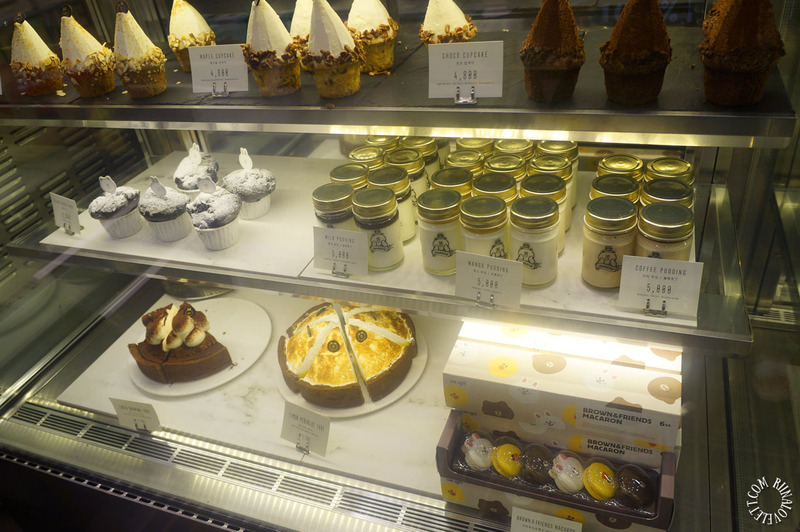 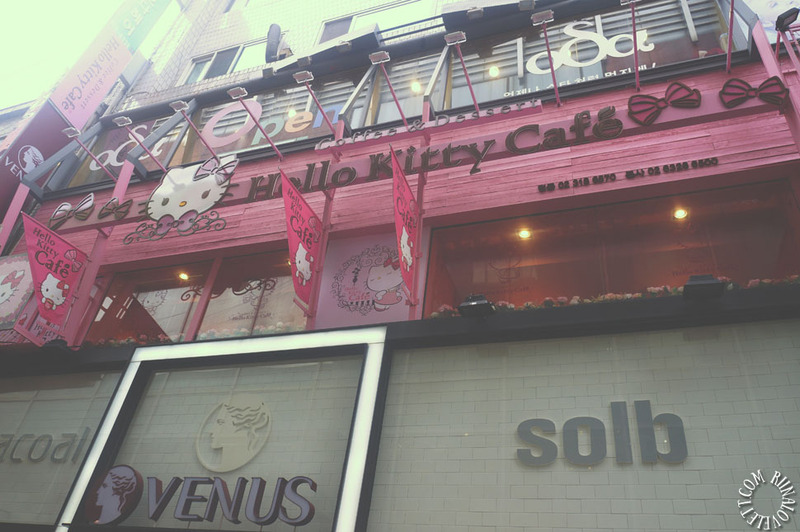 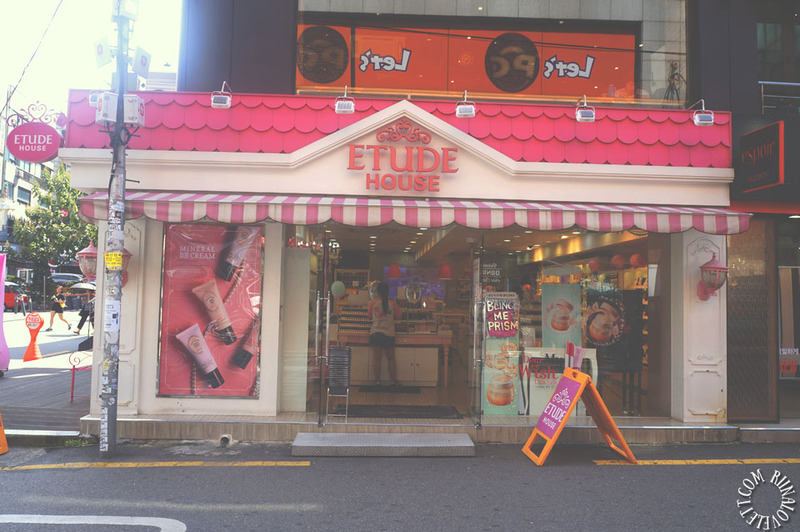 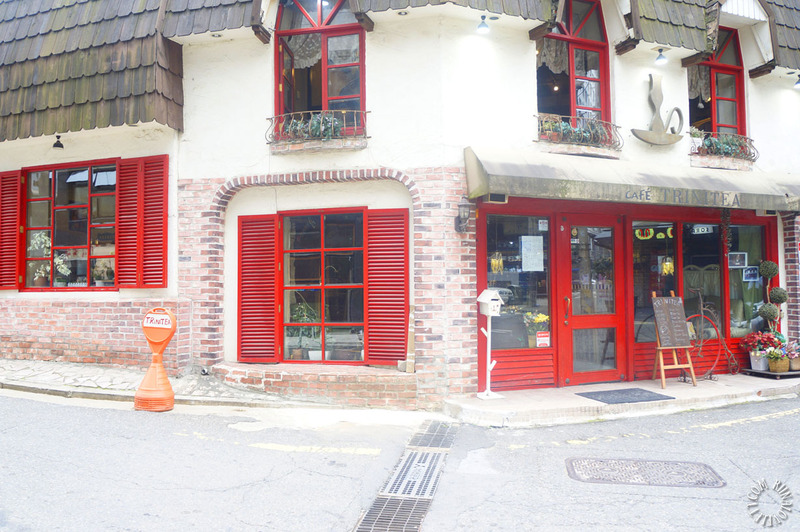 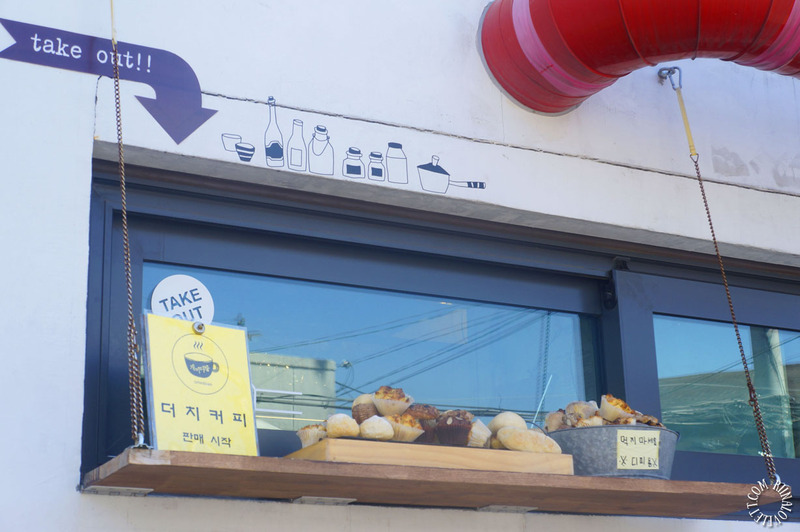 I saw this café many times in Korean drama, so, I definitely wanted to try their desserts and drinks. 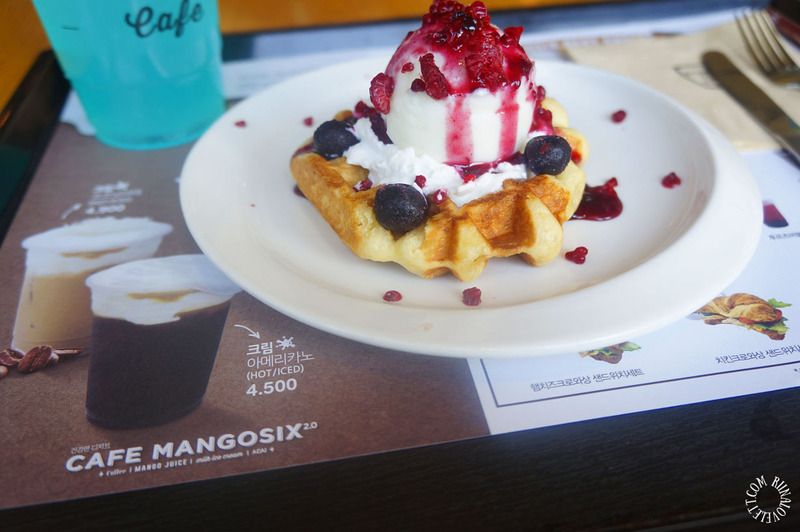 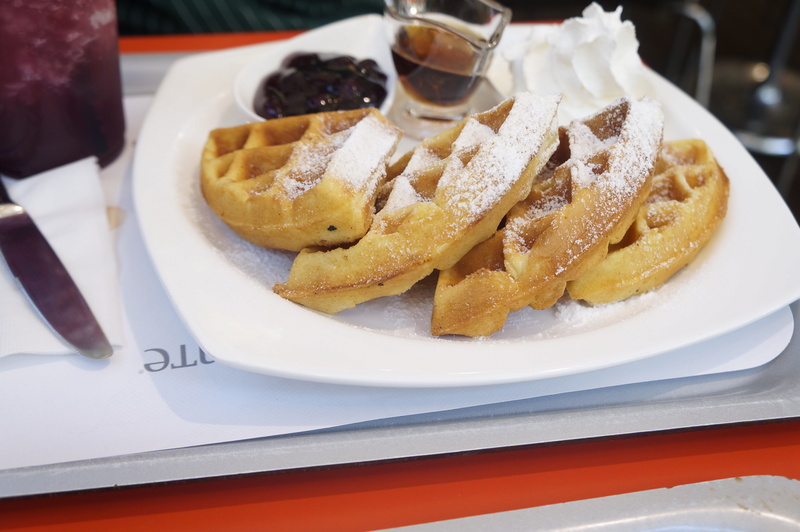 I ordered a blue mint lemonade drink and a waffle with berries and frozen yoghurt on top. 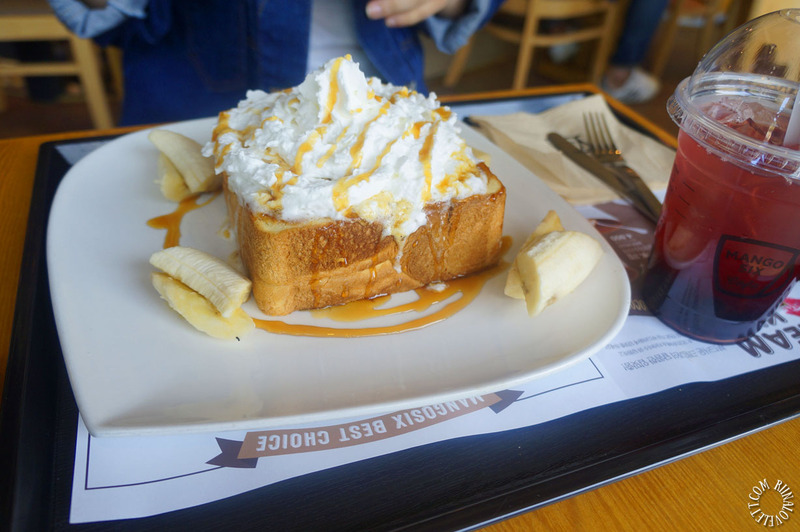 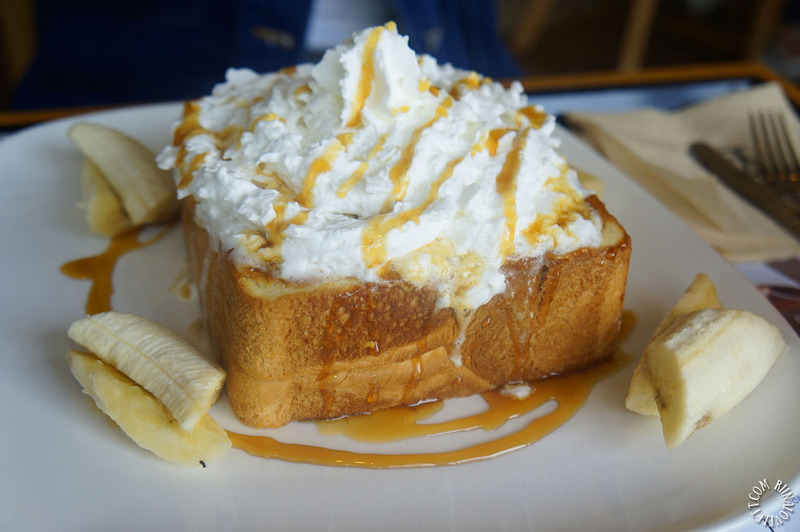 They also sell the famous honey bread with whipped cream. 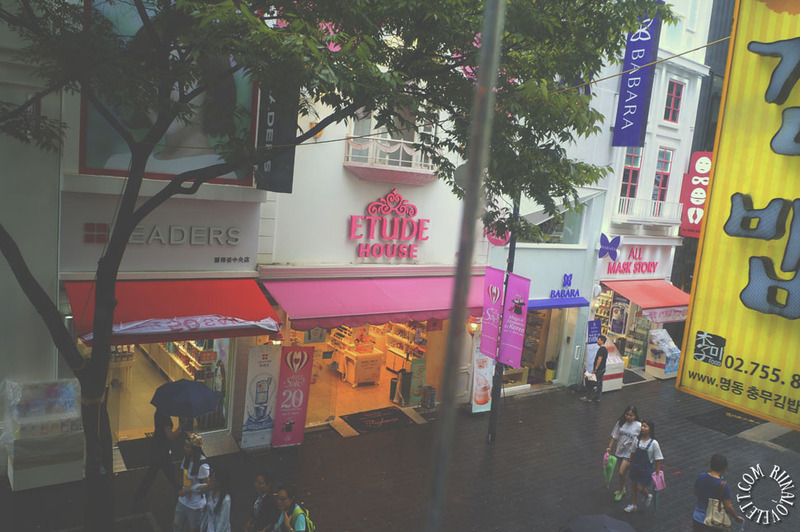 If you want to shop for reasonably priced shoes in Korea you have to visit Edae (Ewha Women’s University). 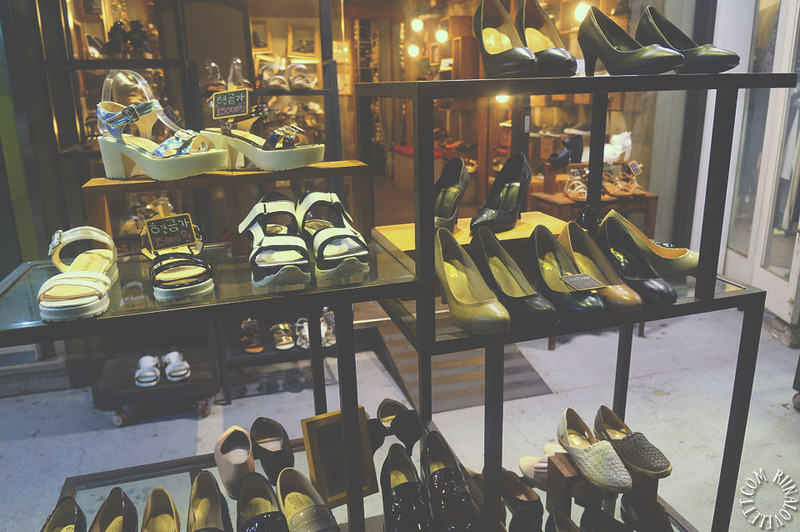 Although I’m not really a shoe person, I was in dire need for a new pair. 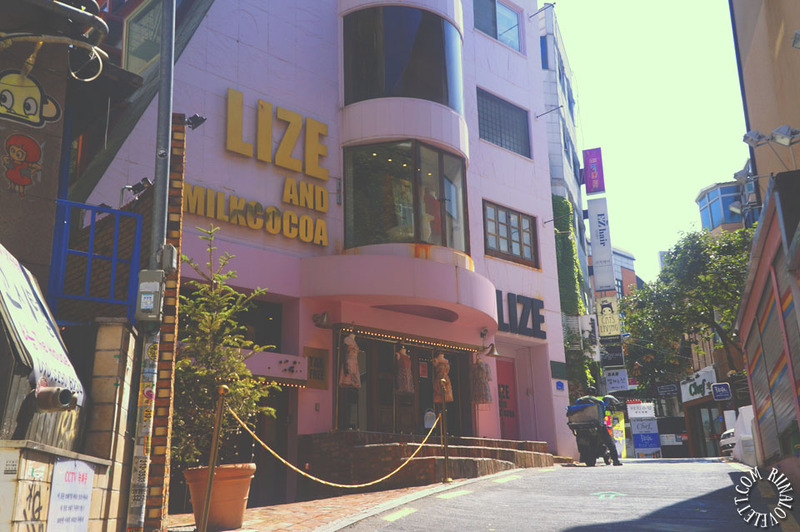 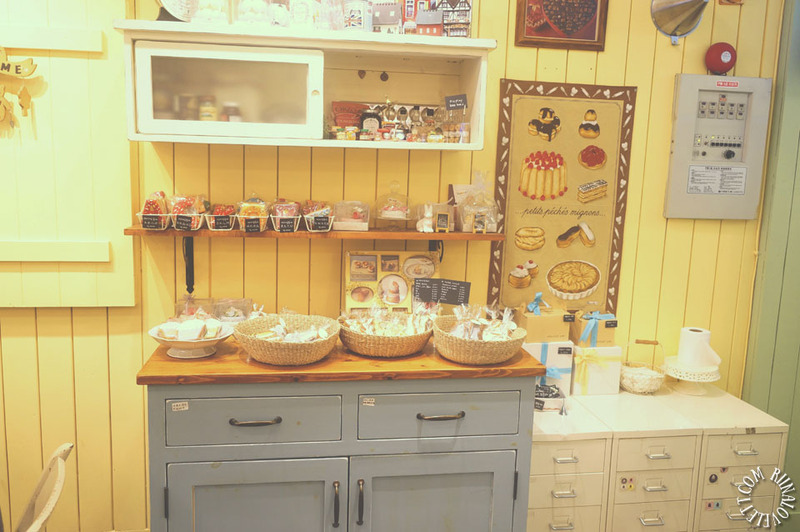 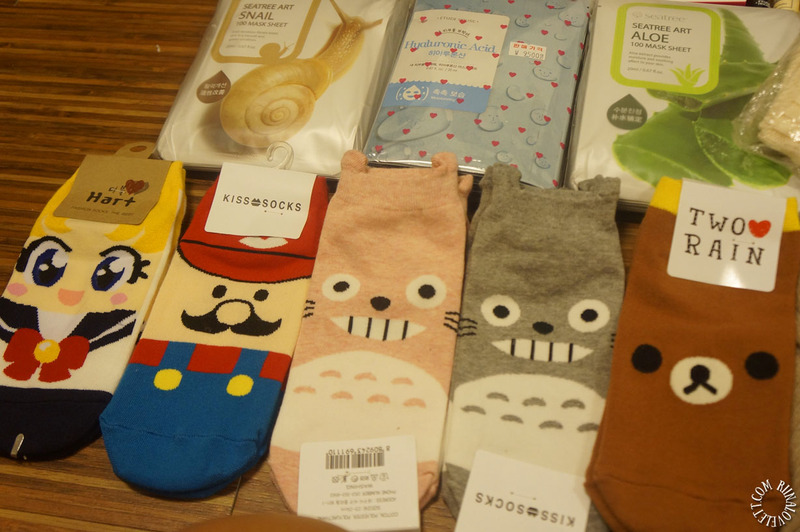 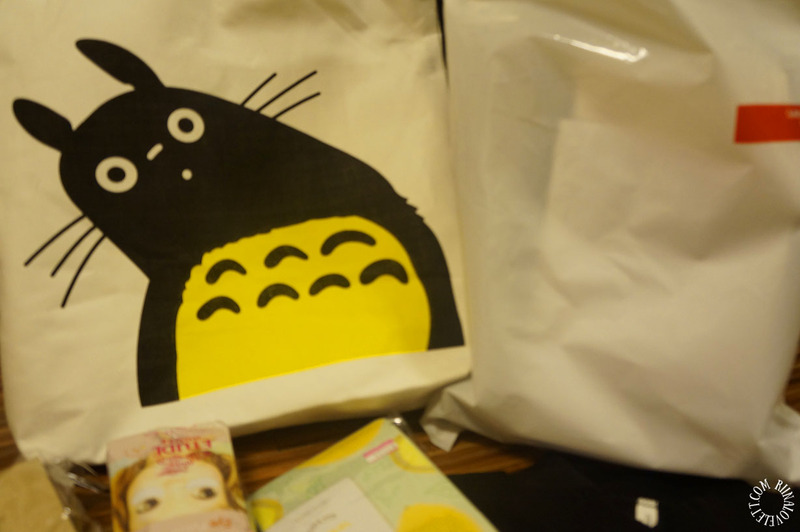 Also, in every street there are cute little shops to fulfill your shopping cravings. 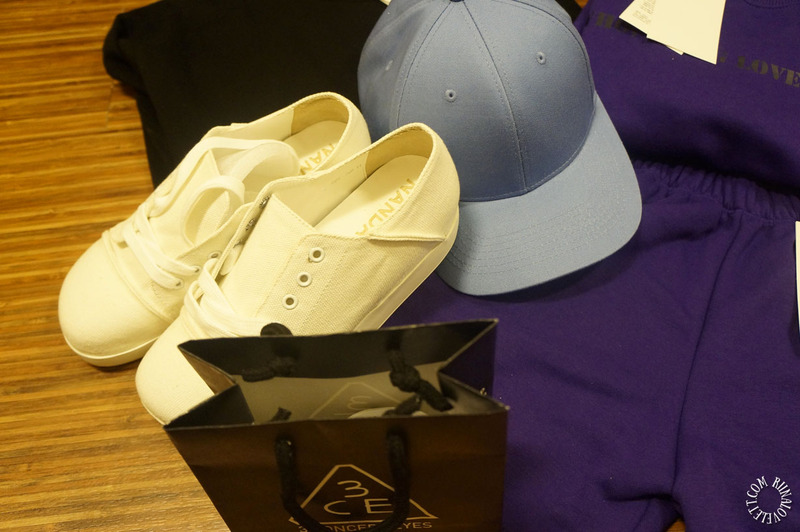 Like its counterparts, shopping in Edae is relatively cheap and very satisfying. 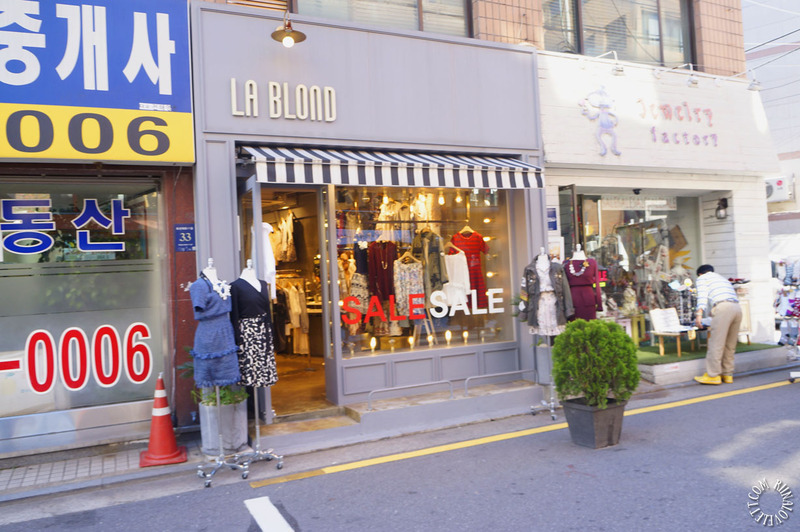 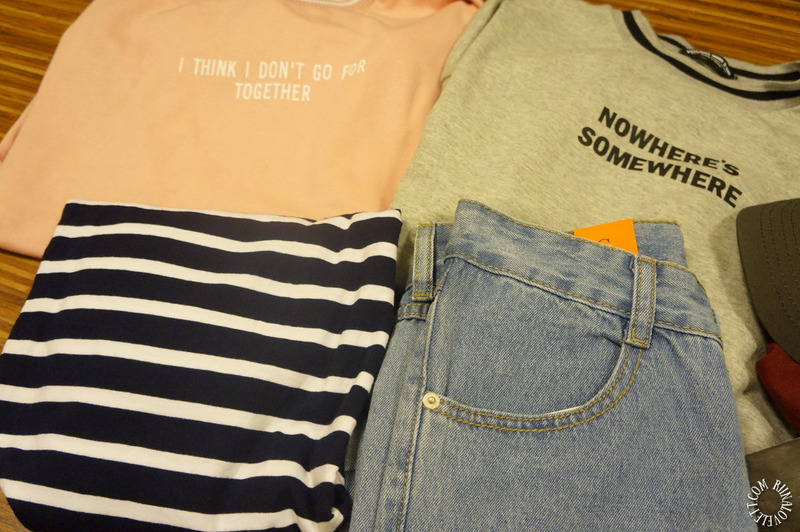 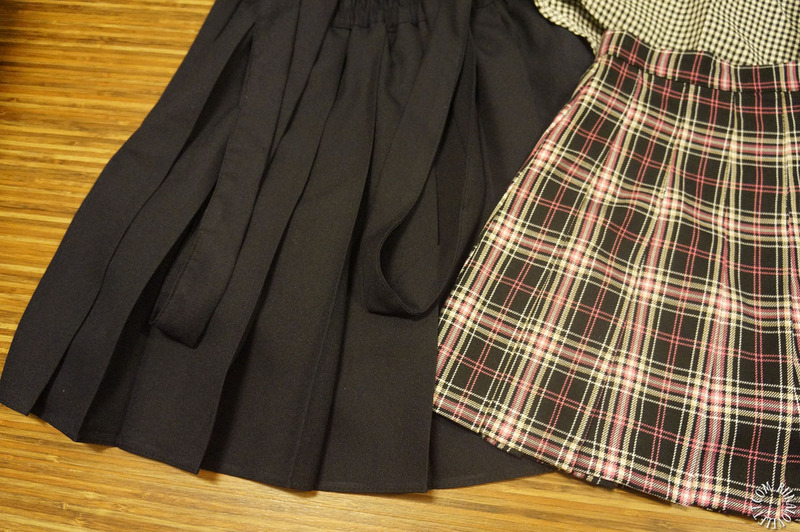 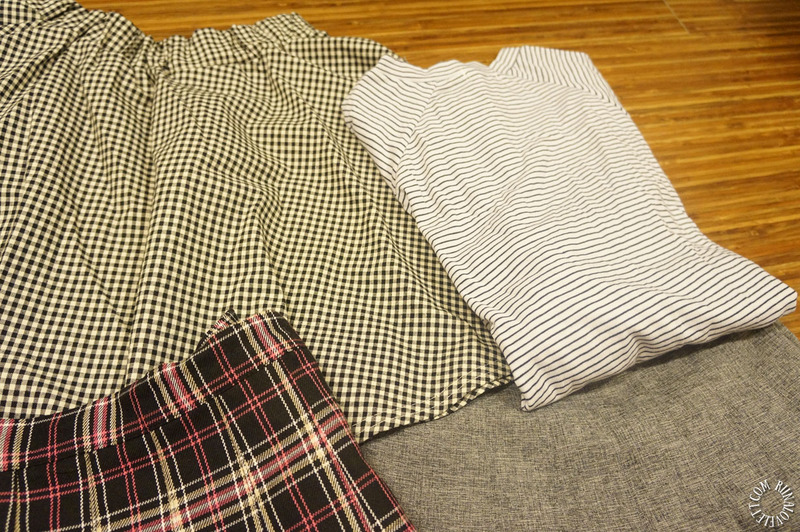 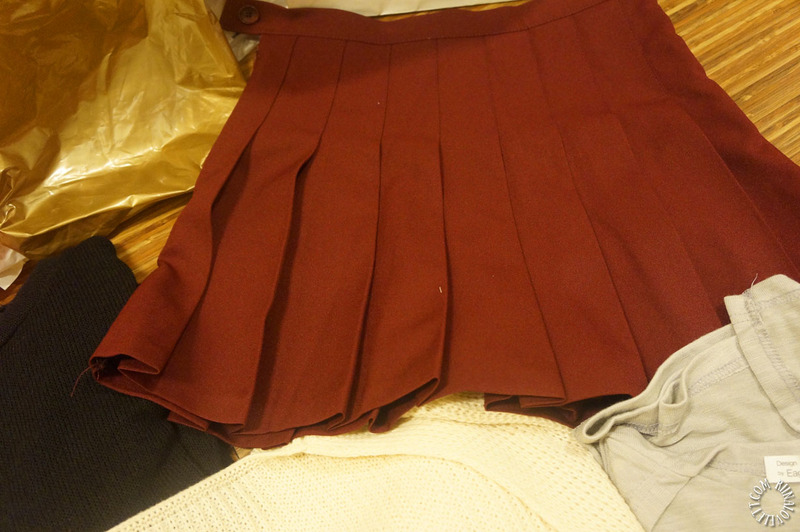 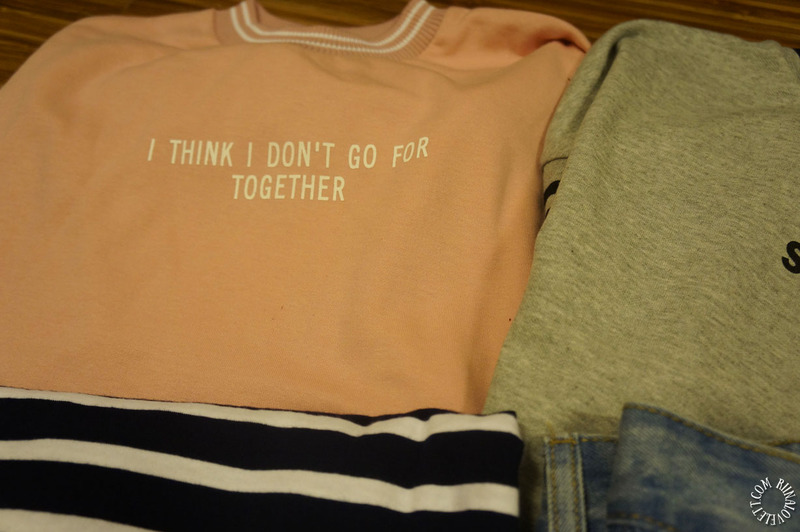 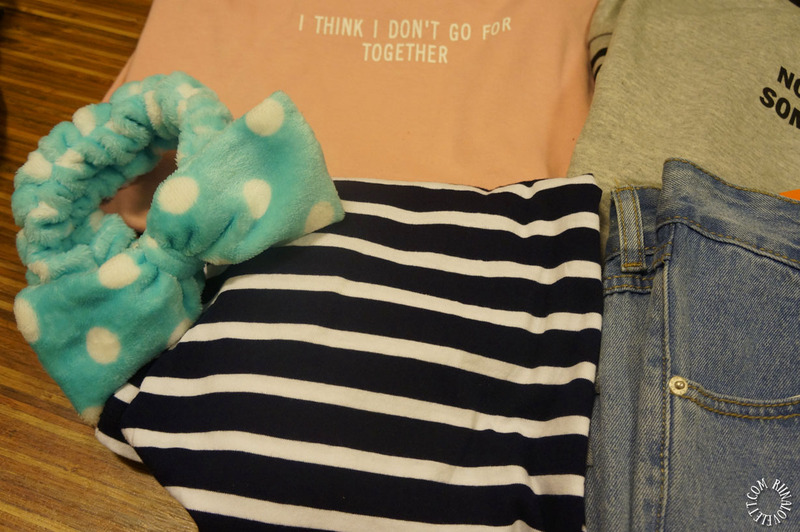 The clothing and accessories for sale are leaning more to the girly side. 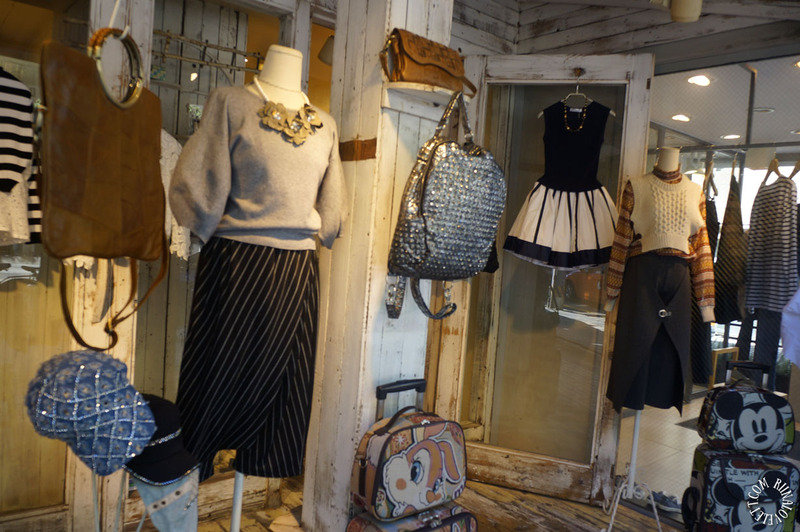 Very sweet and feminine. 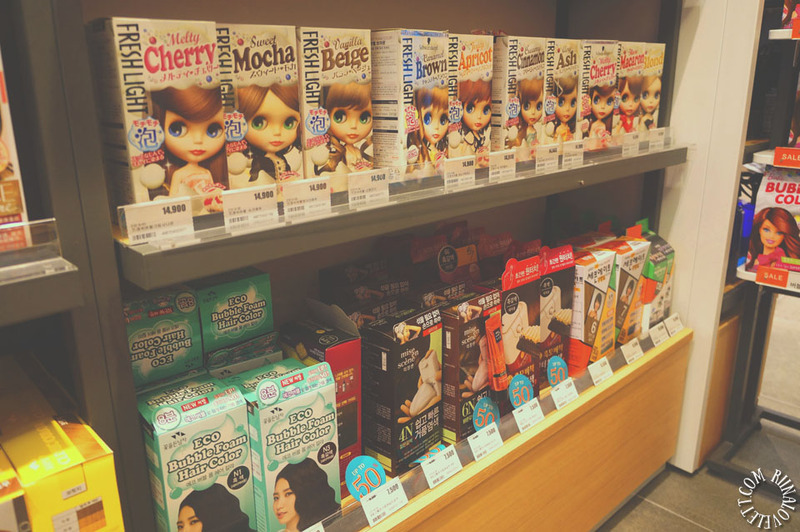 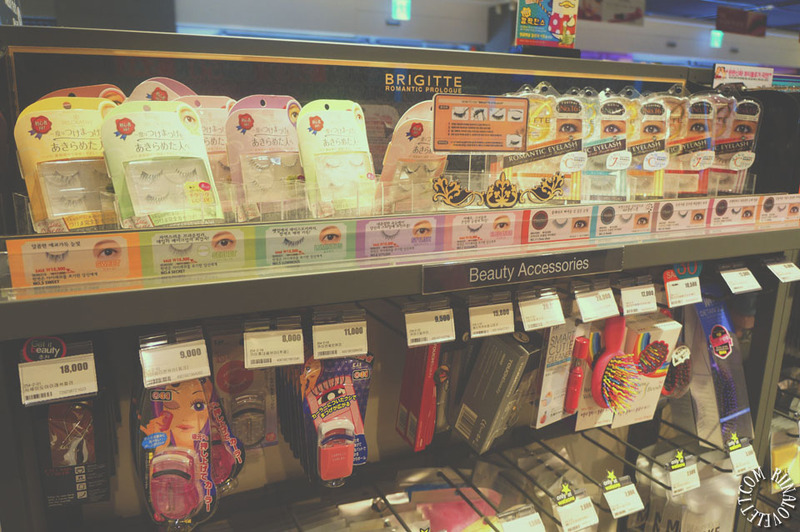 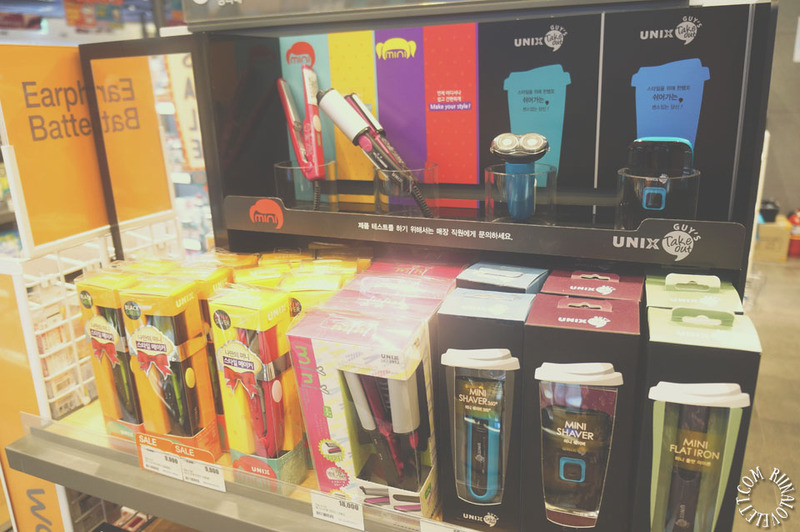 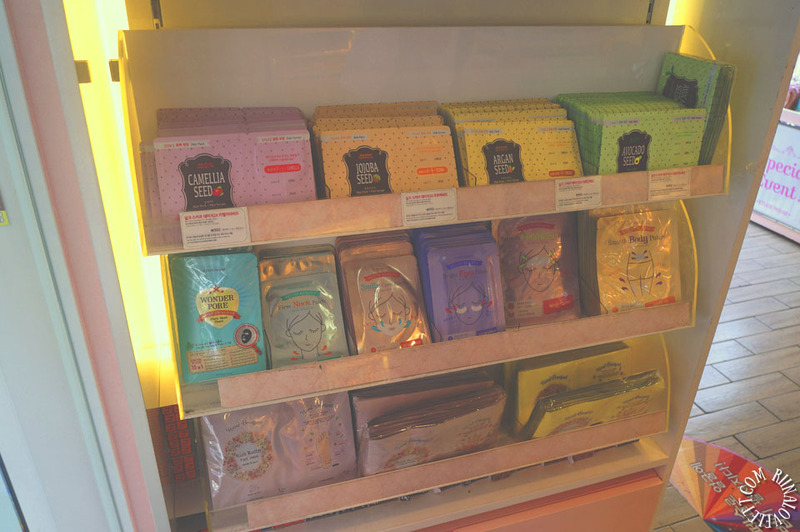 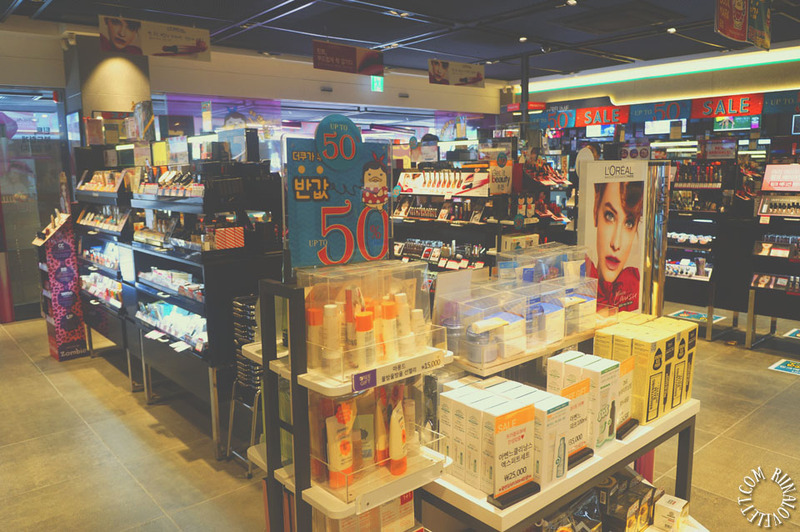 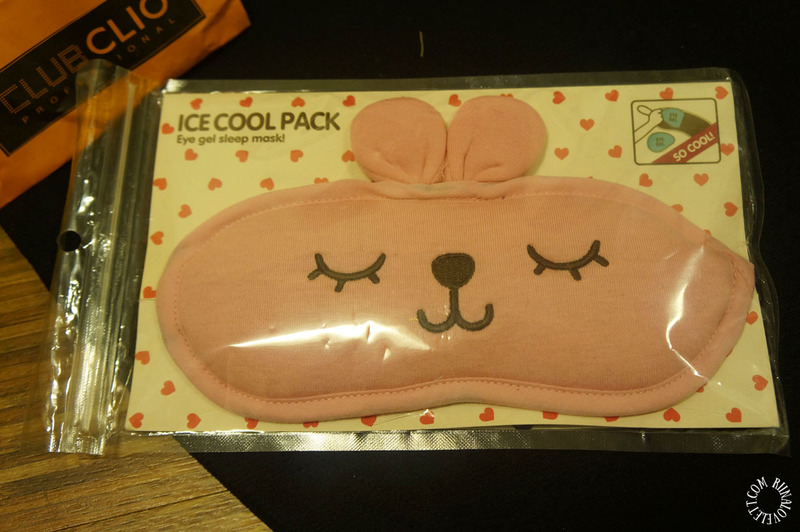 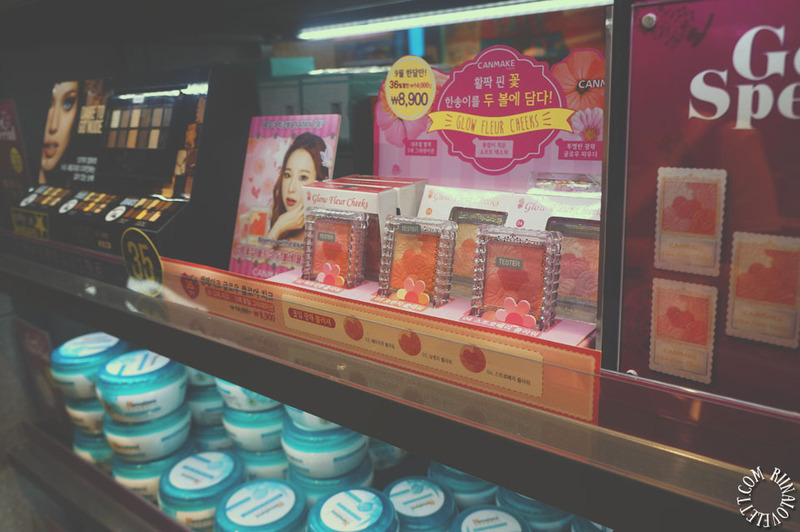 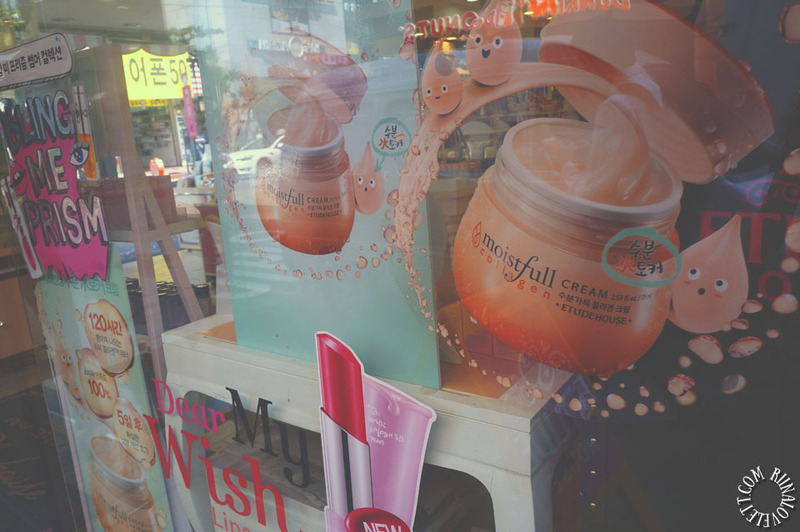 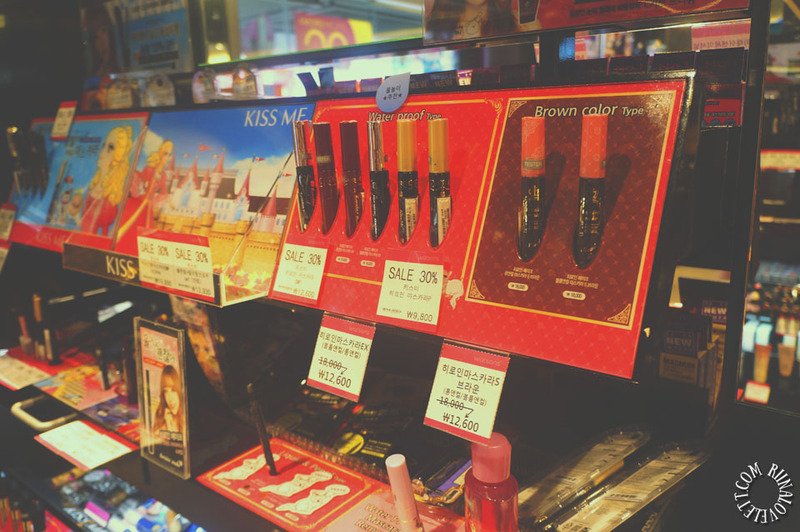 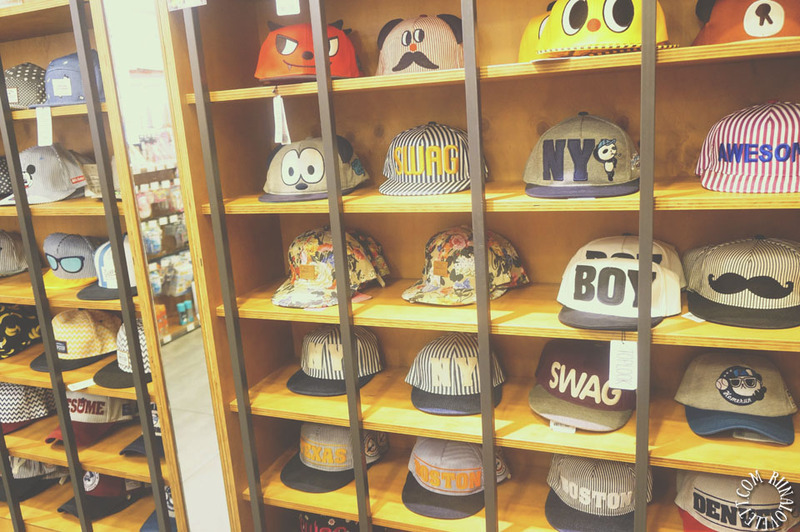 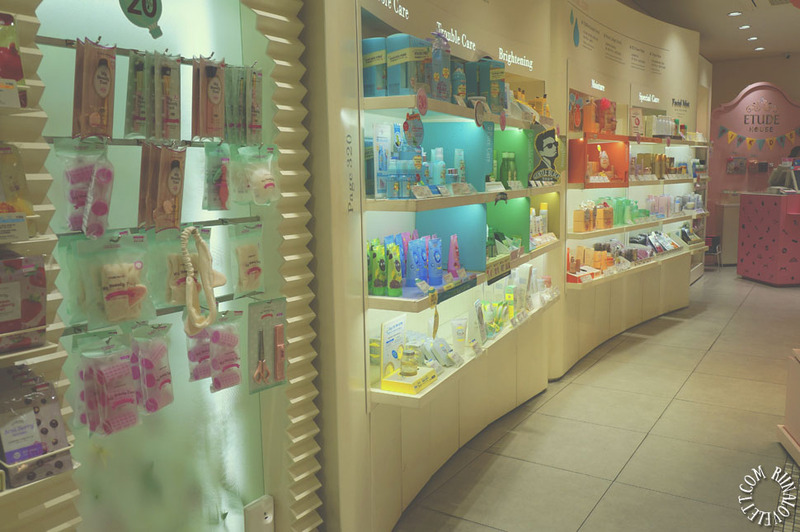 They also sell styles you can find through all Seoul, cosmetics as well. 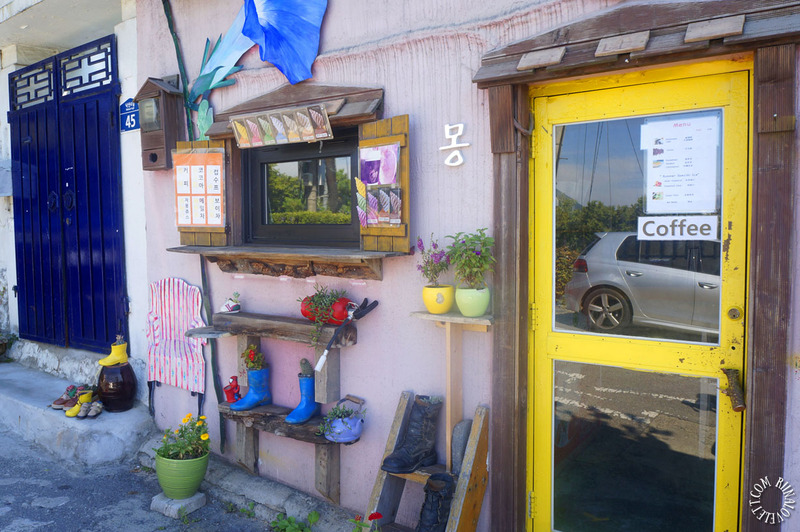 I even got a discount because the shop owners liked my the country I’ve originated from. 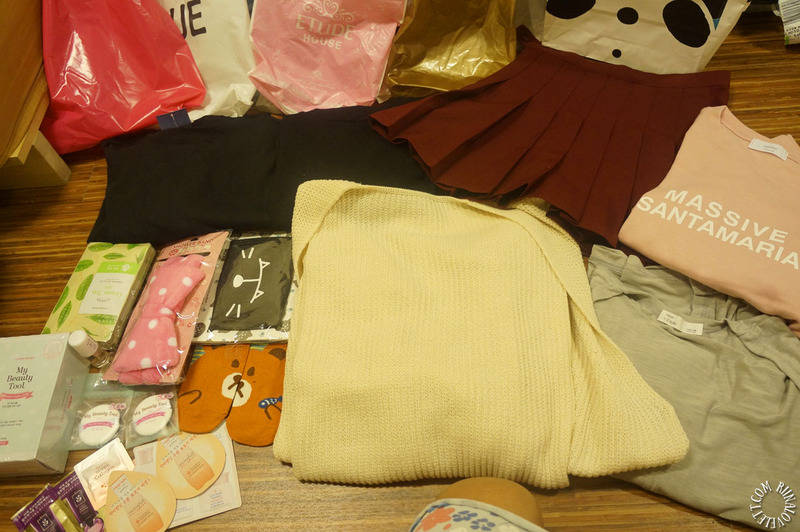 So, shopping in Edae was very fun. 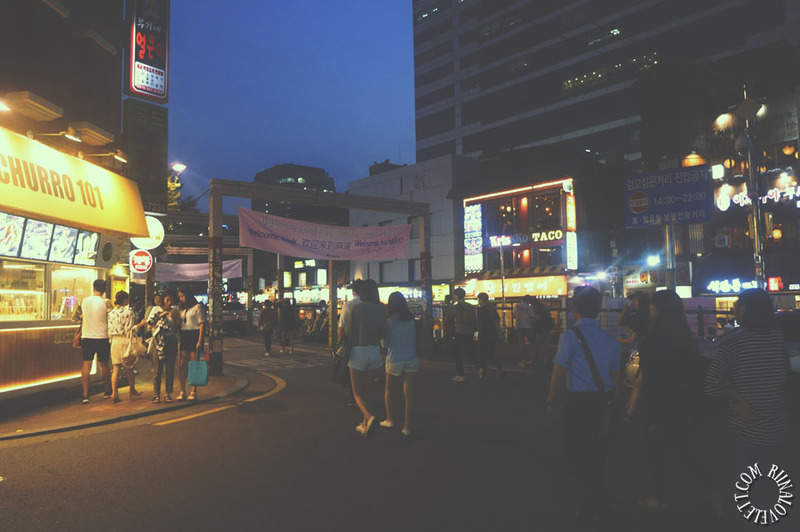 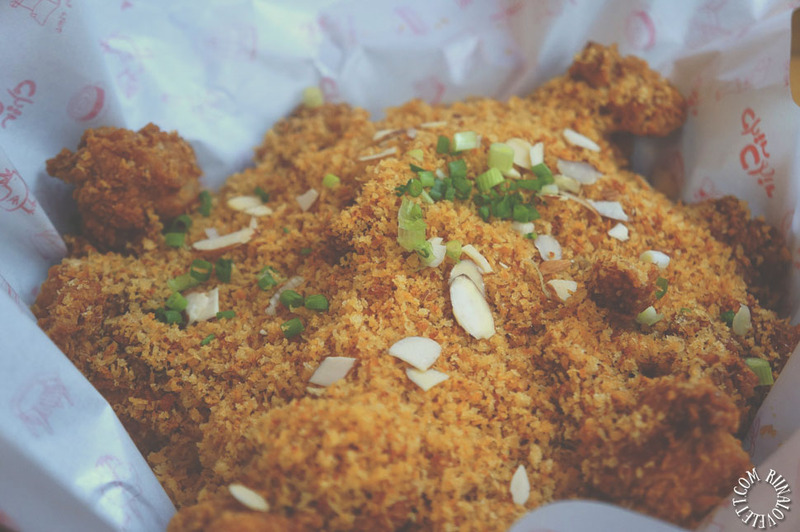 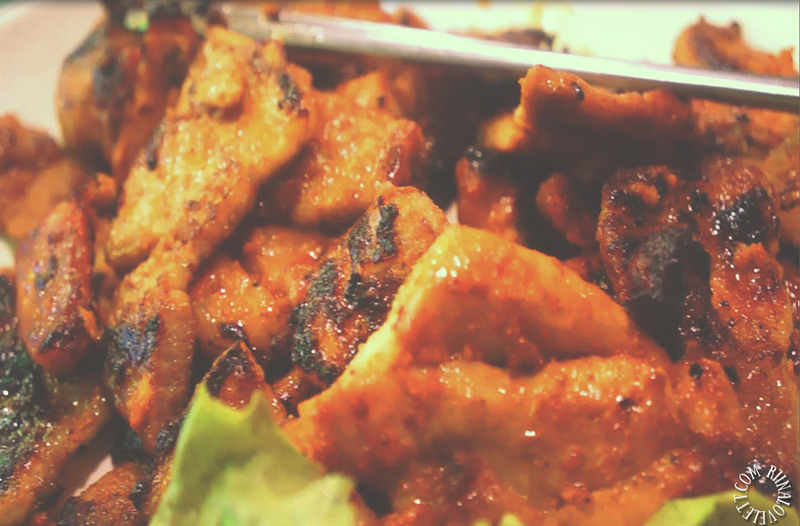 When night falls, many street food vendors emerge from the darkness and come to live. 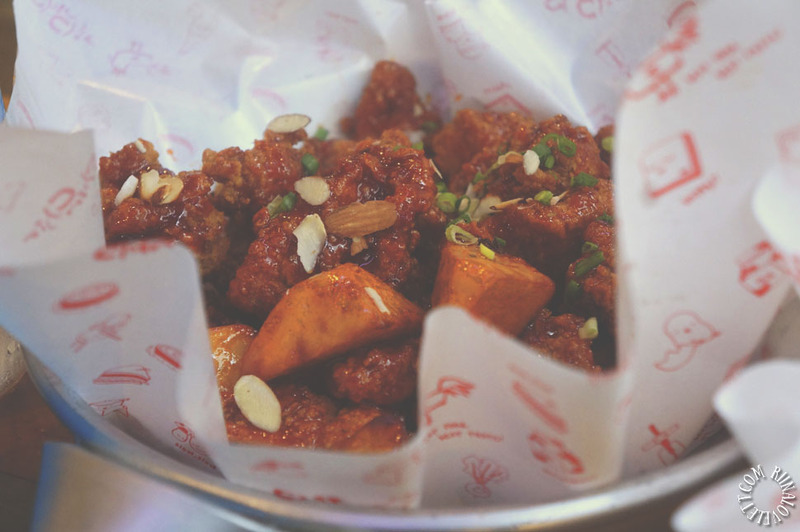 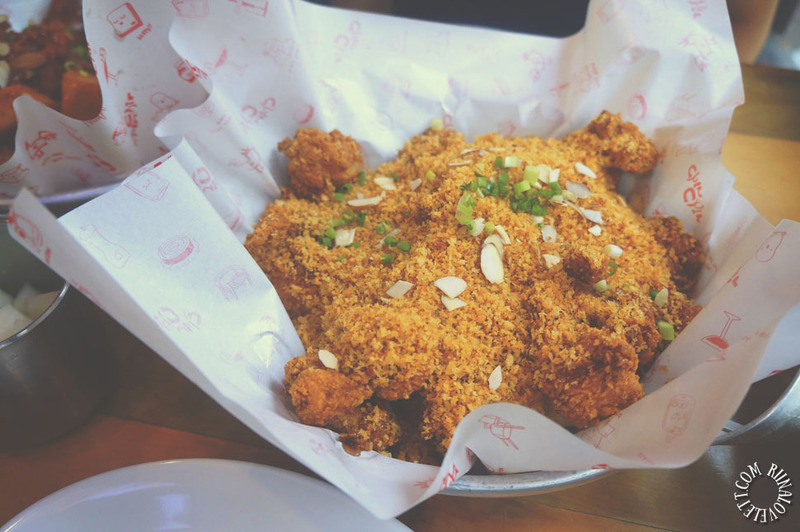 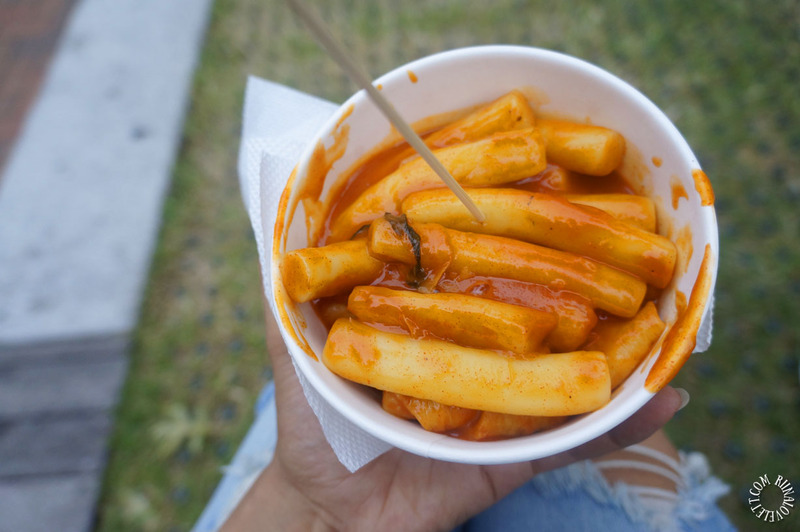 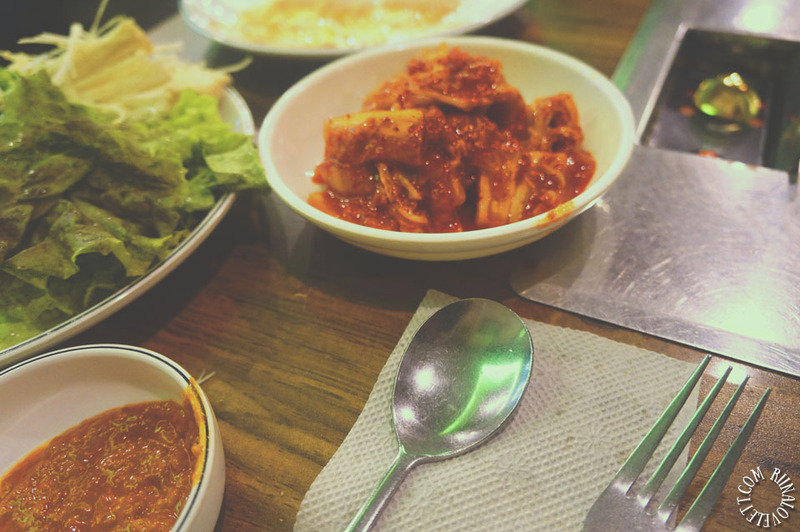 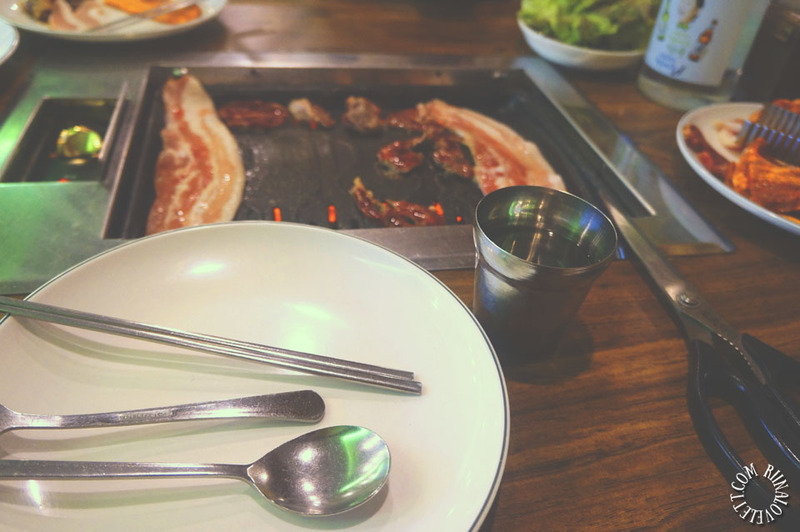 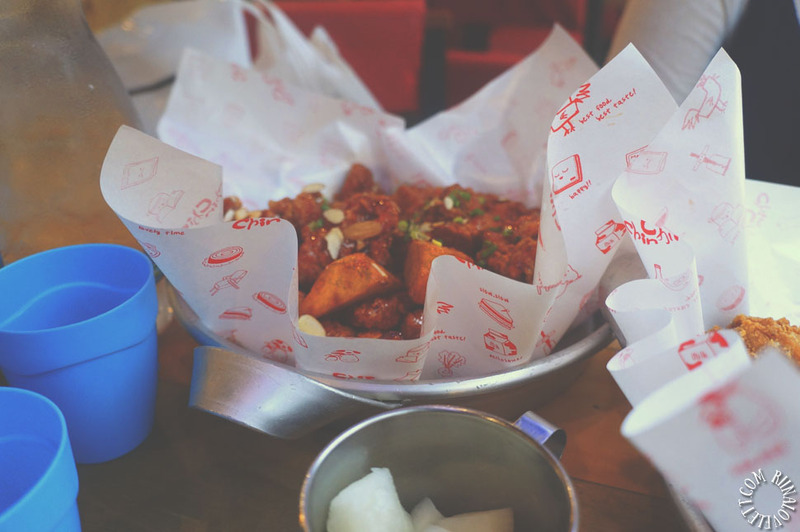 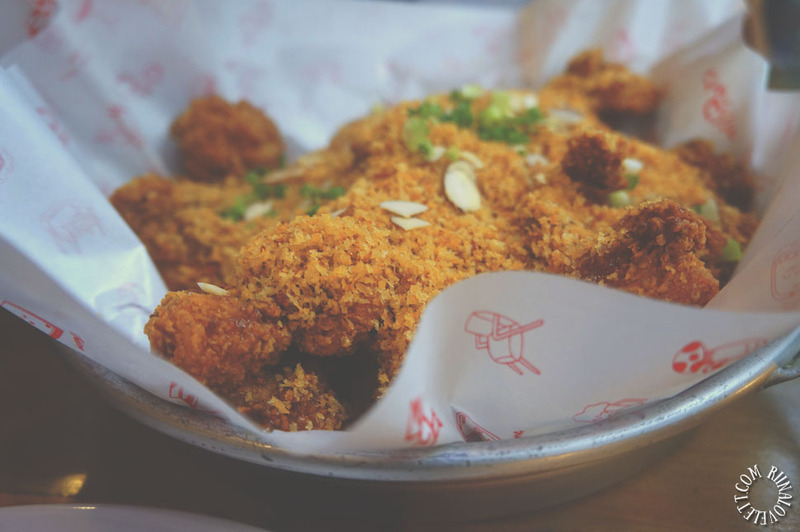 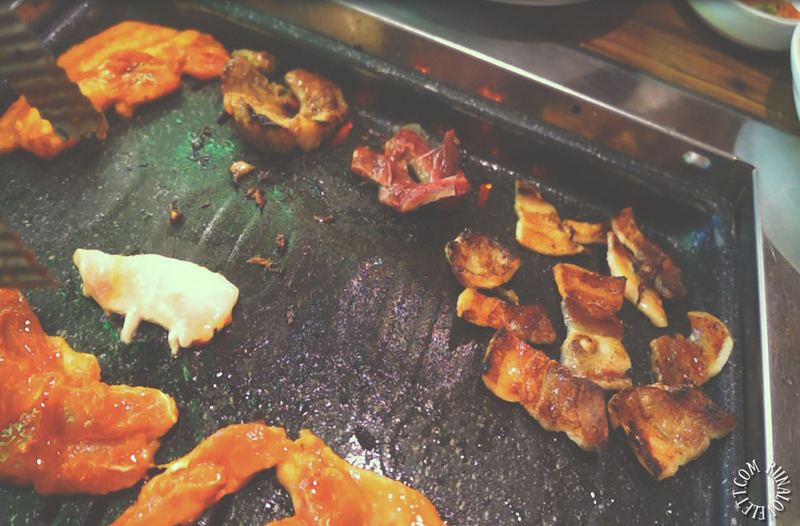 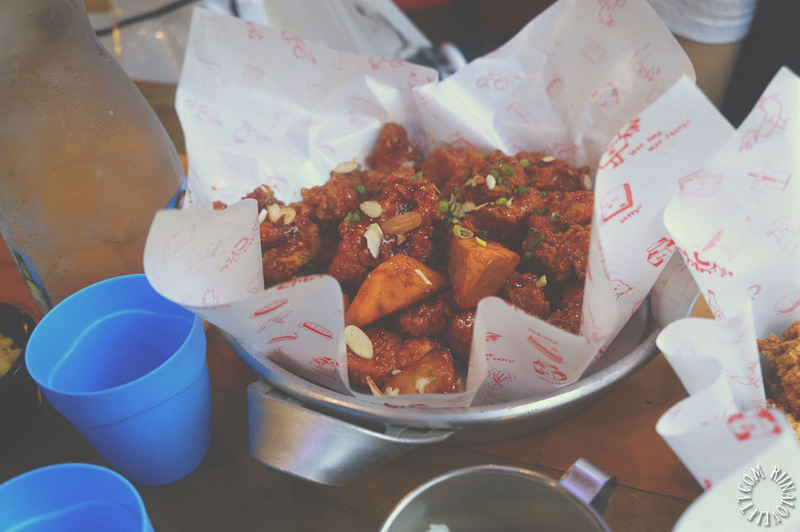 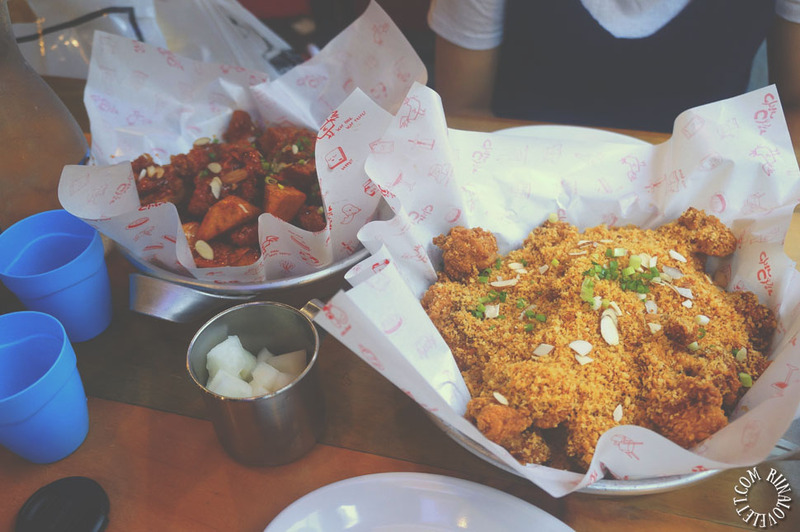 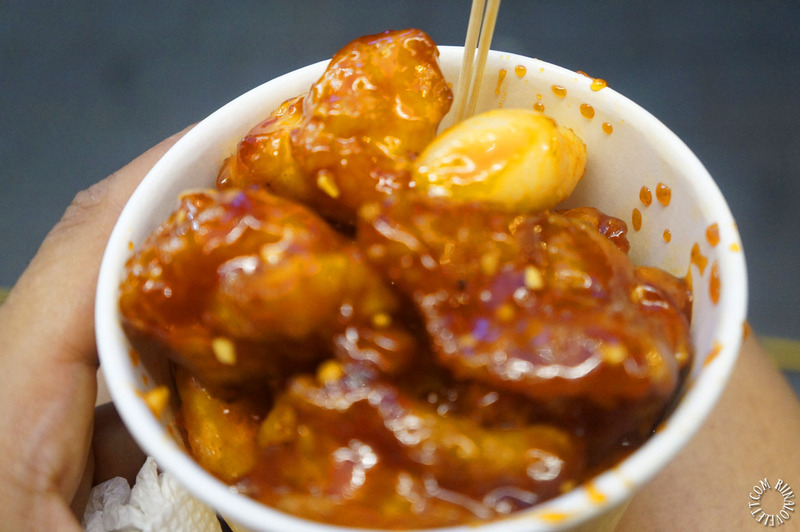 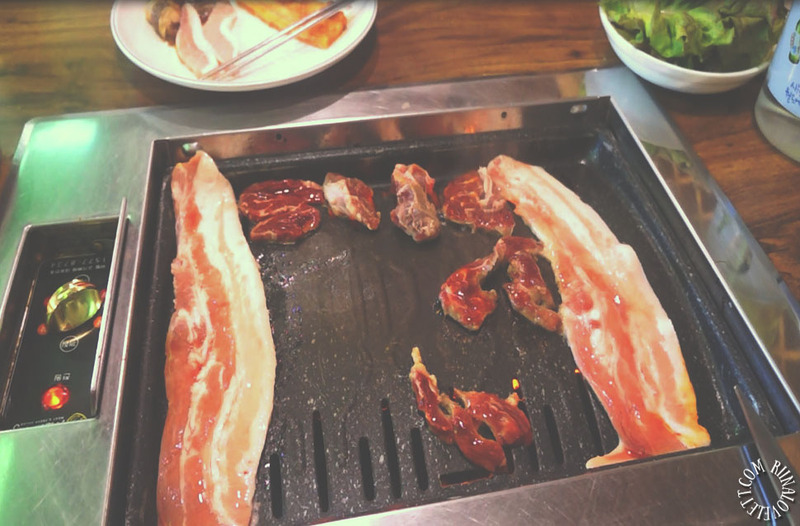 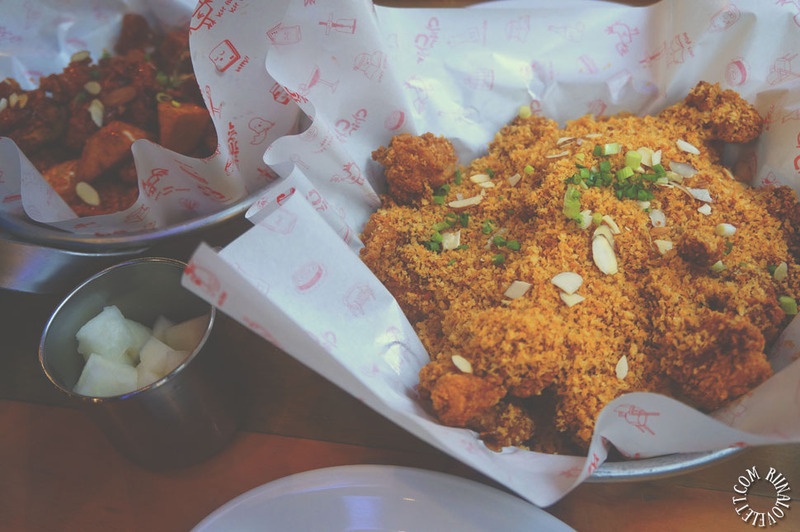 Trying Korean street food is a must. 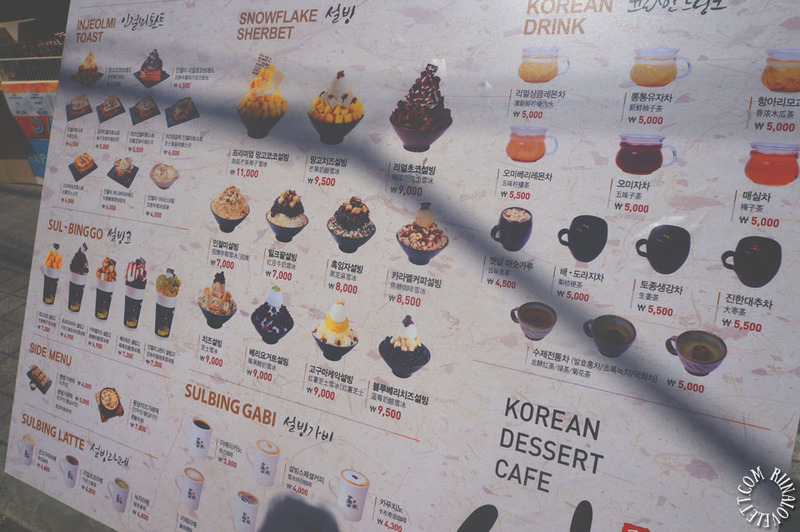 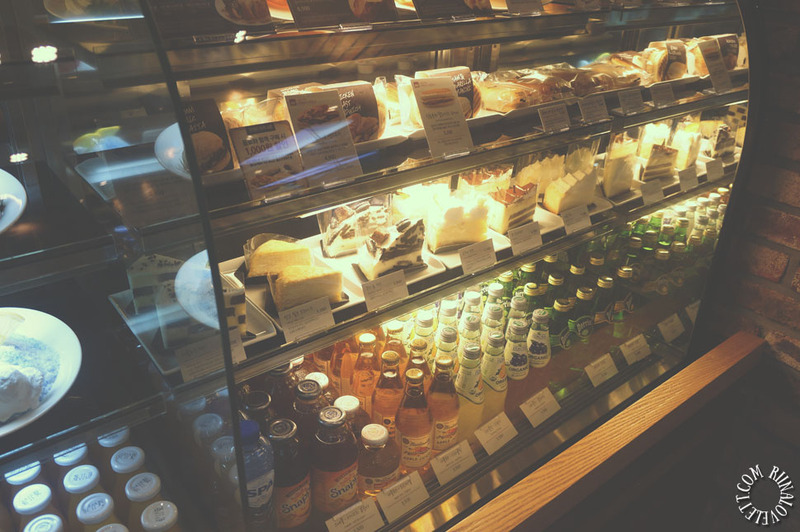 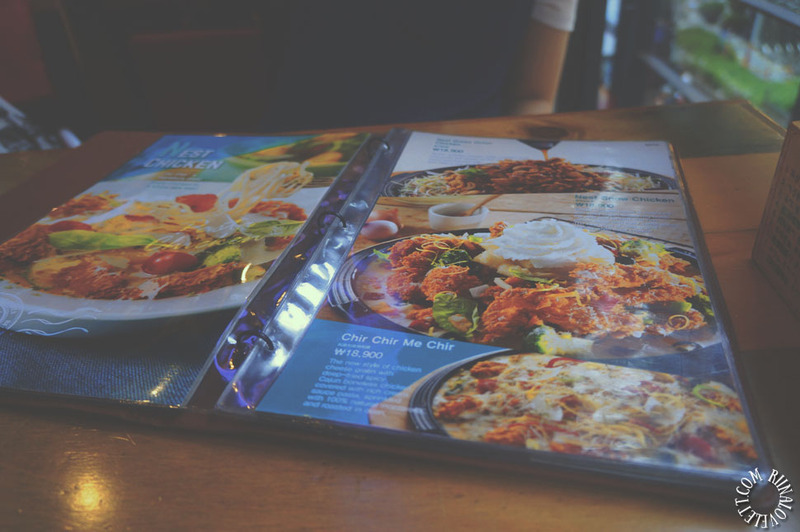 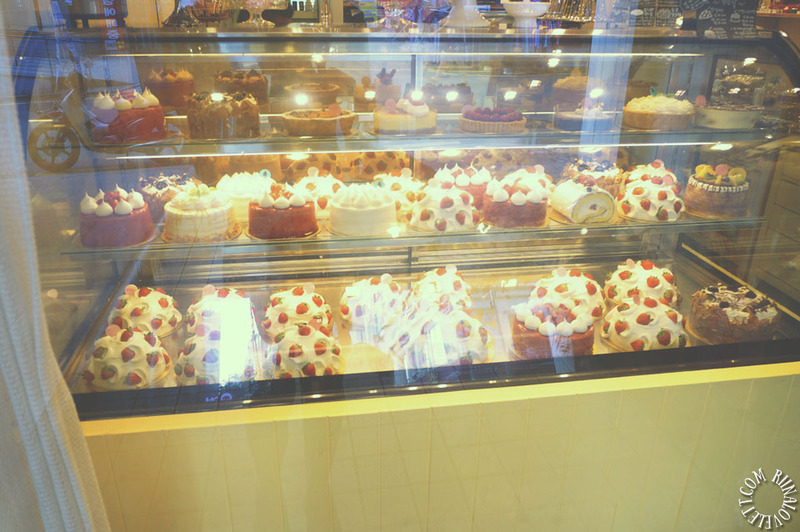 They sell a lot of delicious food, so, it makes it hard to choose. 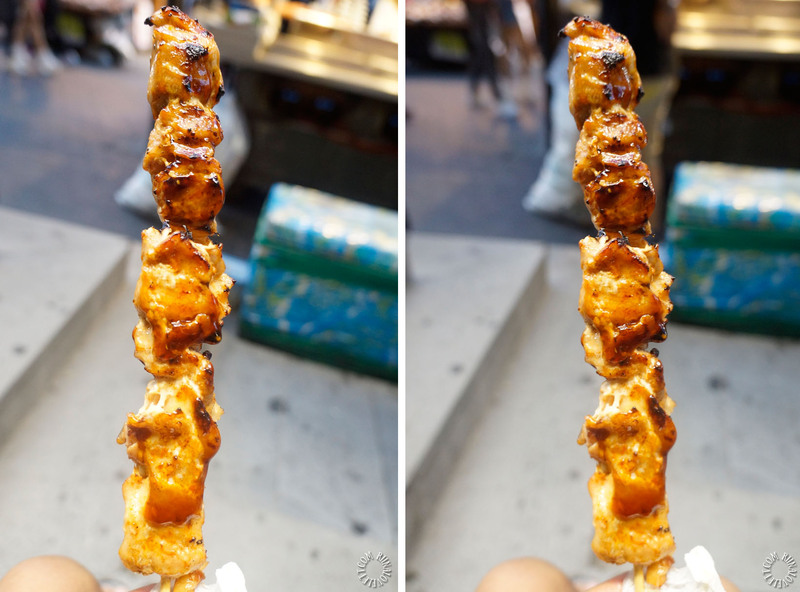 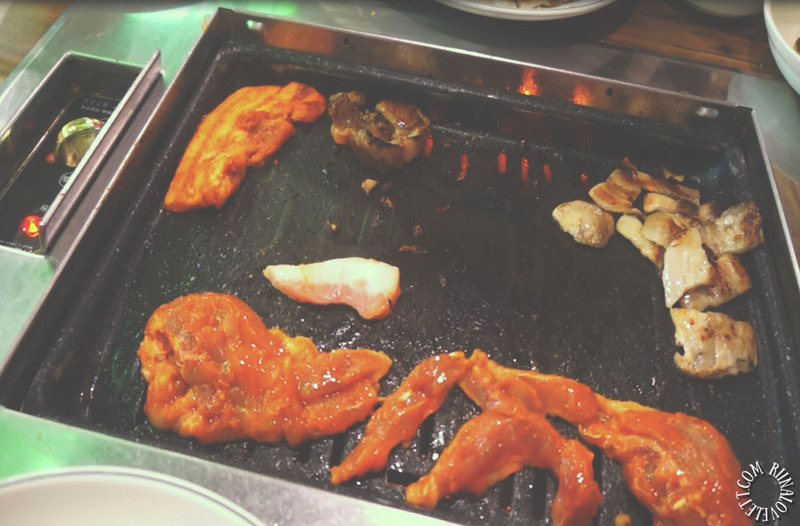 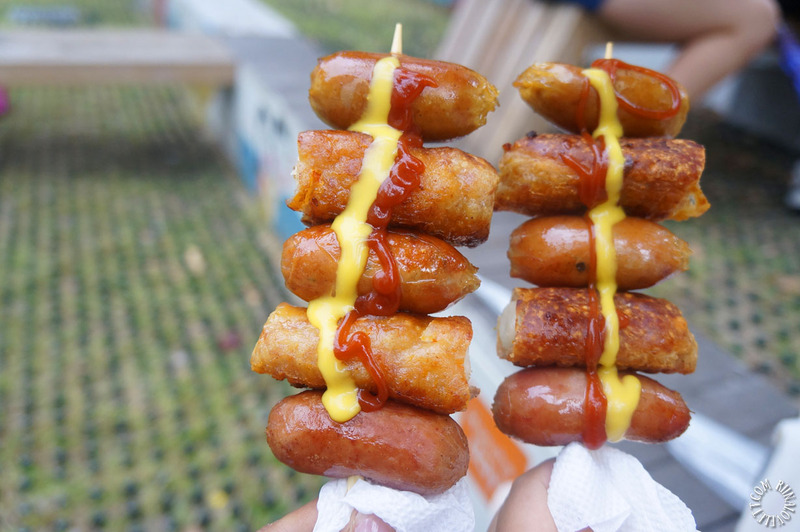 I have eaten Tteokbokki, Tornado potato (but forgot to take a photo), Sausages on a stick (소세지 꼬치), Chicken skewers (닭꼬치) and Cup chicken (컵치킨).